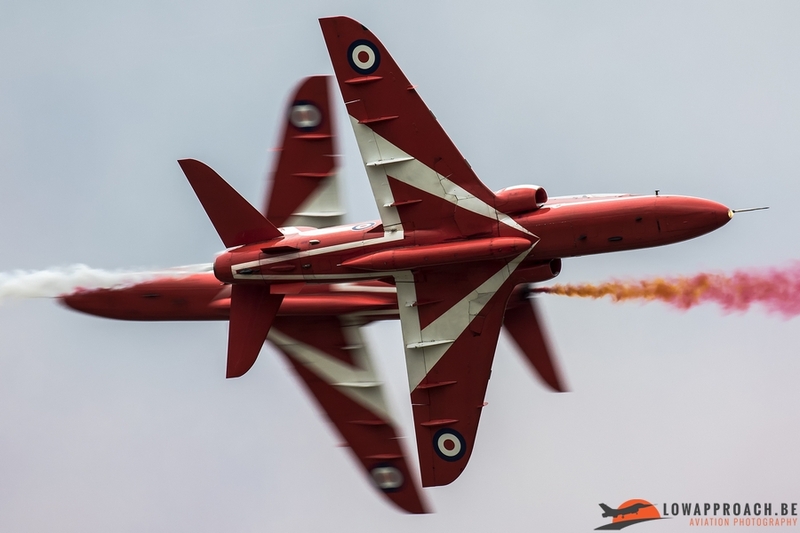 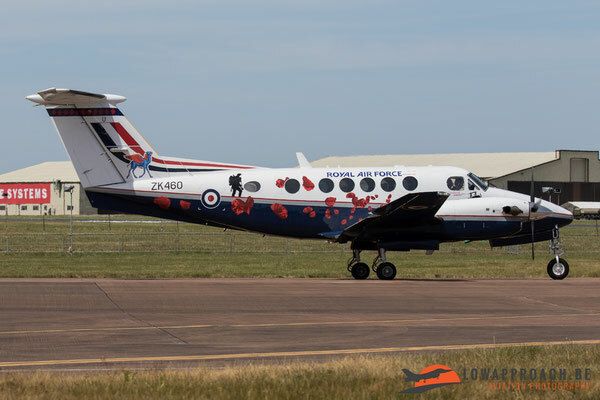 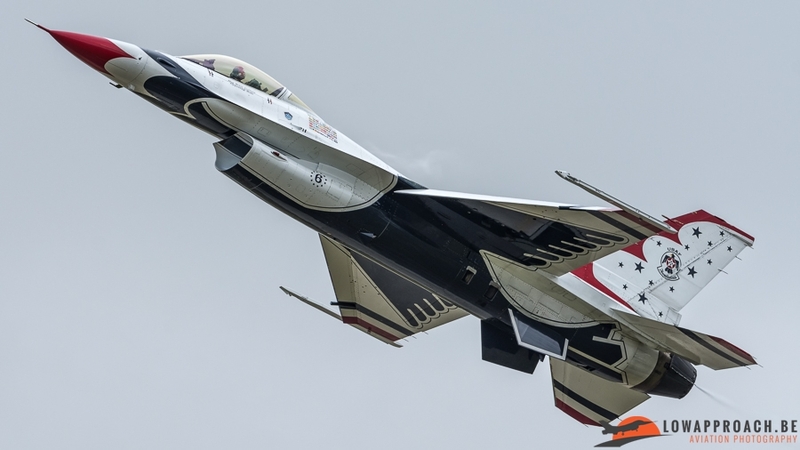 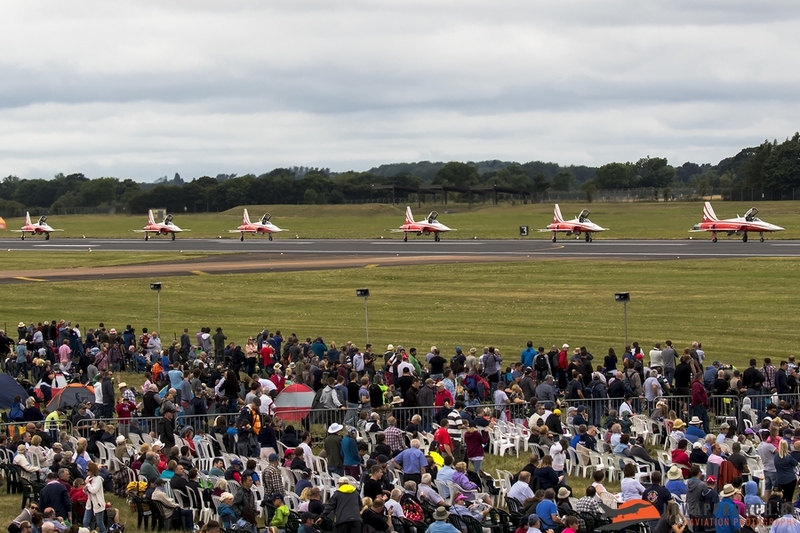 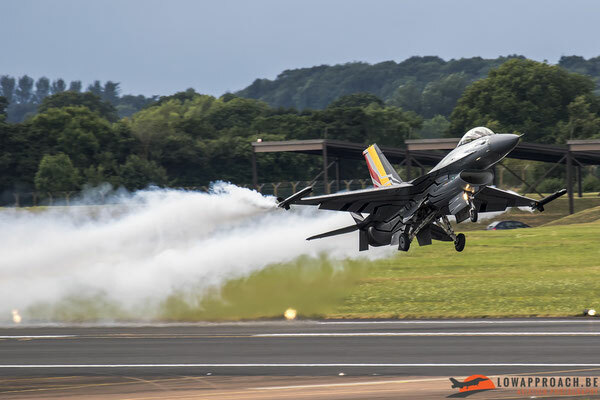 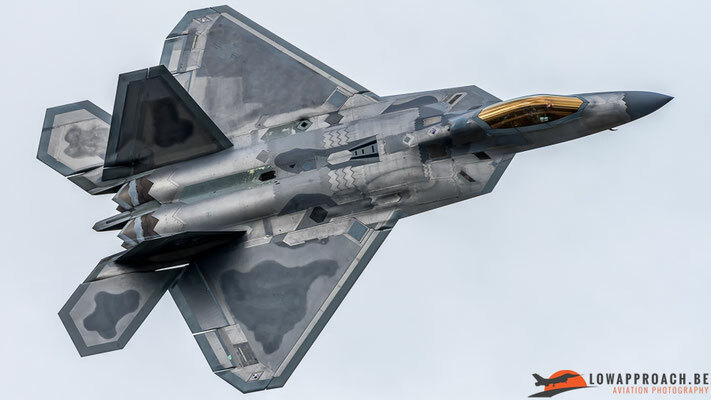 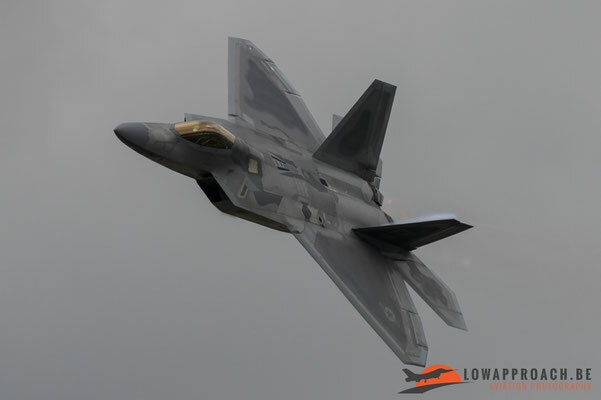 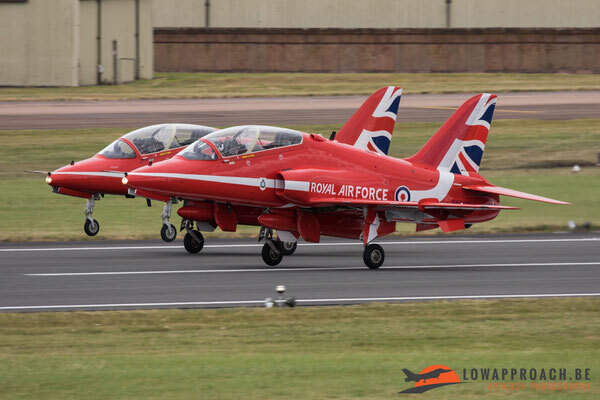 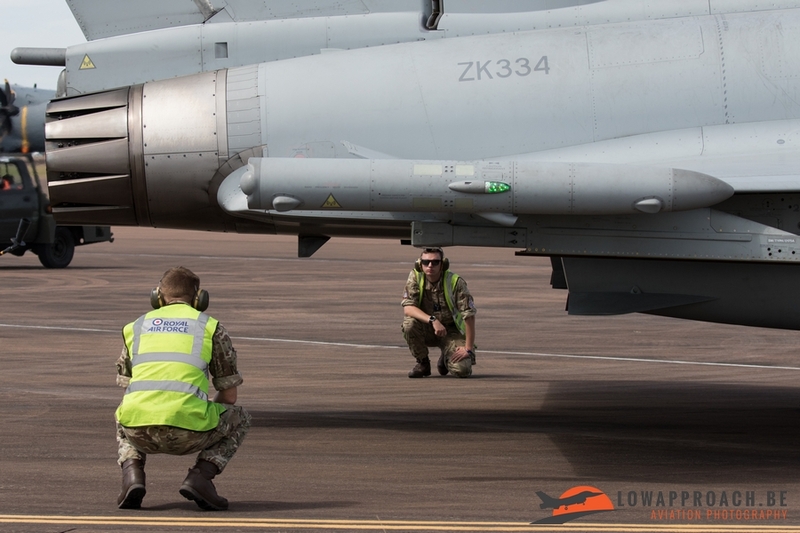 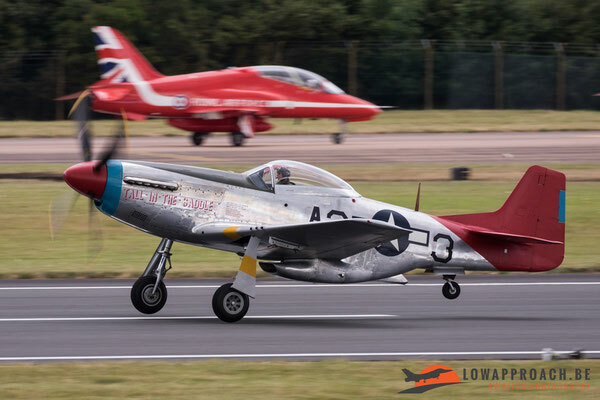 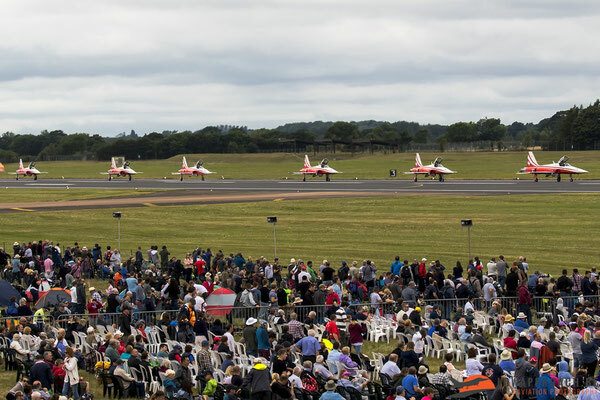 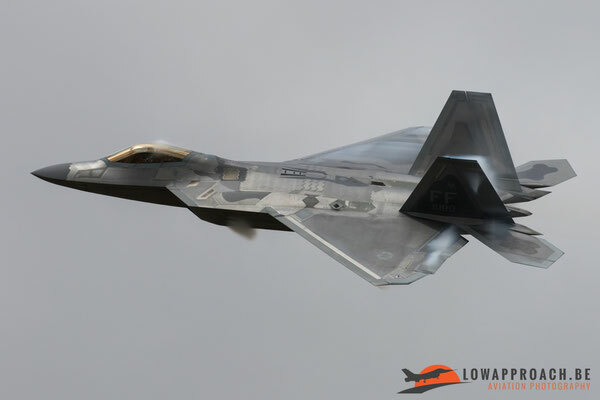 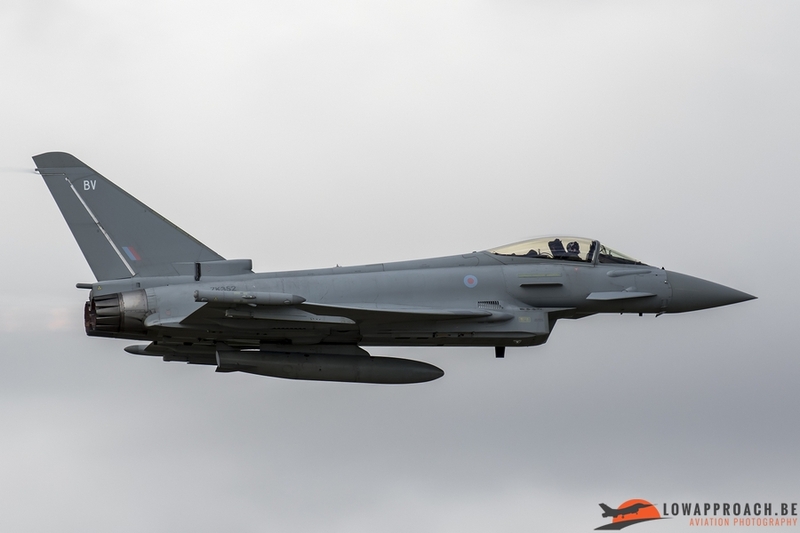 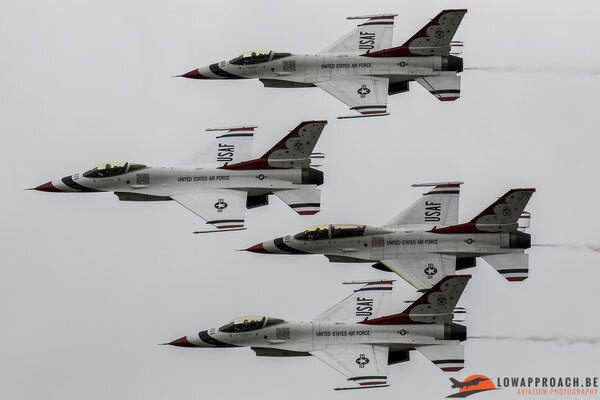 During the weekend of the second week of July the Royal International Air Tattoo (RIAT) was once again held at RAF Fairford in Gloucestershire, England. Like each year the airshow is built up around a special theme. 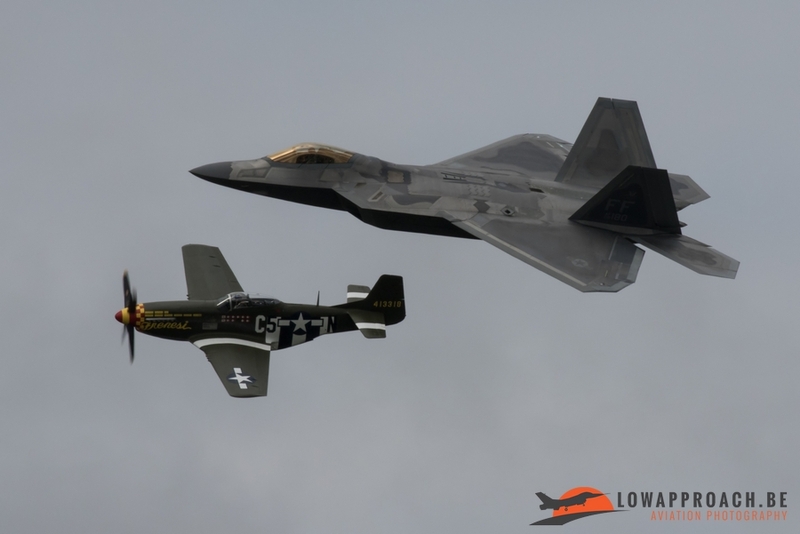 In 2017 this theme was the 70th anniversary of the United States Air Force (USAF) and they definitely succeeded. 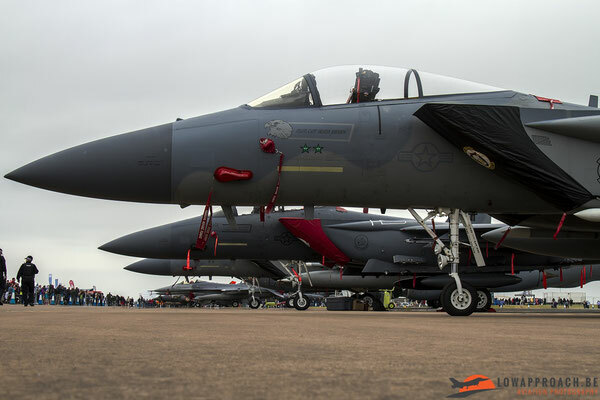 The participating USAF aircraft that were present at RIAT was the biggest show up since the sequestration hit the military back in 2013. 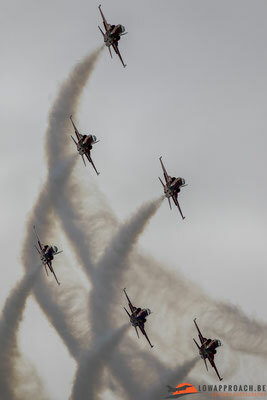 Members from Low Approach attended both full show days on Saturday and Sunday, as well as the departure day on Monday. 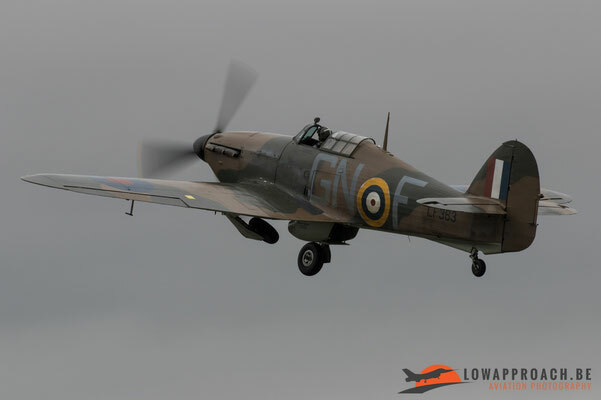 Sadly the weather on Saturday was pretty bad which led to numerous cancellations for the flying display. As for the Sunday the weather had luckily improved so all flying displays could be flown. 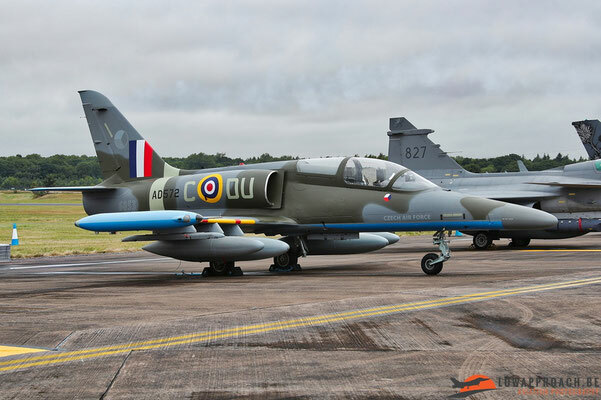 Apart from the big turn up from US hardware in the flying display as well as in the static display, there were loads of other interesting items to see from other air arms. 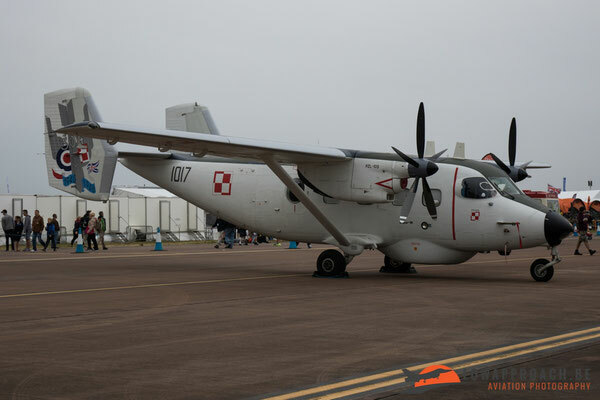 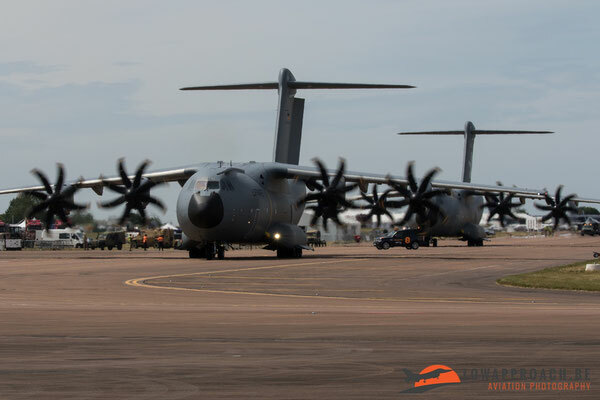 A couple of countries sent some nice airframes to the RIAT to take part in the static display that certainly deserve some attention. 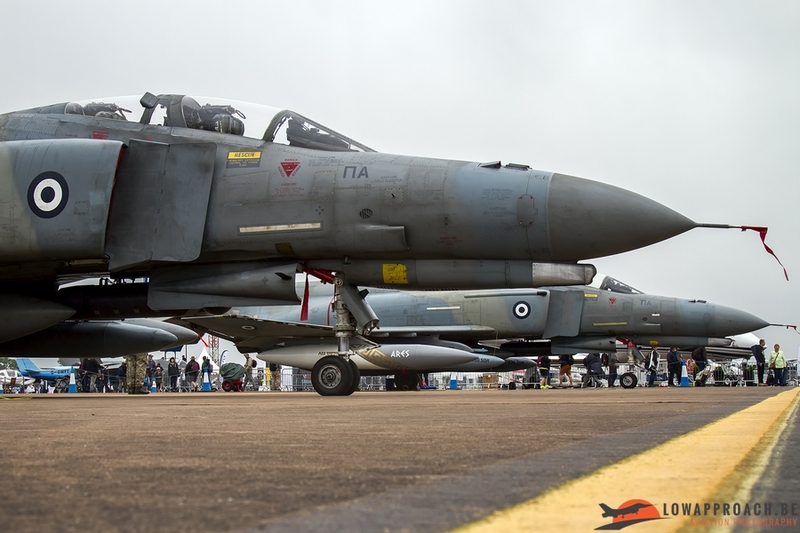 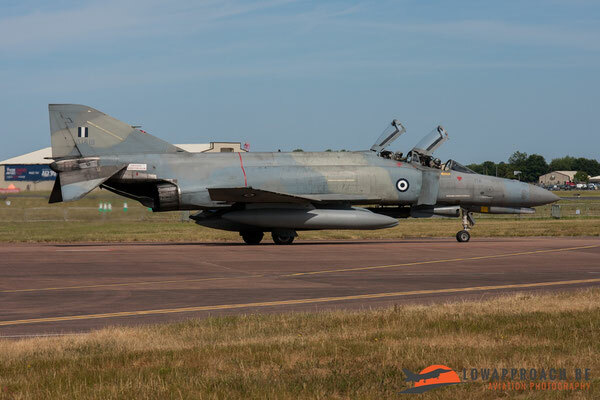 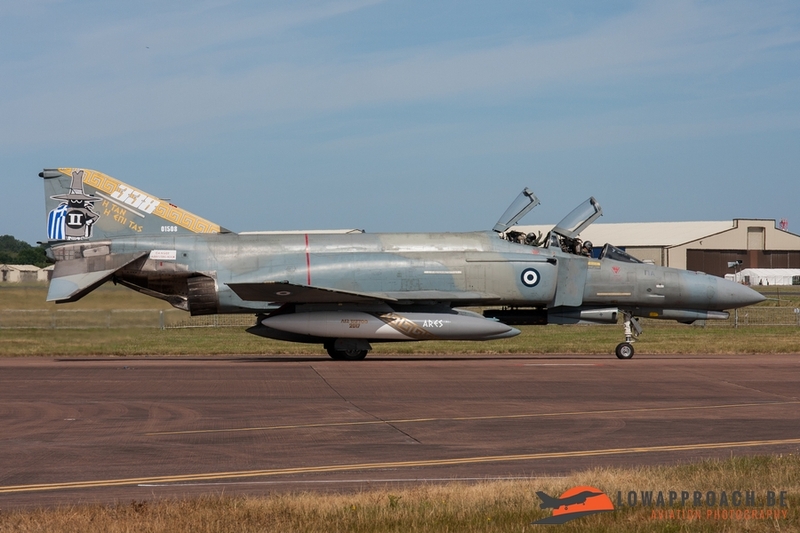 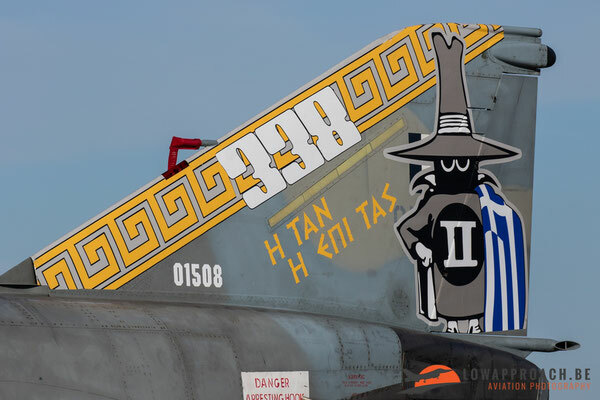 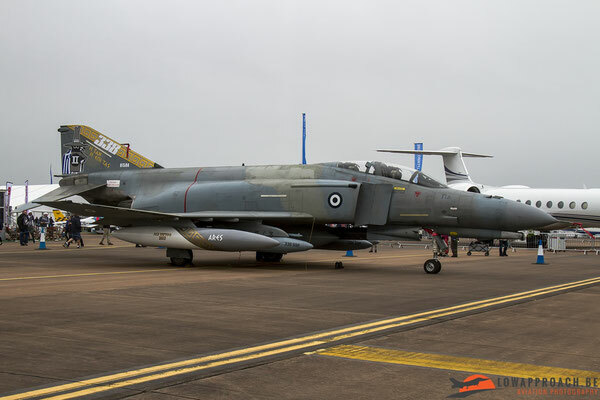 Just like the 2016 RIAT, the Hellenic Air Force sent a duo of F-4E Phantom II’s to the airshow, a type that’s slowly but surely disappearing from the airshow scene so it was a very nice sight to see these old workhorses once again. 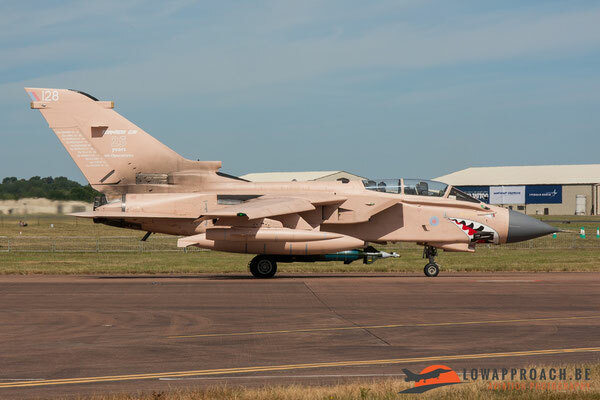 Another type that is slowly disappearing is the Royal Air Force’s Tornado GR4. 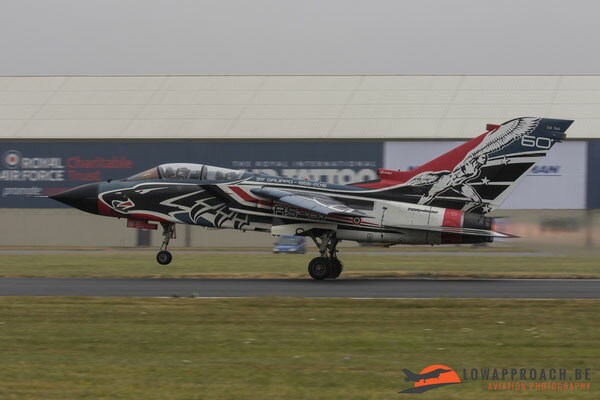 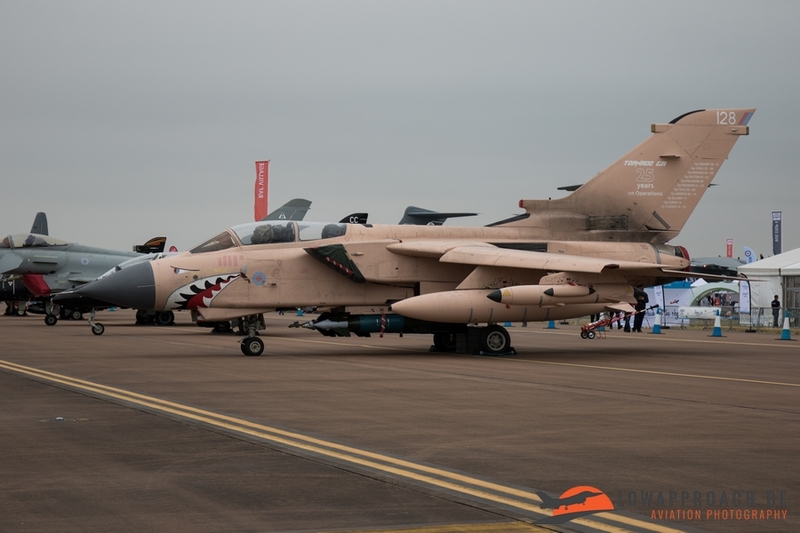 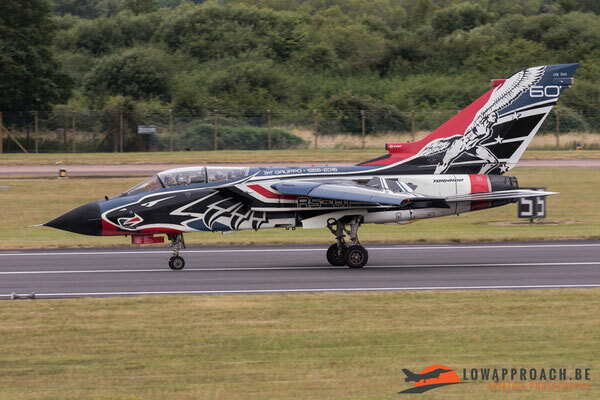 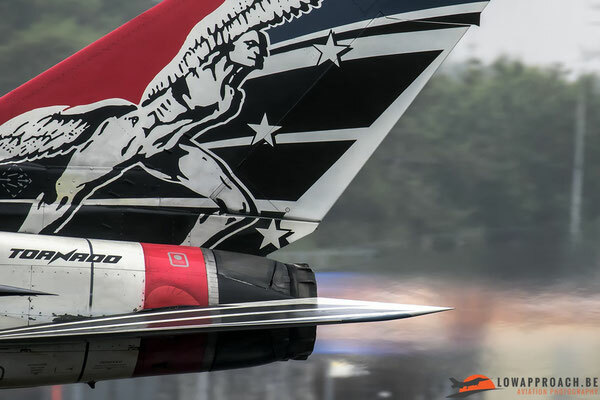 For this year the RAF sent a special painted Tornado to the show. 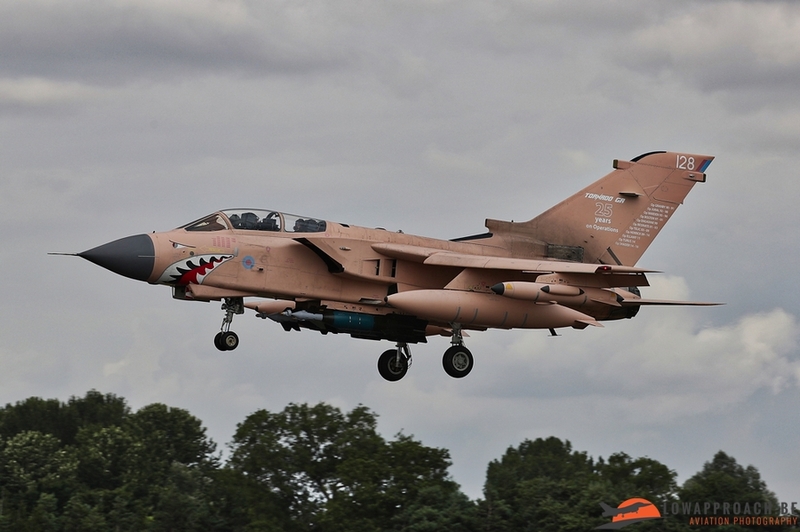 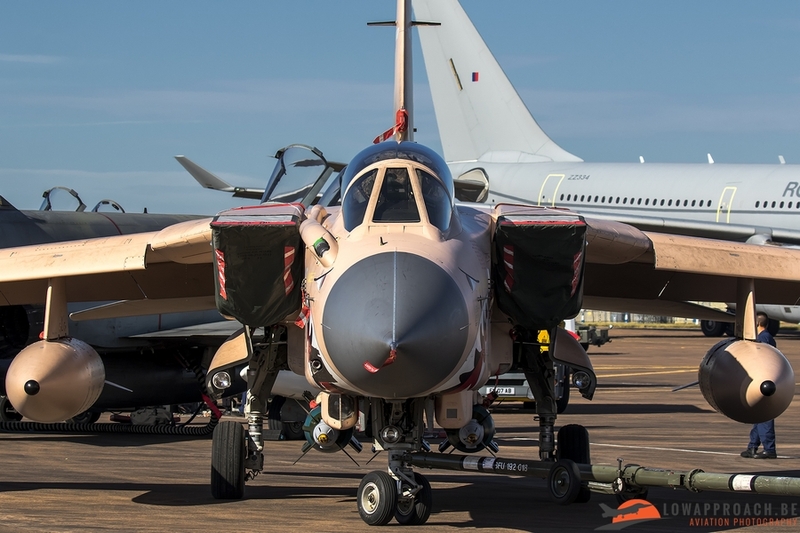 The Tornado was painted in the “desert pink” colour scheme used on the aircraft that took part in the first Gulf War. 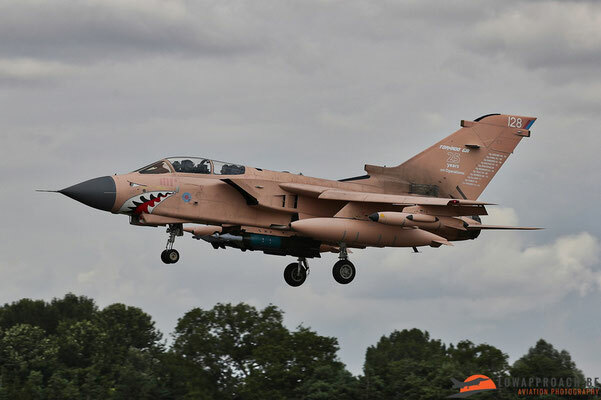 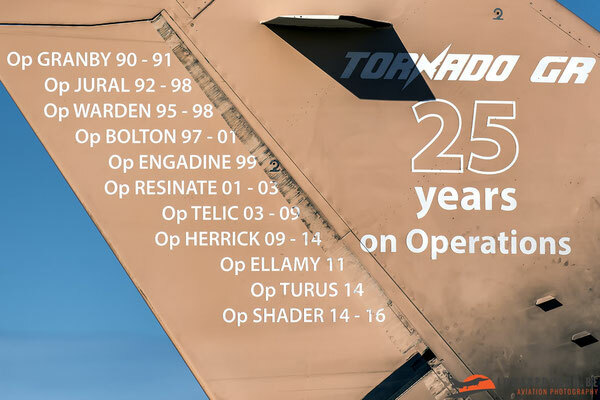 On the tail of this Tornado nicknamed “Pinkie” all the operations were written down at which the Tornado fleet took part since the introduction from the type in the RAF. Not only older RAF hardware was present in the static display, also soon to be introduced types were present. 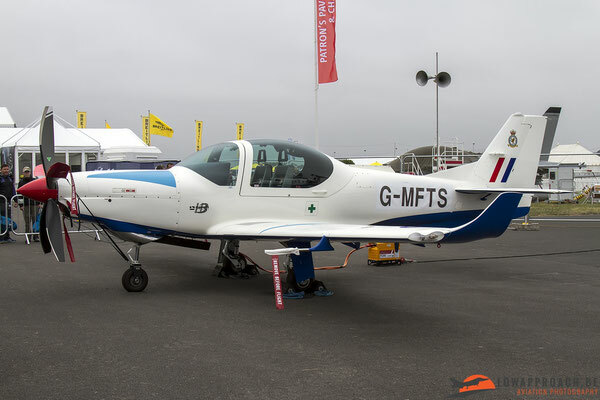 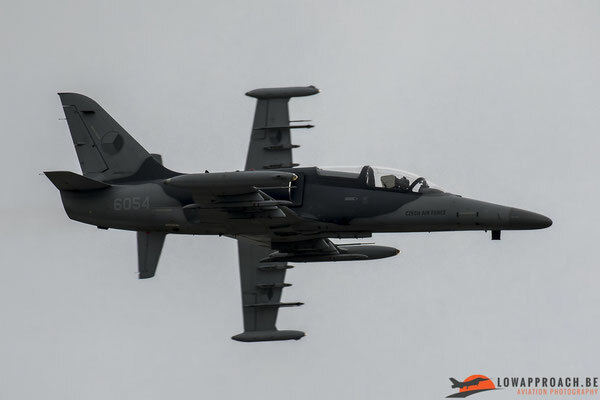 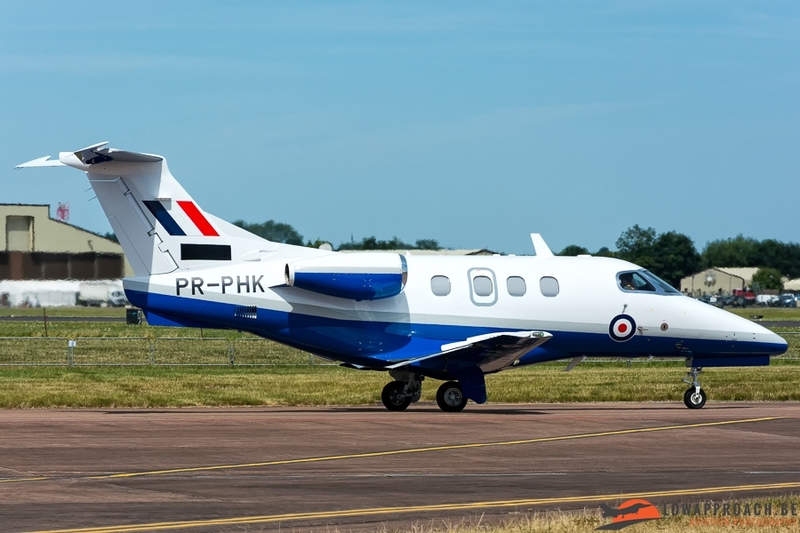 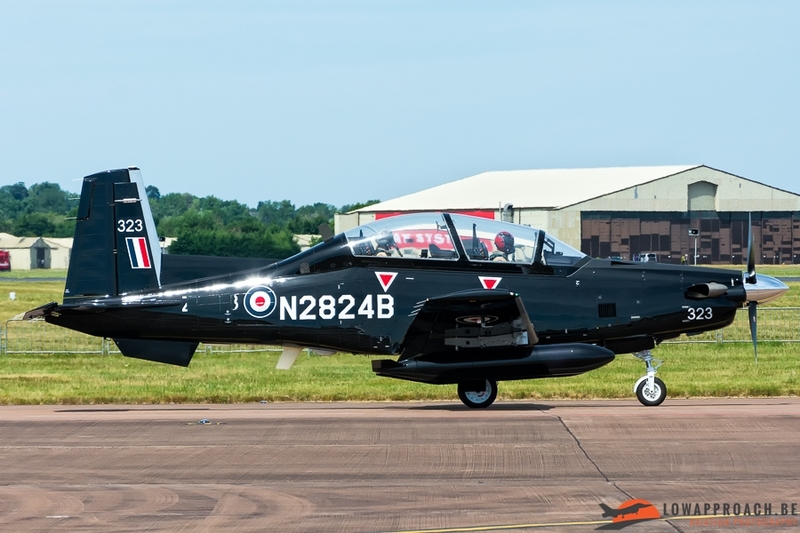 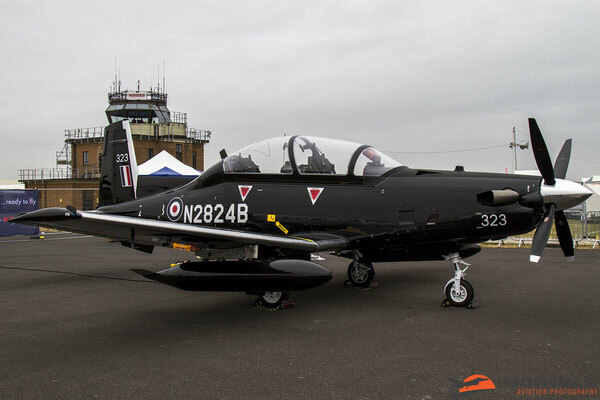 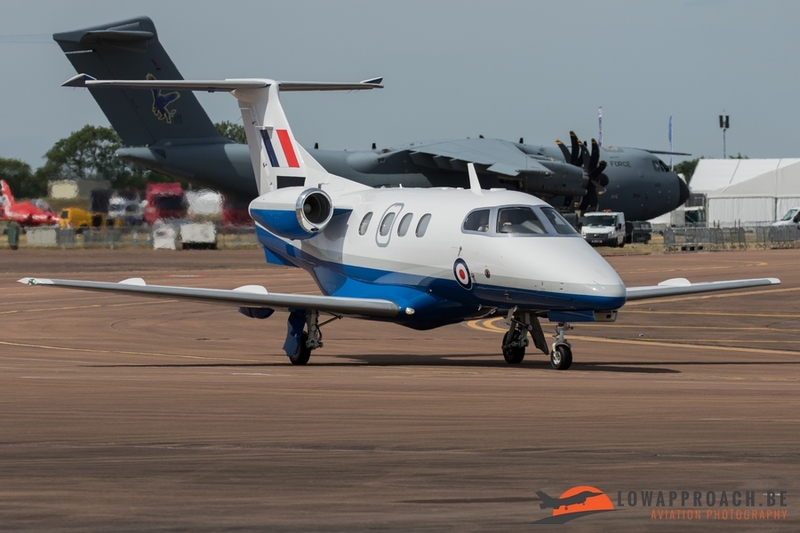 3 new types for the RAF came to the Royal International Air Tattoo, these were an Embraer Phenom 100E, a Grob G-120TP and a Beechcraft T-6C Texan II. All 3 airplanes were already wearing the RAF markings except the full military registration. 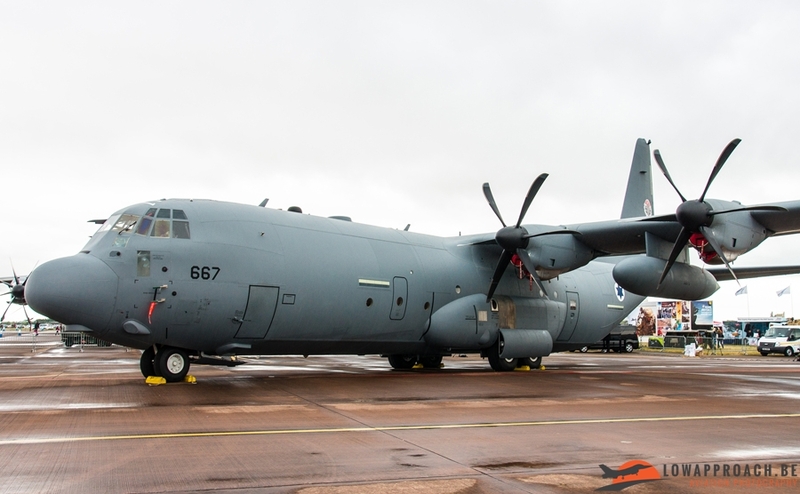 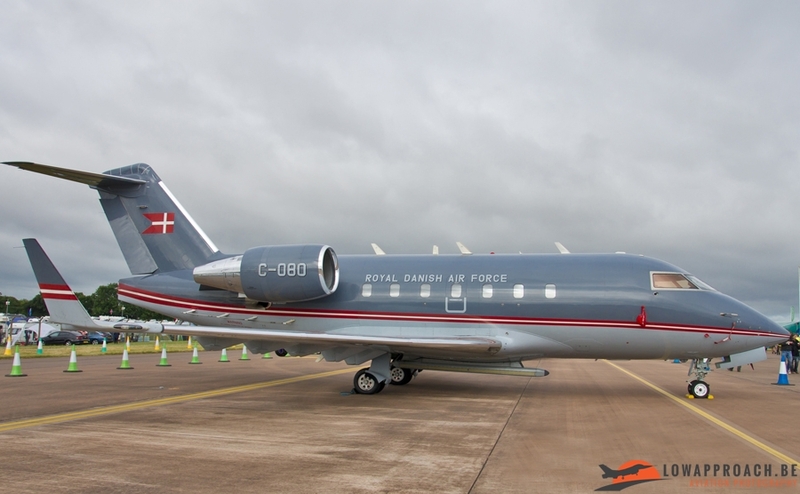 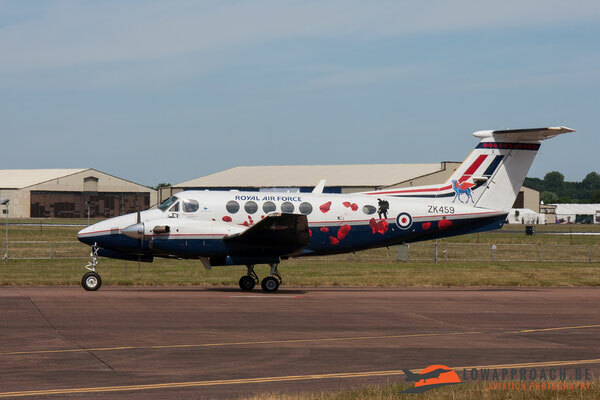 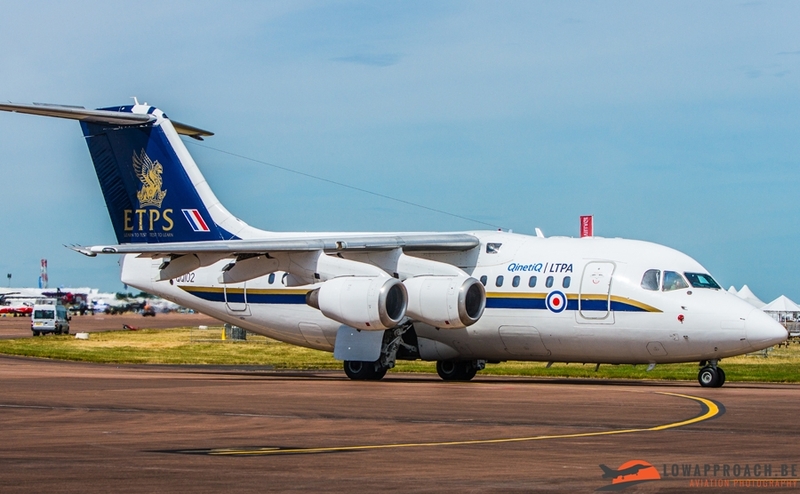 The Royal Canadian Air Force sent two nice assets to RIAT. 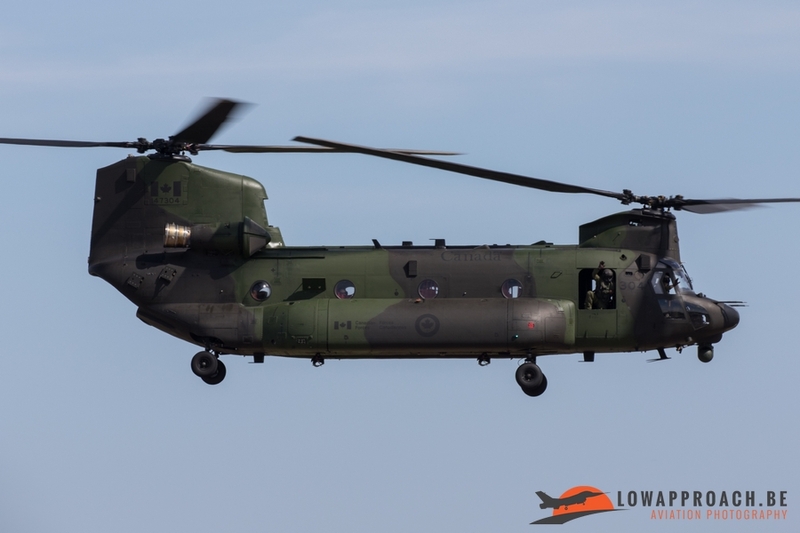 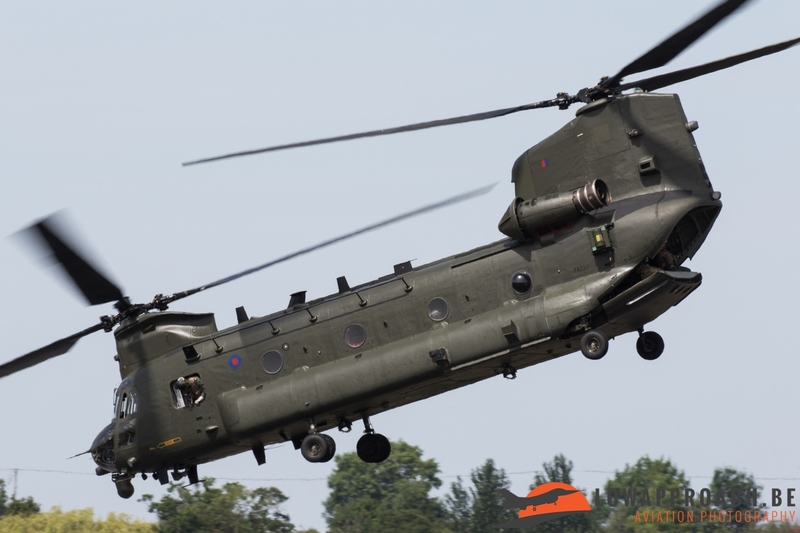 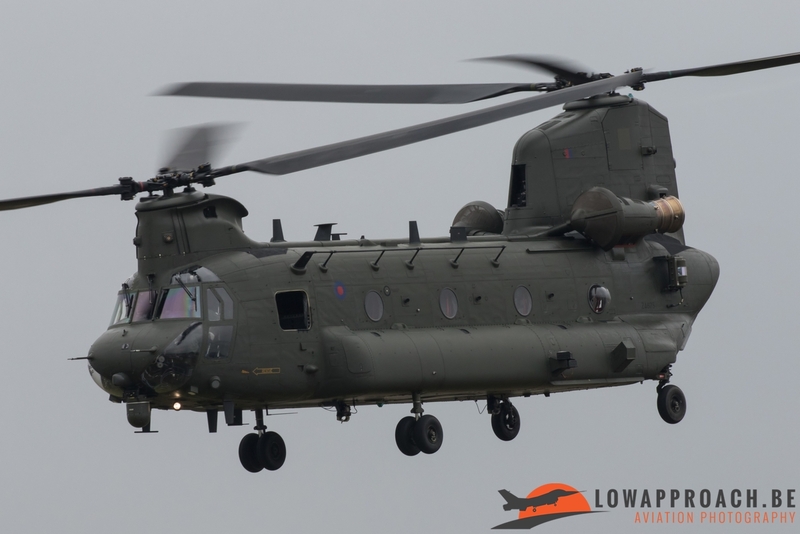 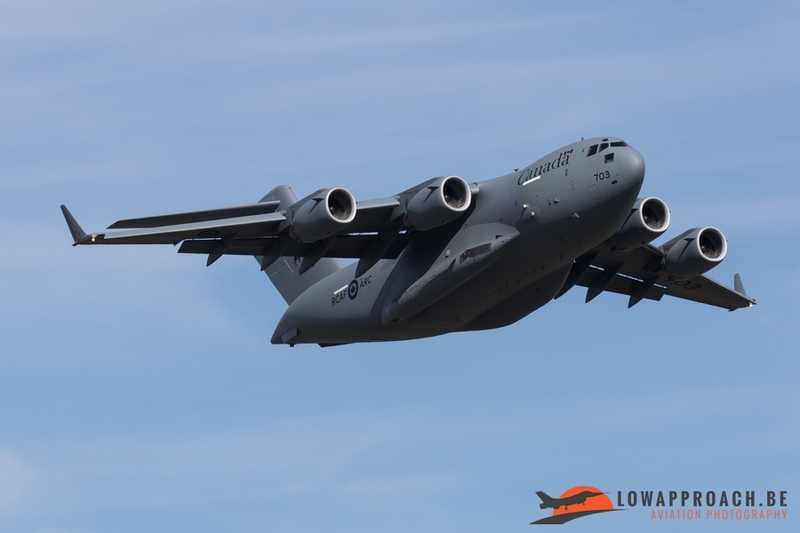 The first one was the CC-177 Globemaster III and the second one was the CH-147F Chinook, brought over from Canada in the cargo compartment of the CC-177. 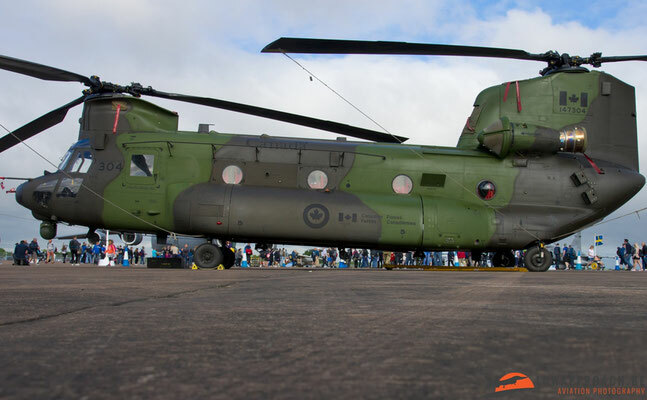 Especially the Chinook was a very interesting participant that the Canadians contributed. A very welcome return to the static display certainly were the Ukrainians which returned to Fairford with an Il-78MD and a Su-27UB. 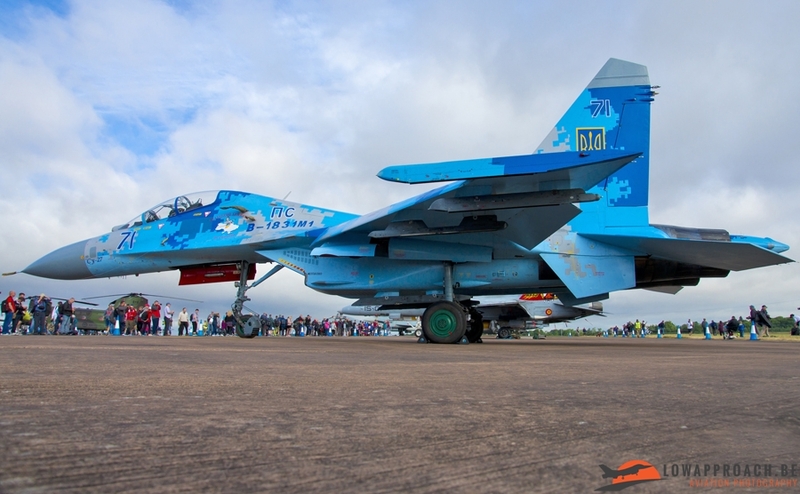 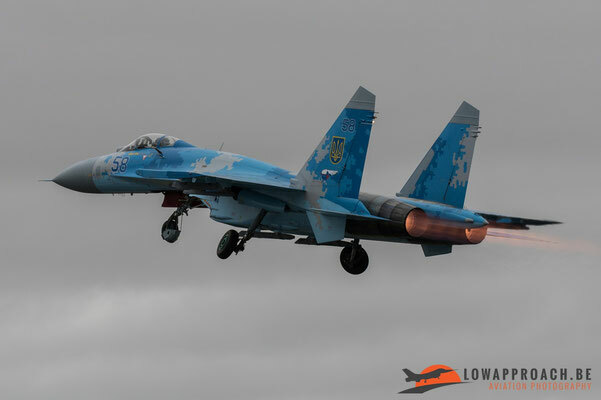 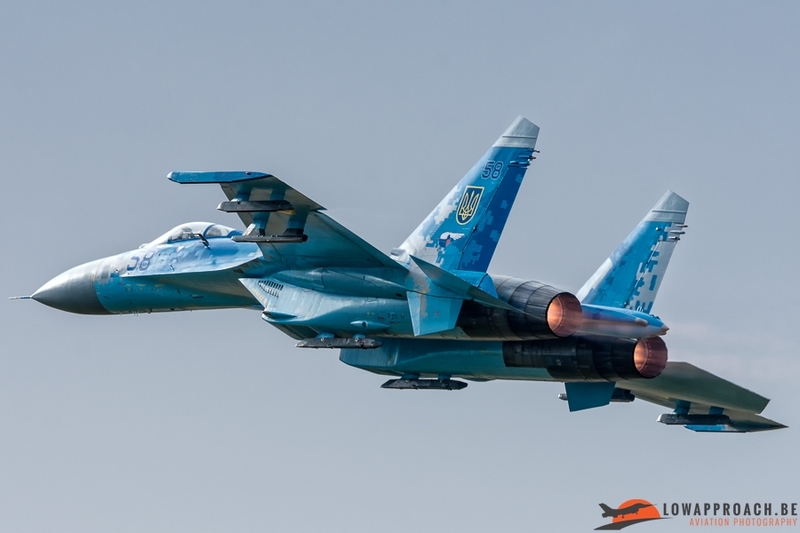 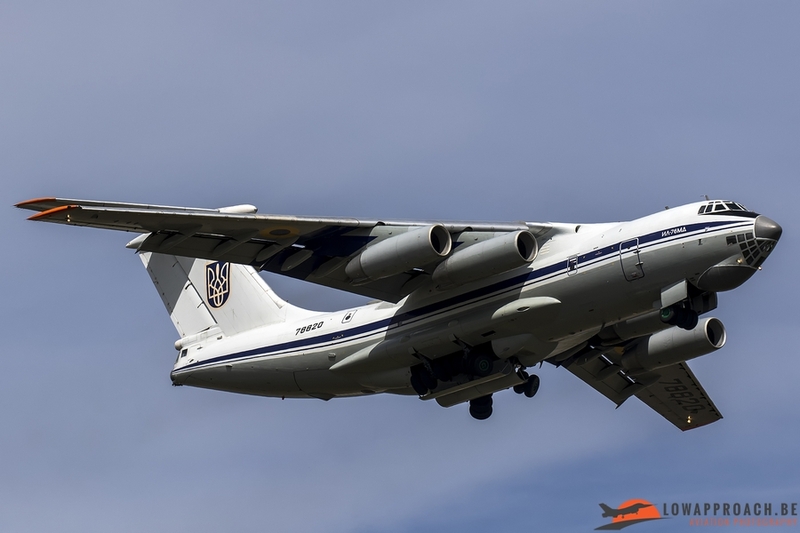 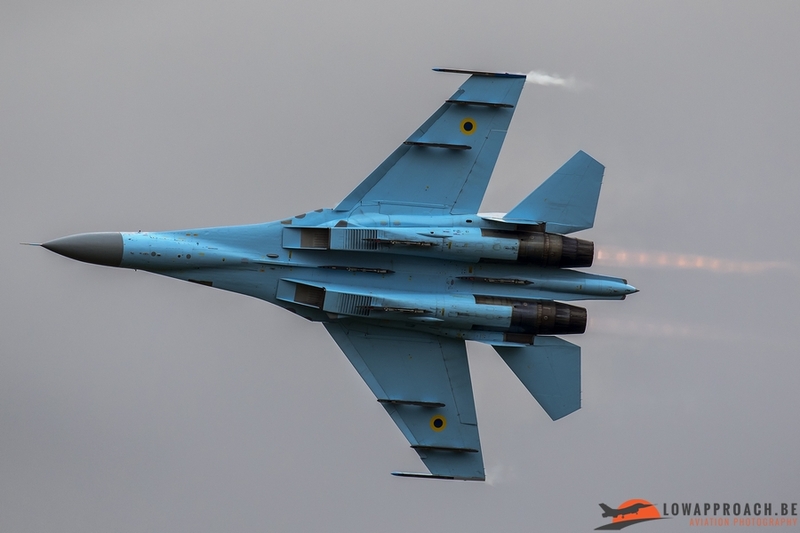 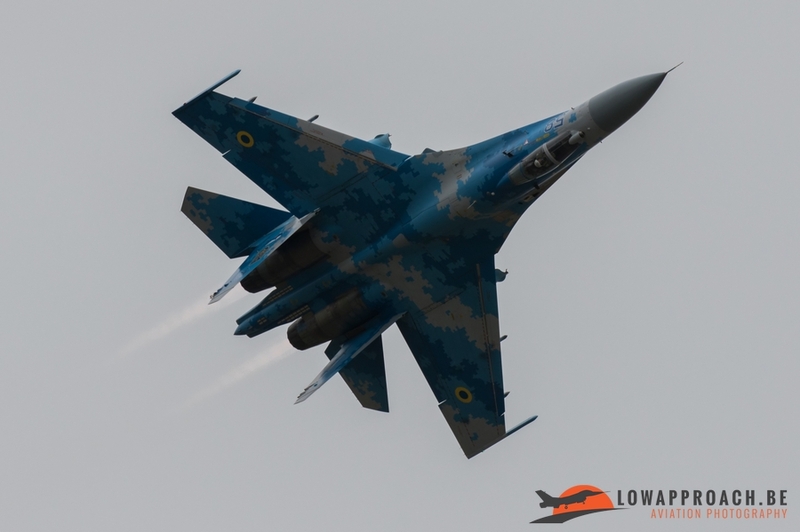 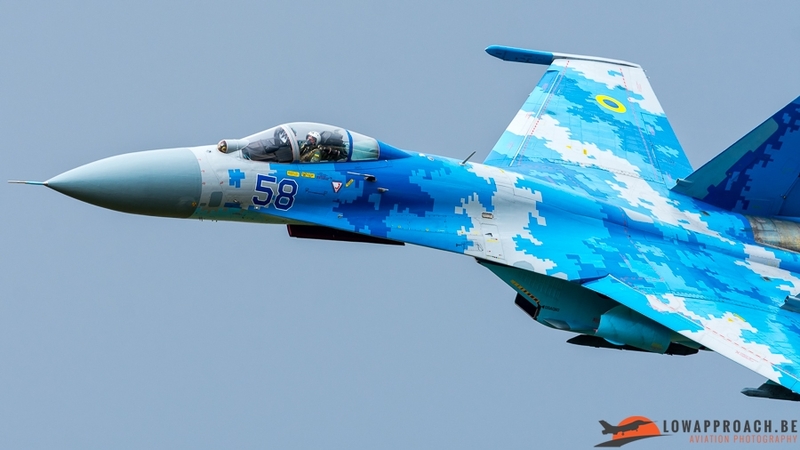 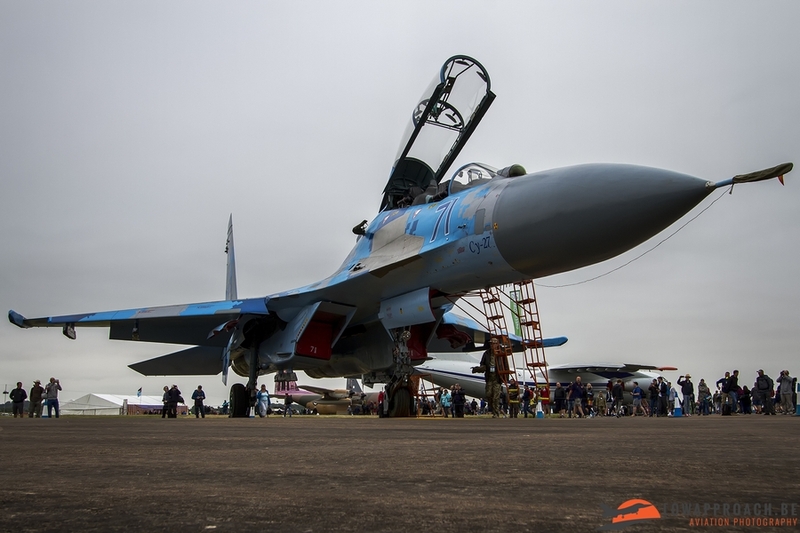 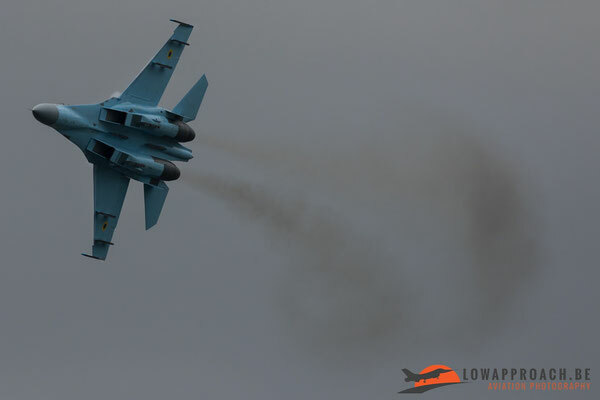 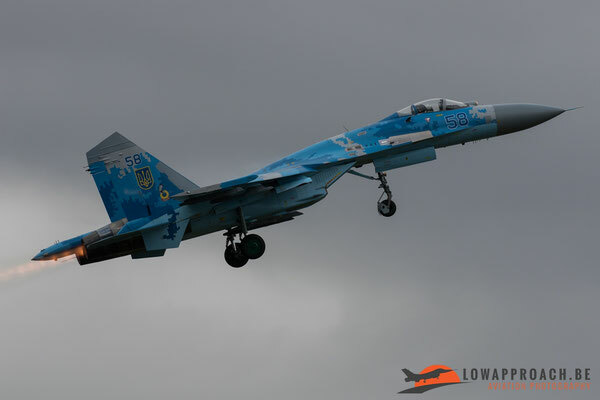 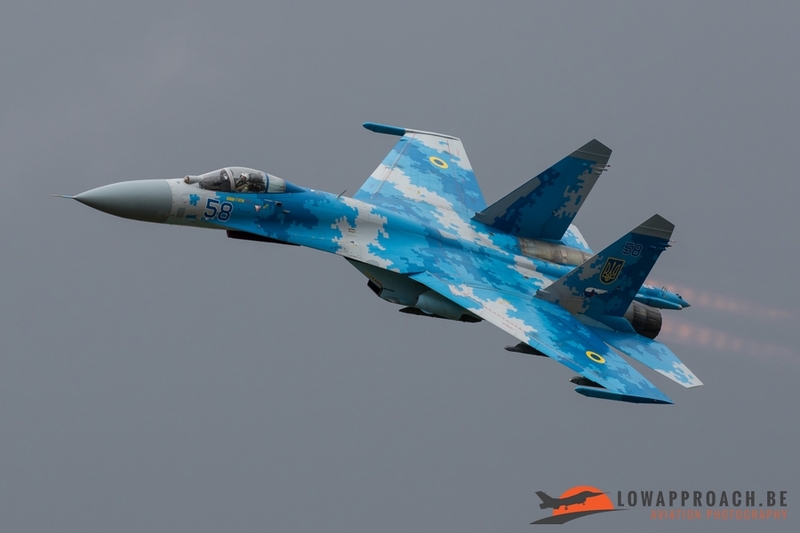 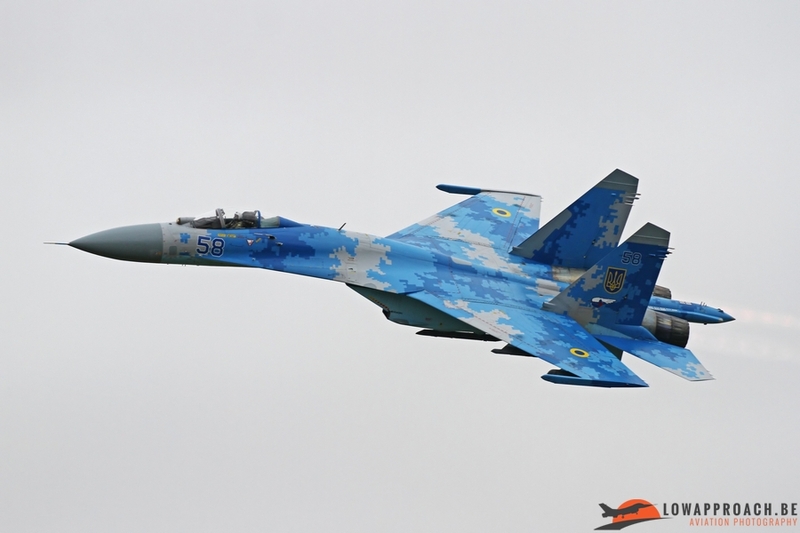 The last time the Ukrainian Air Force participated already dated back to 2011. 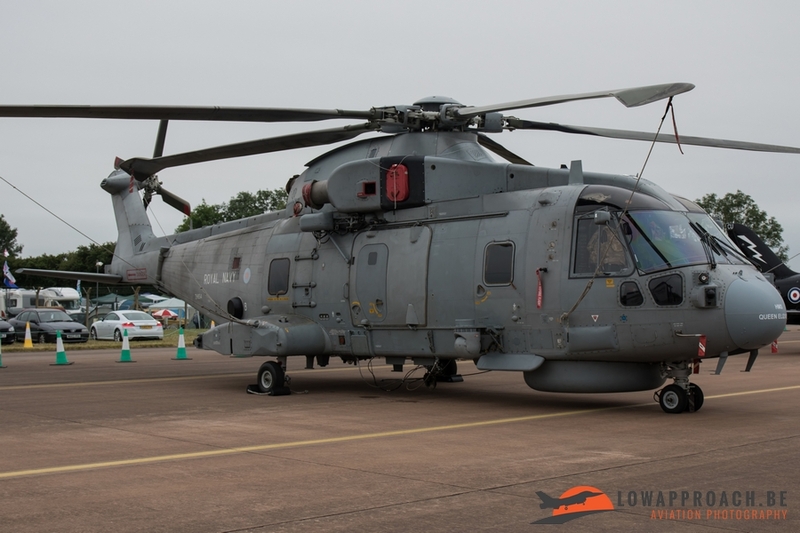 Another highlight for this years static display came from an unannounced air arm that hadn’t visited the Air Tattoo since the late ‘90’s. 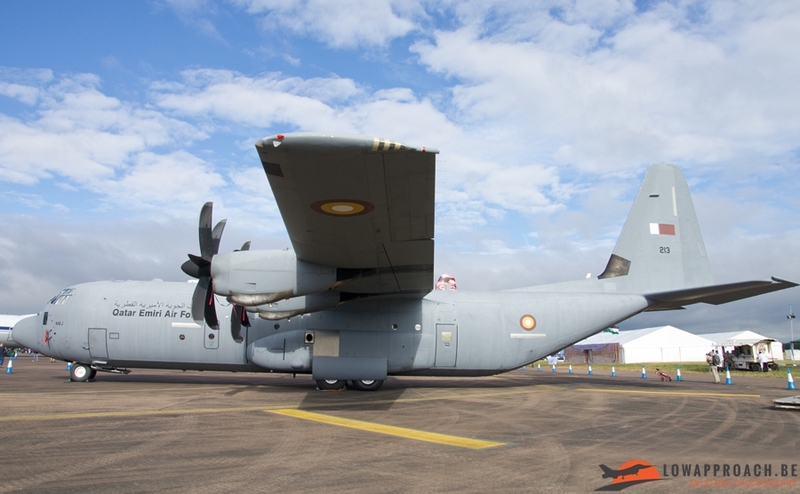 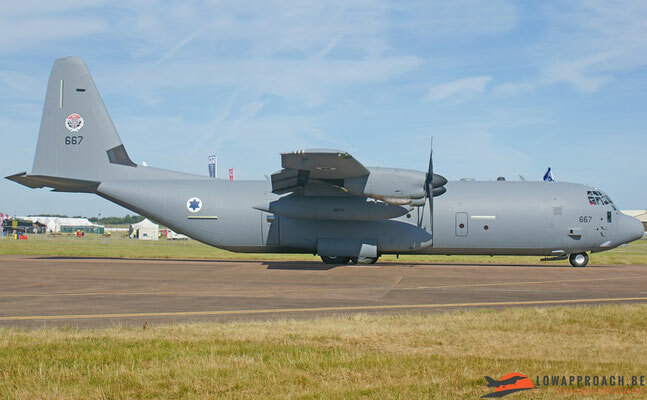 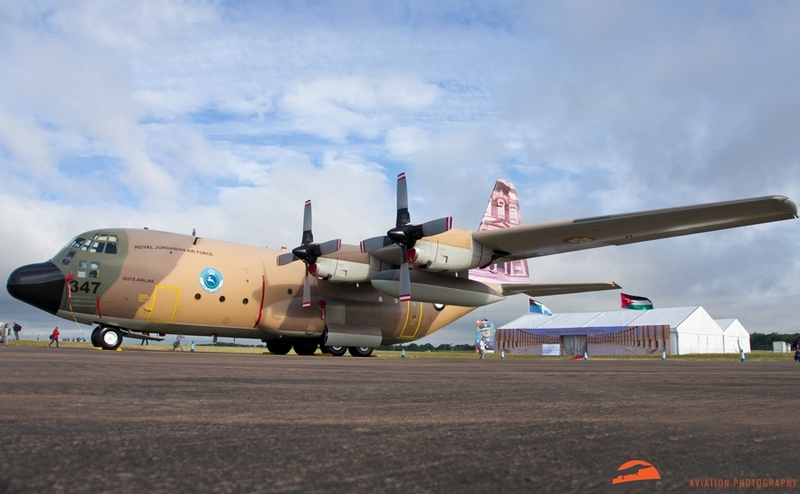 The Israeli Air Force sent a C-130J to the show which was an extremely nice addition! 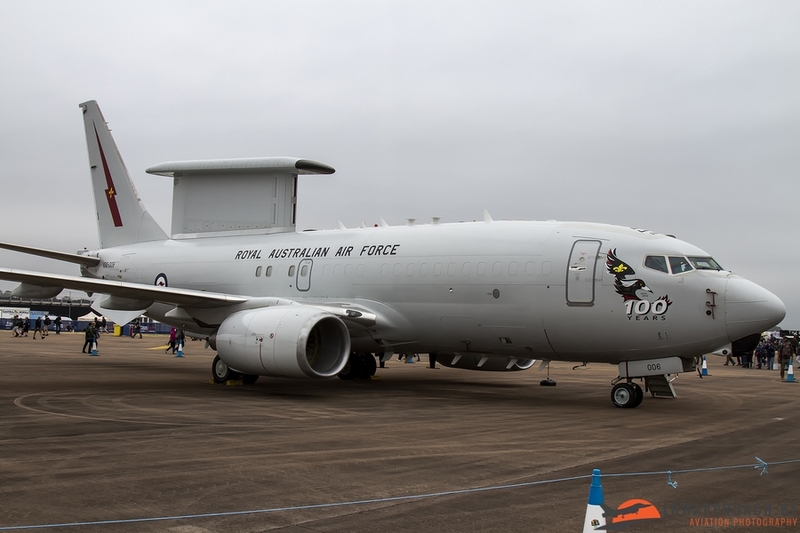 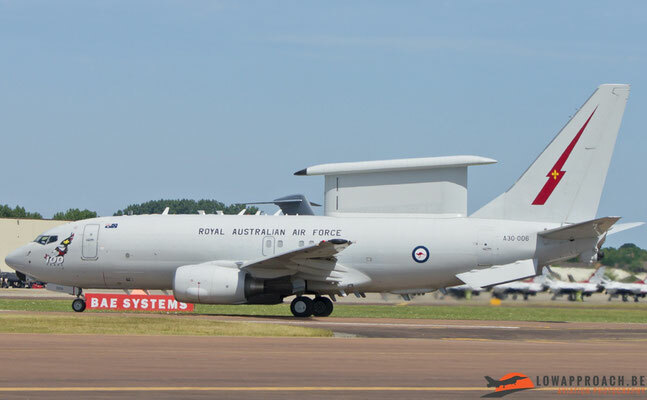 A last static participant definitely worth mentioning came from the Royal Australian Air Force. 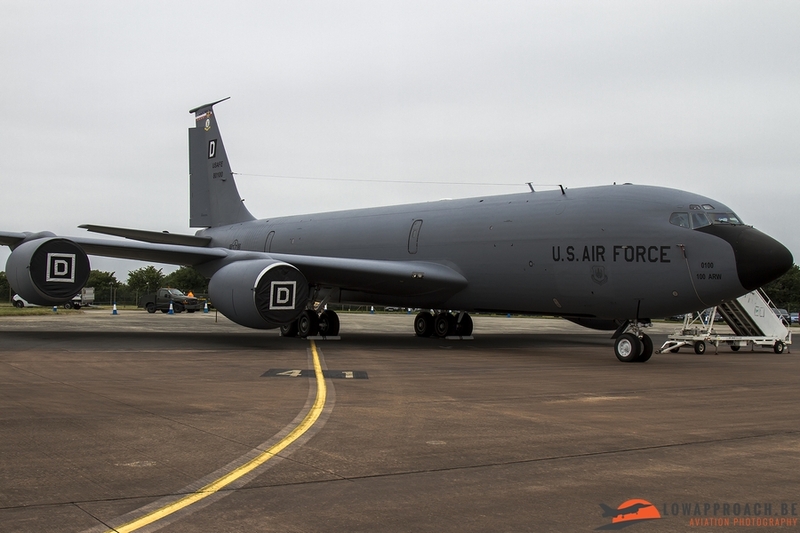 They sent a Boeing E-7A Wedgetail to the Air Tattoo, a type rarely seen in this part of the world. The aircraft that they brought over was decorated with nose art to celebrate the 100th anniversary of the unit. 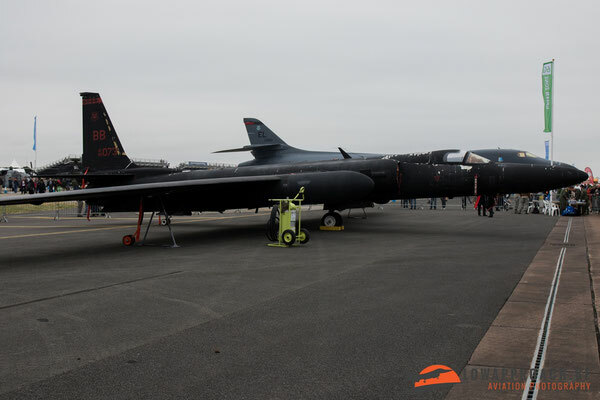 Aside all the aforementioned airframes that were displayed around the airfield, a lot more airplanes and helicopters from various air arms could be seen on the enormous static display. 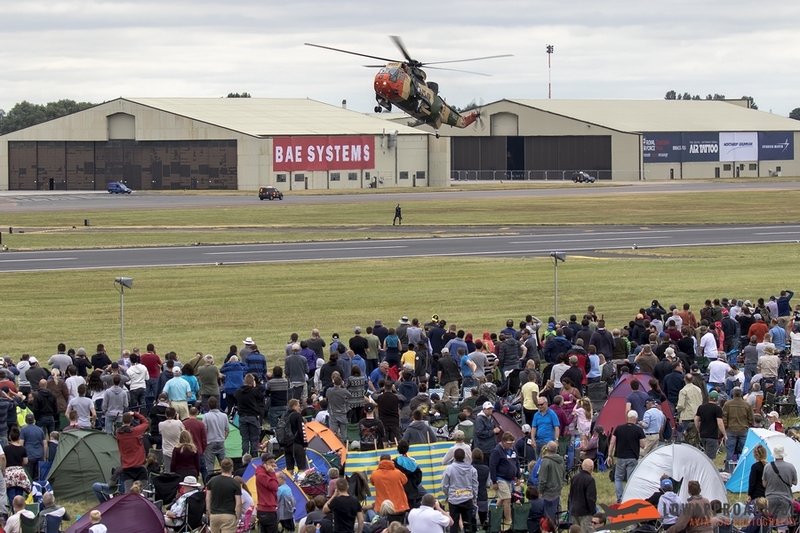 For this year’s flying display we can certainly say that it was filled with quality items. 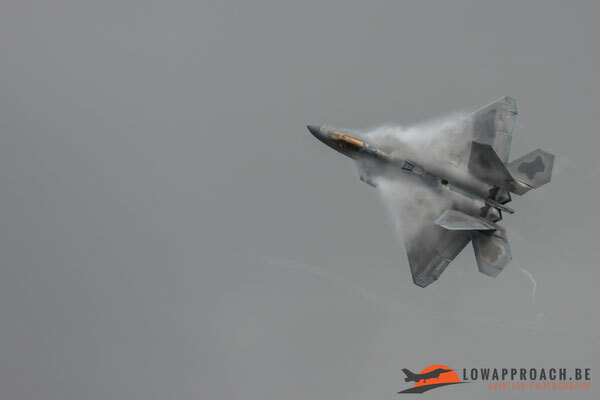 There was enough variety for everyone, but no one could deny that there was a lack of jet noise in this year’s edition. 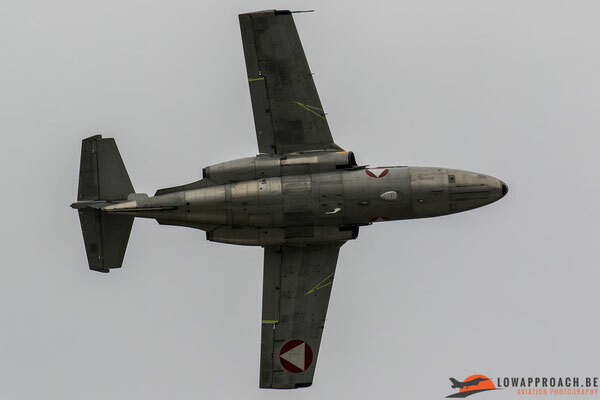 No less than 18 from the 28 acts in the flying display came from jet aircraft! 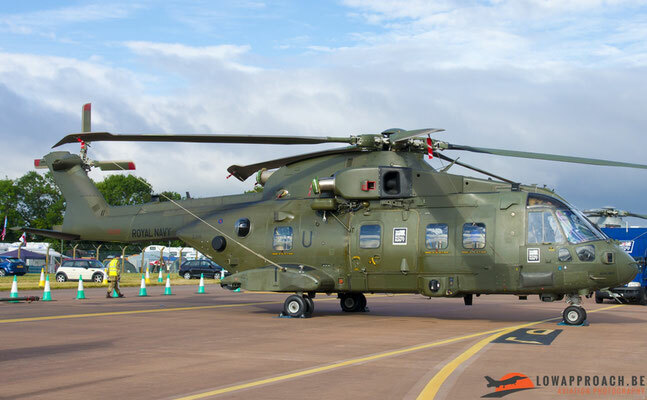 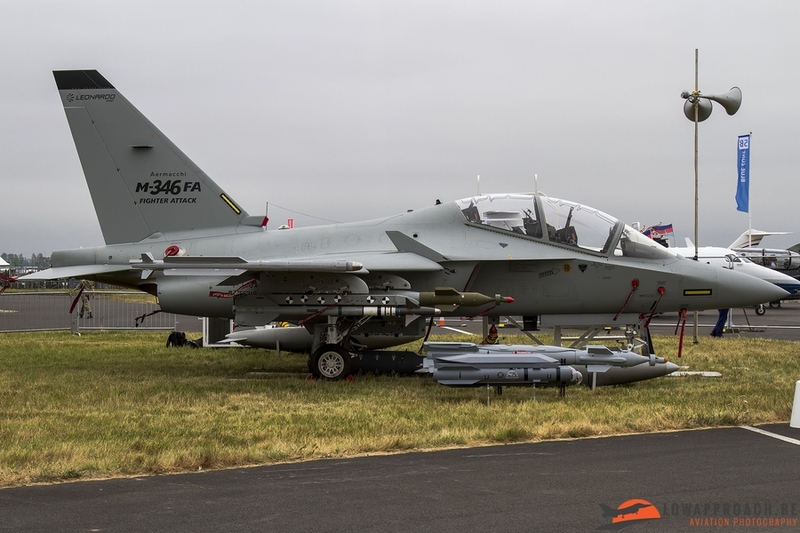 An air arm that contributed some interesting aircraft and displays to the Air Tattoo was the Italian Air Force. 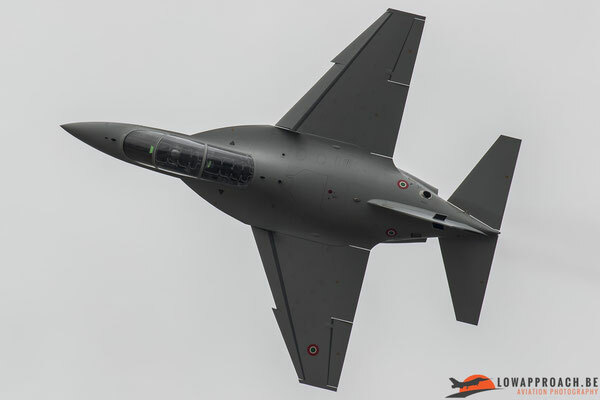 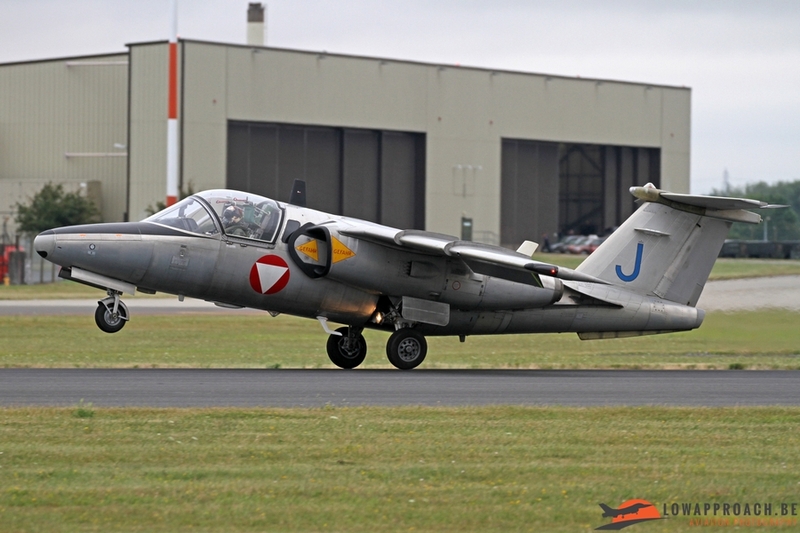 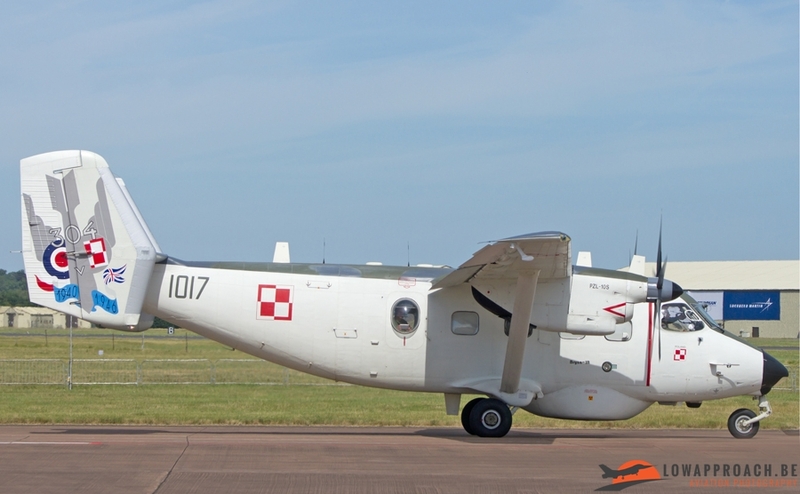 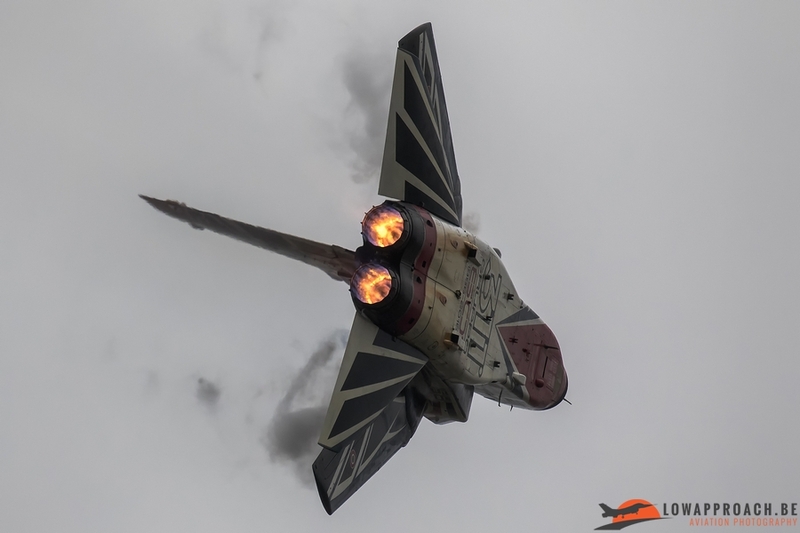 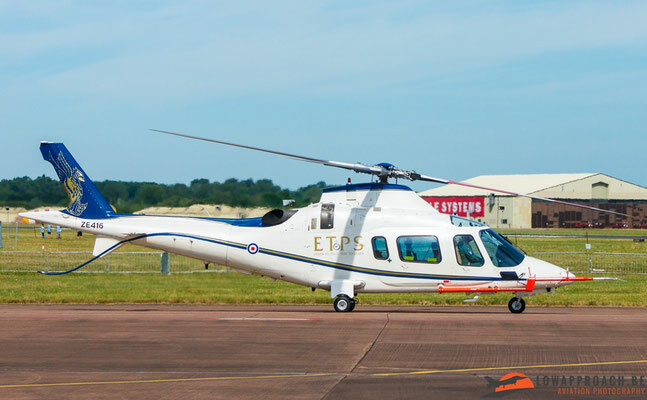 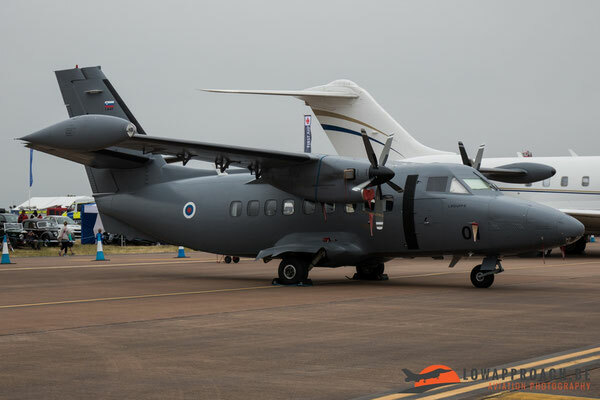 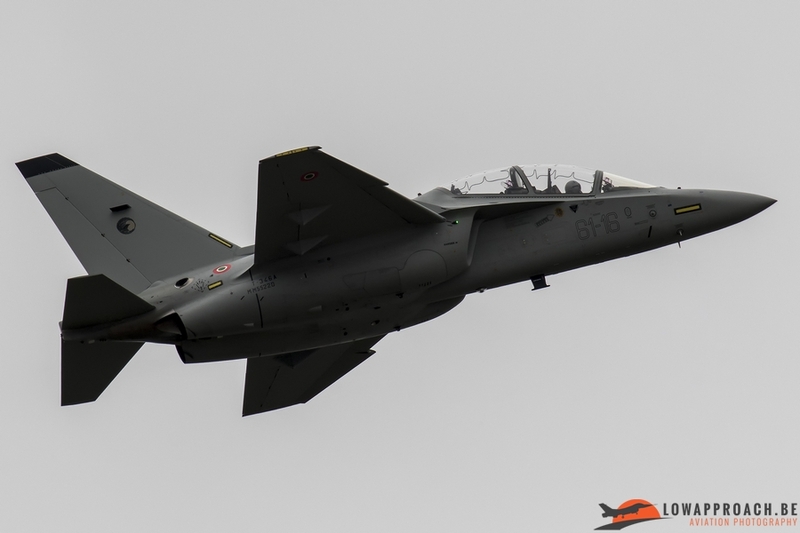 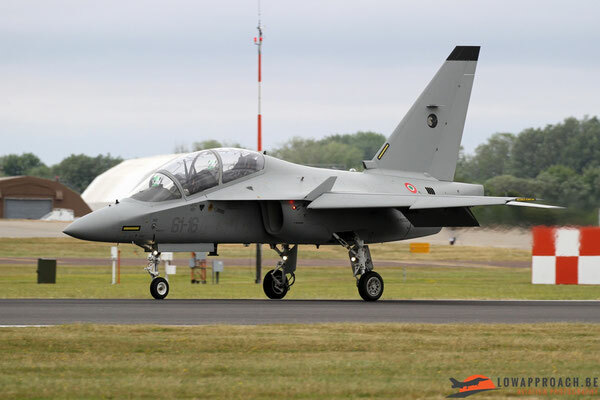 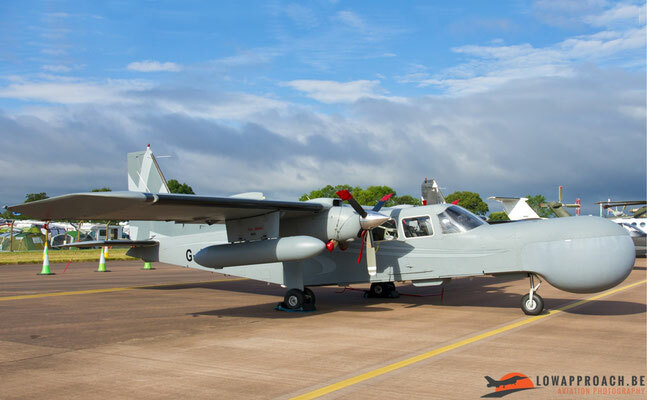 The Reparto Sperimentale Volo, the test unit from the Italian Air Force, provided 3 airframes to the RIAT for the flying display, 2 of these were jet aircraft. 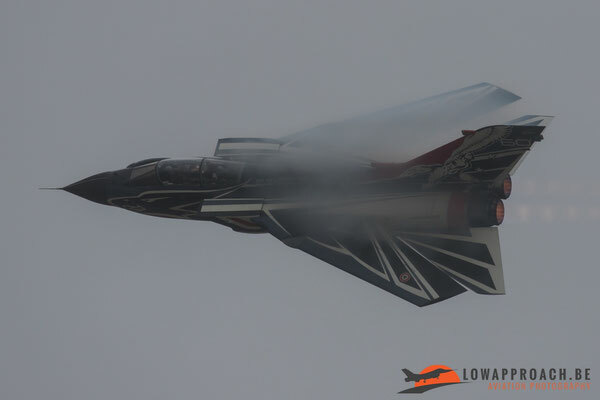 The first one was the always impressive Tornado display. 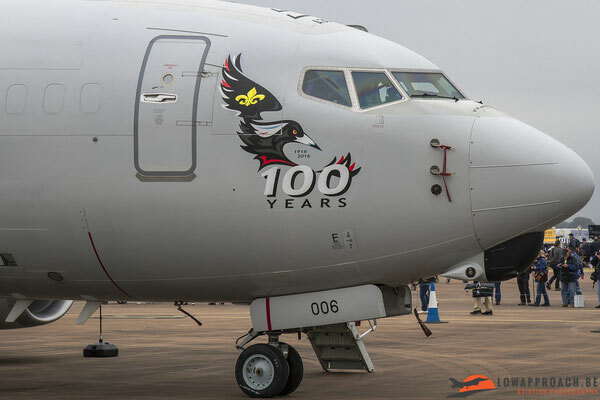 For this year’s display the aircraft was painted in a striking special paint scheme to celebrate the unit’s 60th anniversary. 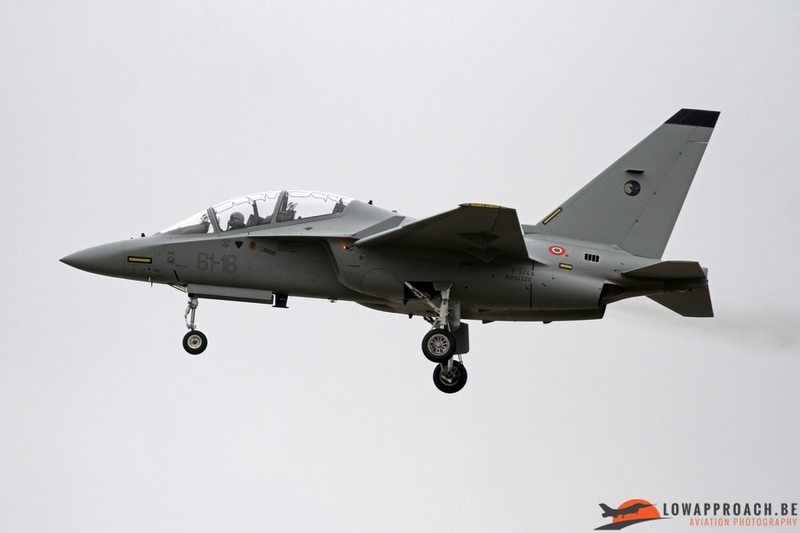 The Tornado wasn’t the only jet the RSV sent to Fairford, they also sent the T-346A (M-346), an advanced jet trainer, to the Air Tattoo. 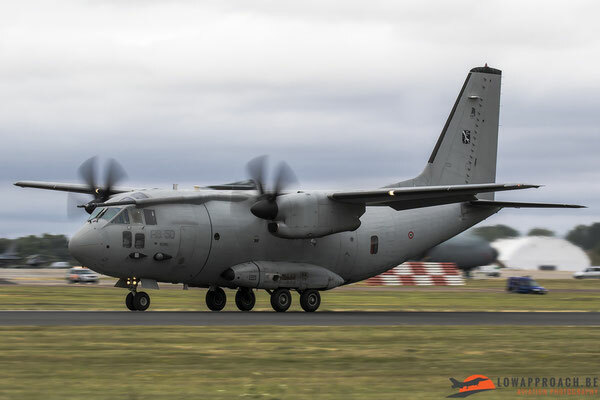 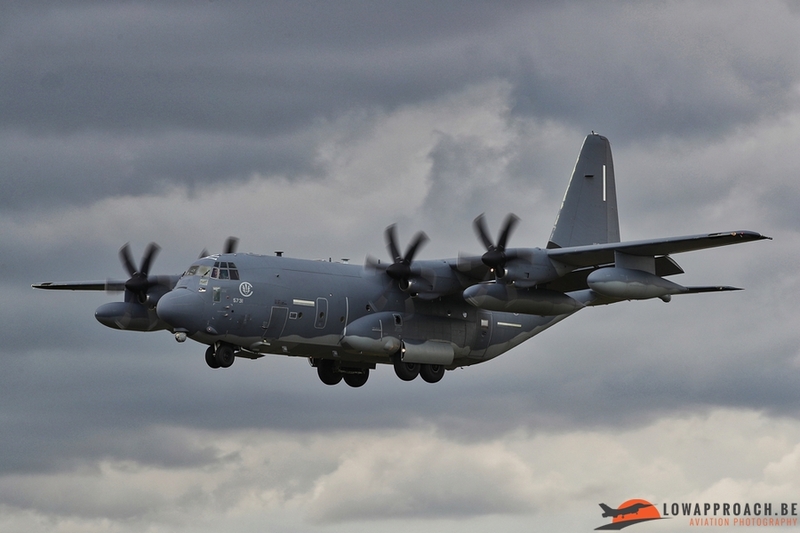 Third and final aircraft that the Italians provided, although not a jet aircraft, was the C-27J Spartan display. An always impressive display from this light transport aircraft provided by the RSV. An always returning type to the RIAT is the F-16, this year wasn’t any different. The F-16 is one of the worlds most sold airframes in numerous variants. 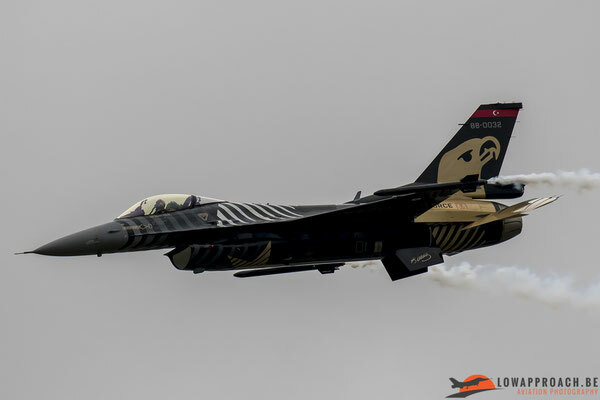 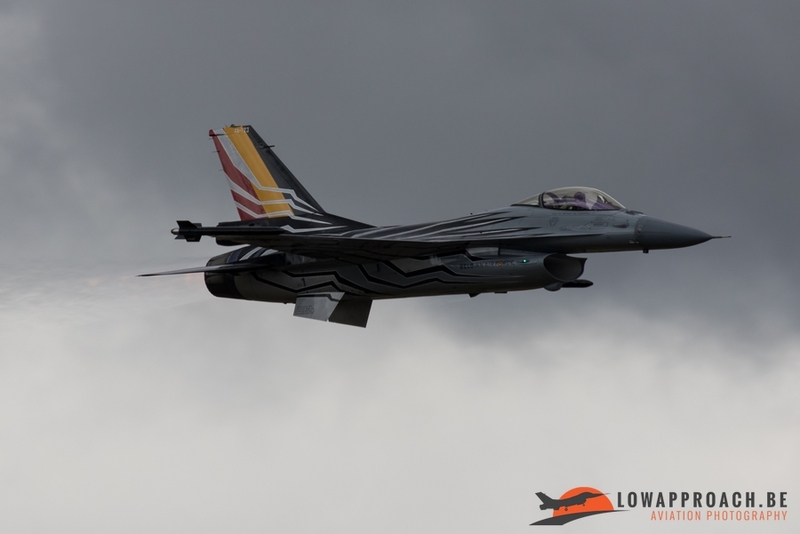 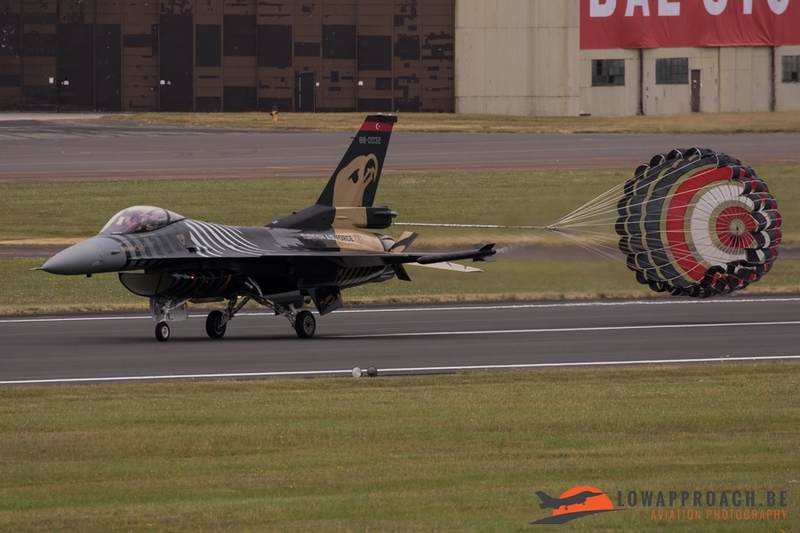 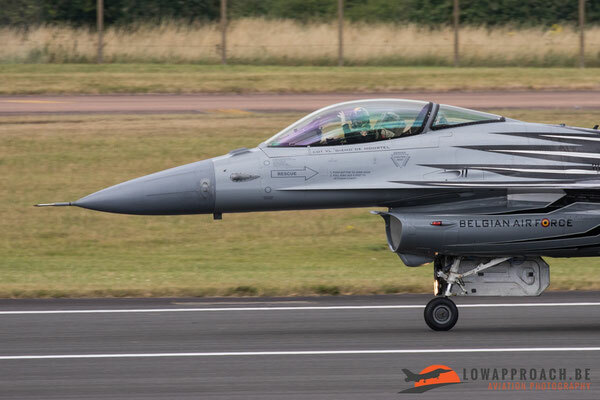 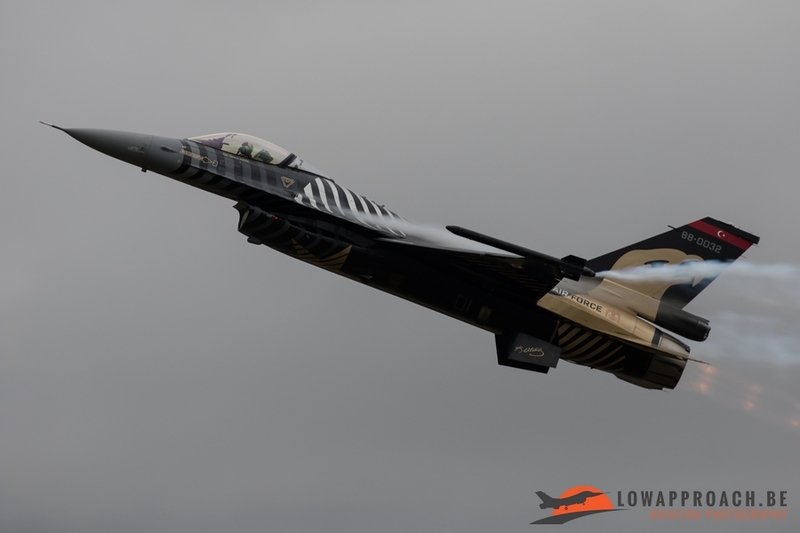 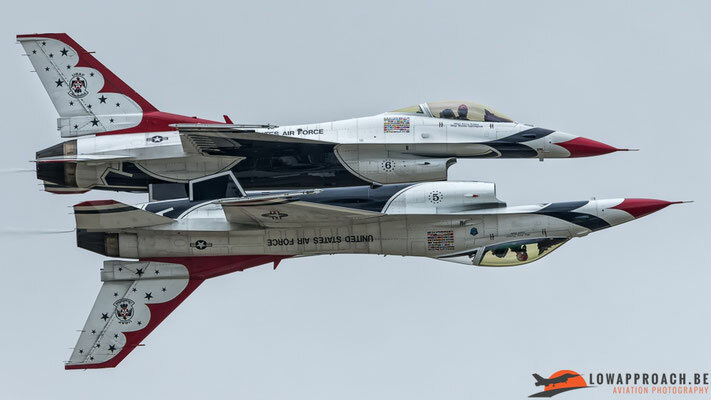 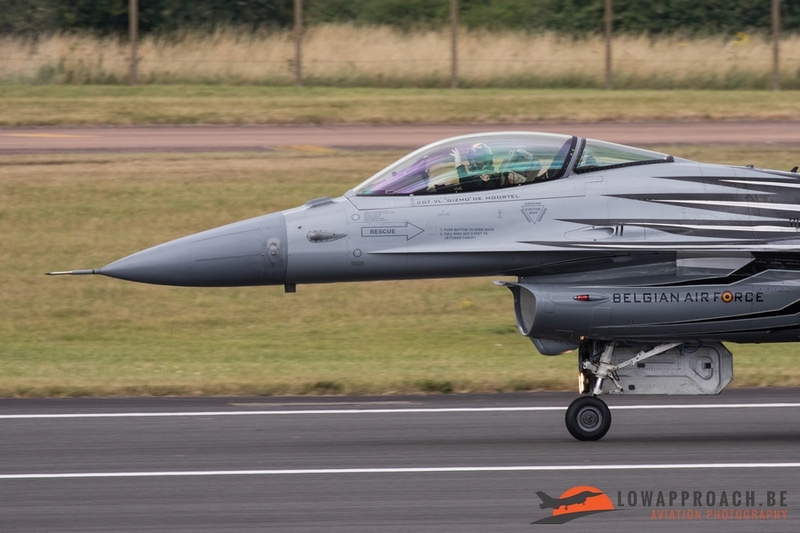 The Air Tattoo managed to attract 2 F-16 solo displays for this years airshow, the first one came from the Belgian Air Component. 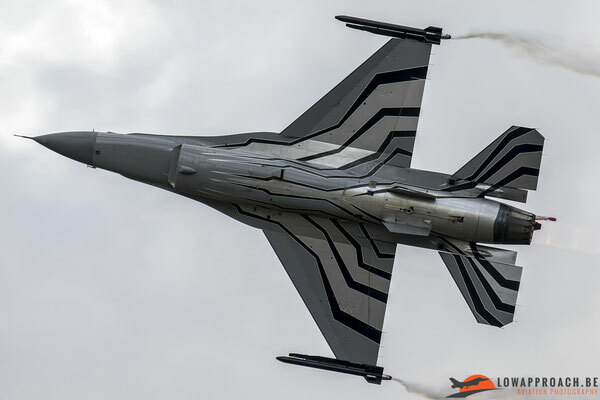 The team uses the F-16A Block 20 Mid-Life Update version of the Fighting Falcon. 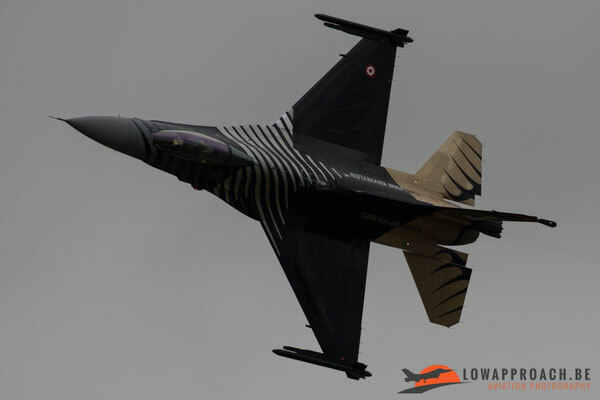 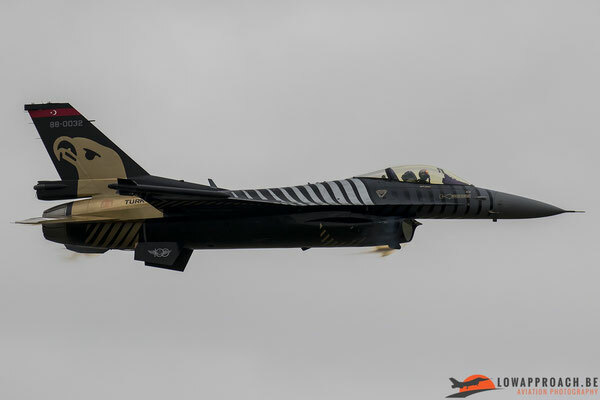 The other F-16 display came from the Turkish Air Force, named Solo Turk. 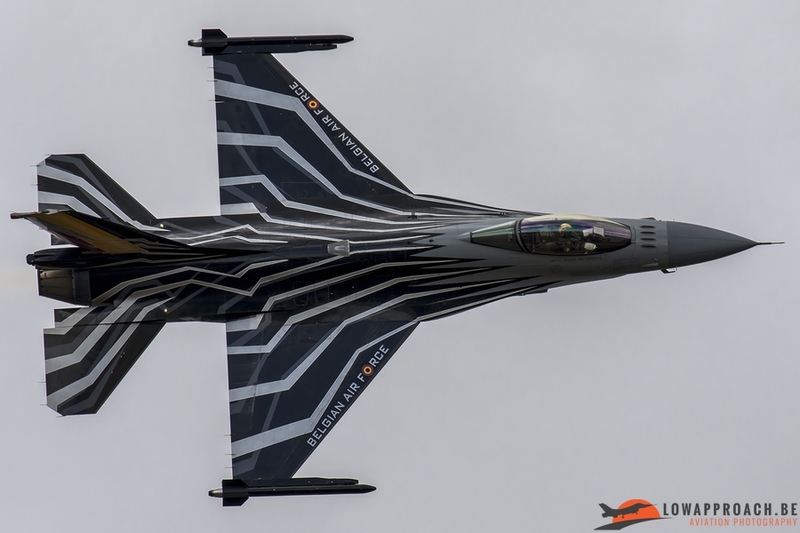 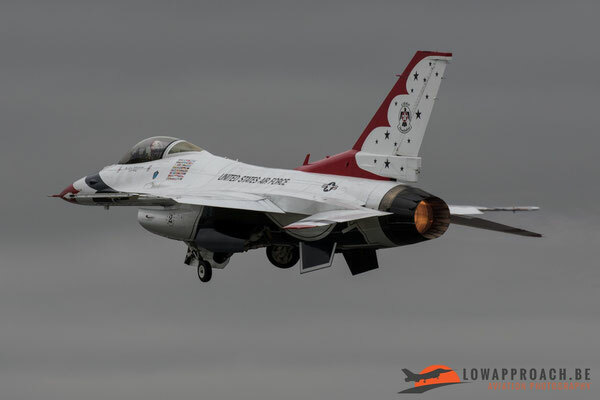 This team uses the more modern version of the Fighting Falcon, they came over with the F-16C Block 30. Another favorite, and in the past you could say that it was a rival for the F-16 when the USAF was looking for a 4th generation fighter aircraft, is the F-18. 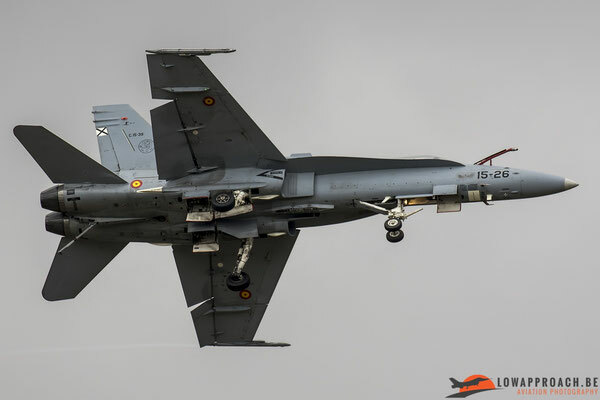 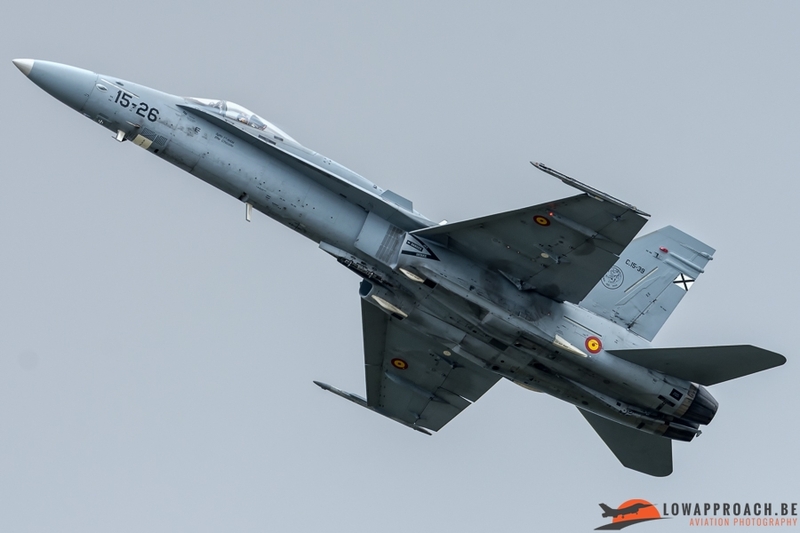 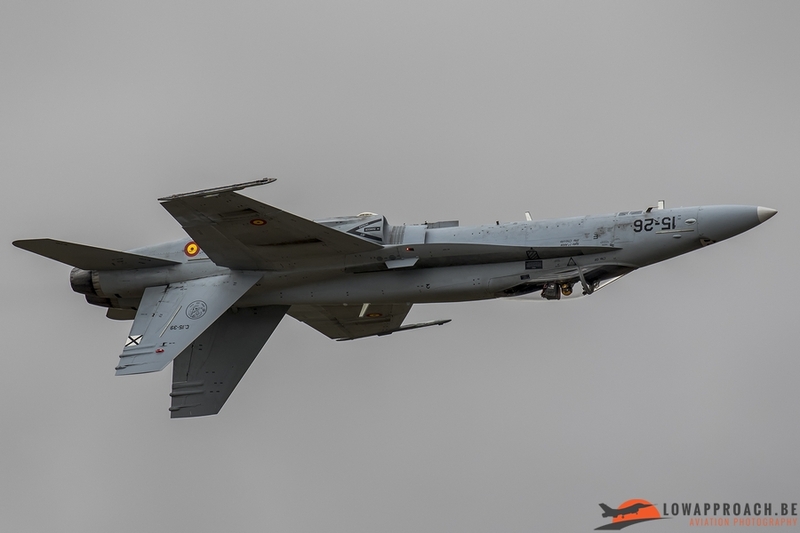 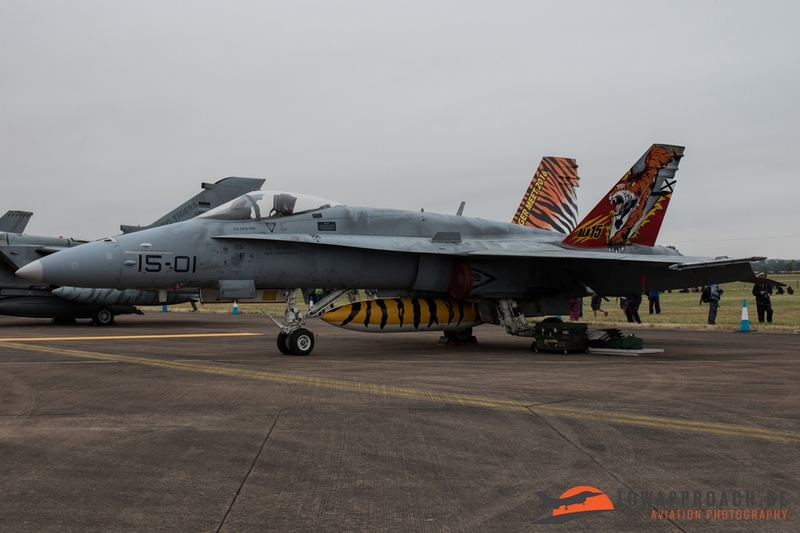 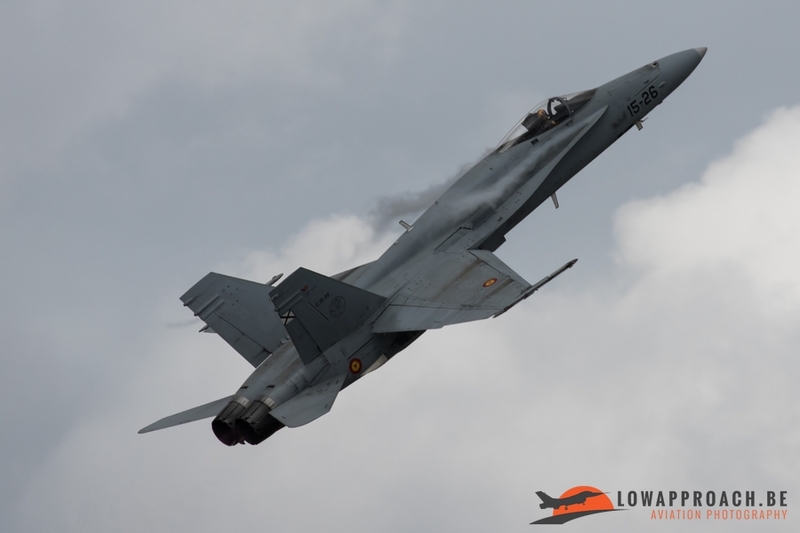 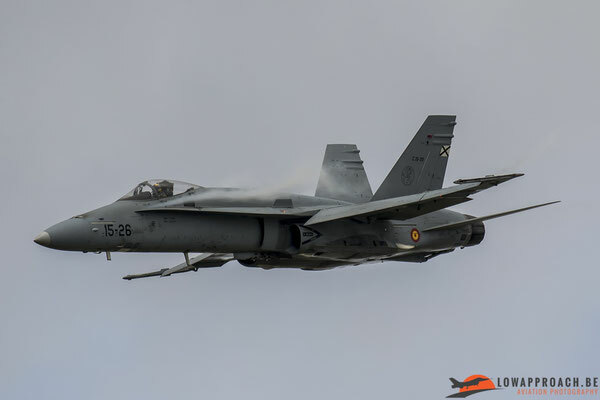 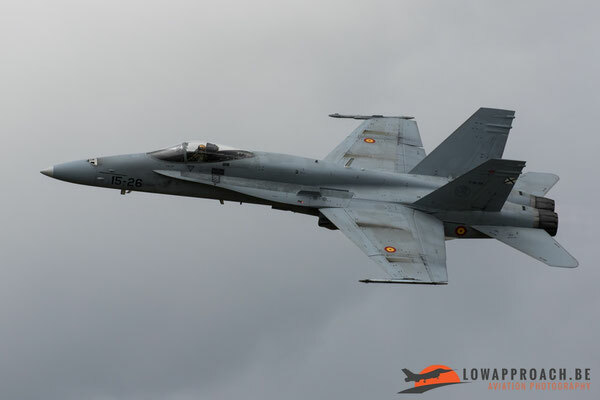 For this year the F-18 came from the Spanish Air Force and it showed an impressive display. 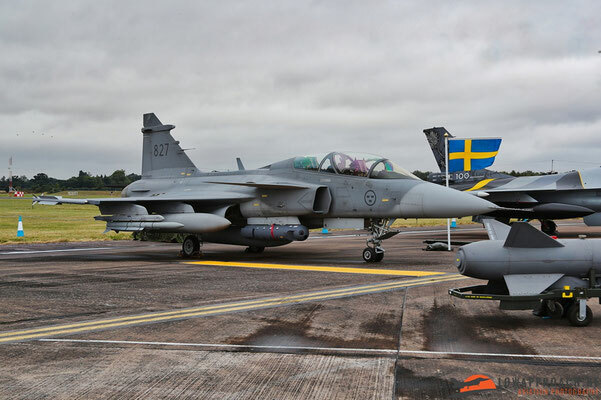 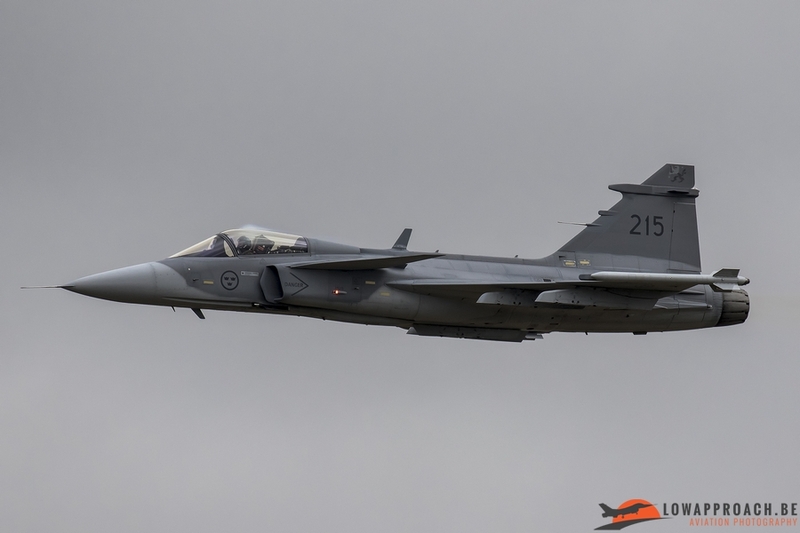 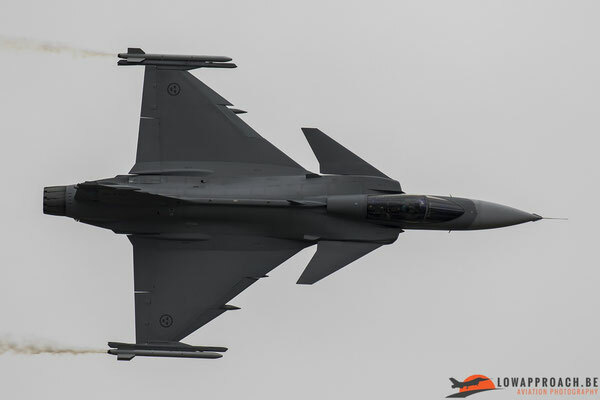 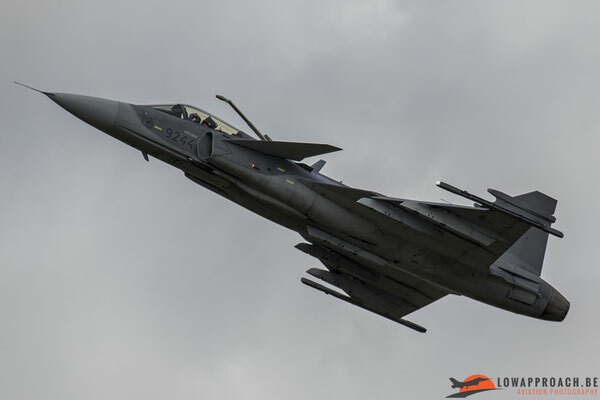 The last few years Sweden attended the RIAT with the Saab JAS-39C Gripen and also this year they were present with this airframe. 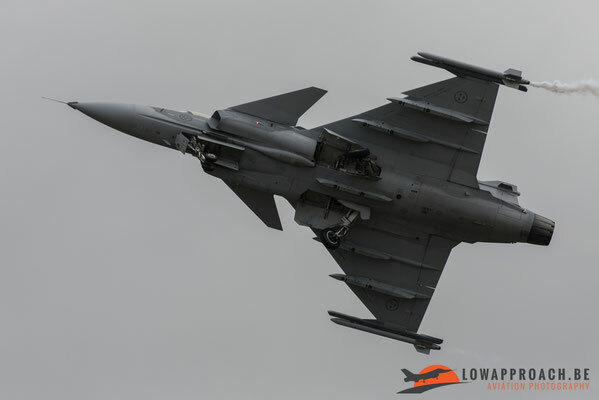 We can say that the Swedish Air Forces Gripen display has really improved over the years as it became much more dynamic. 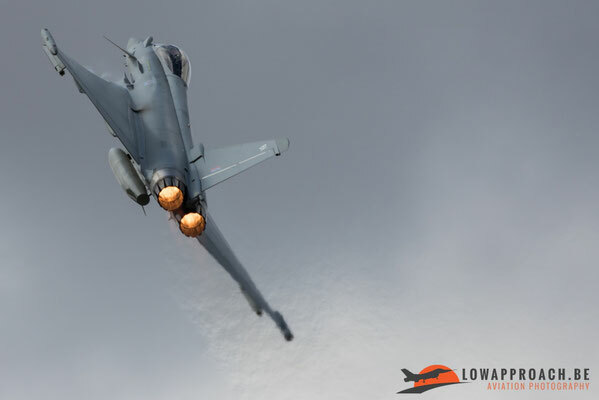 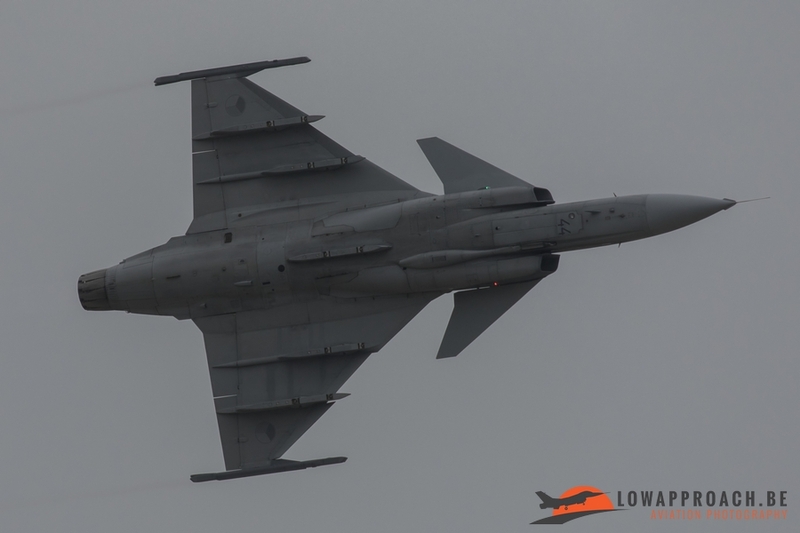 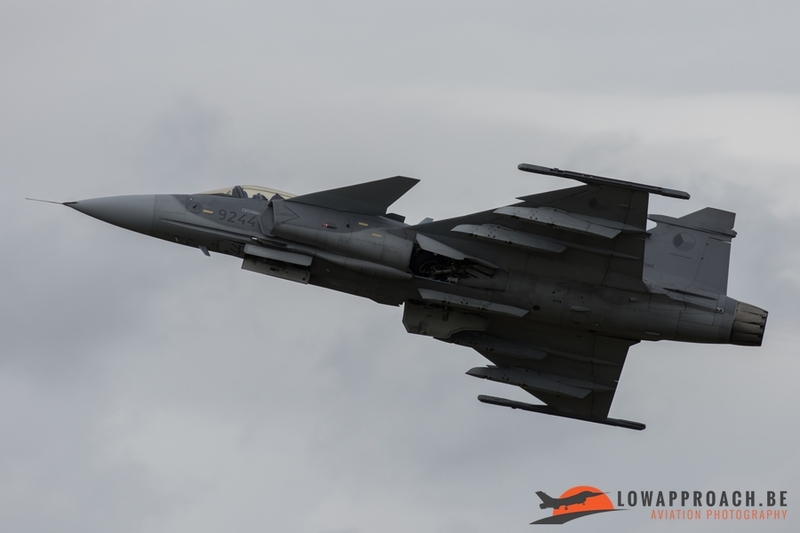 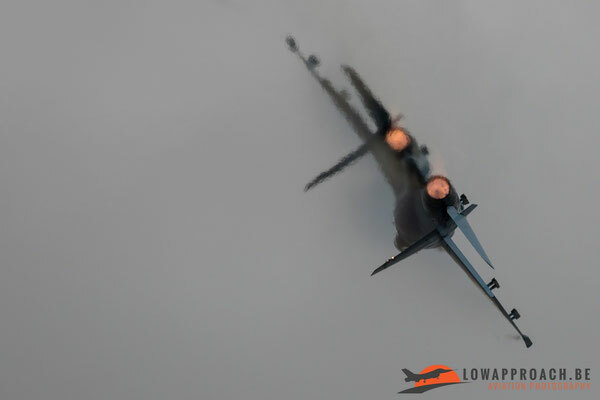 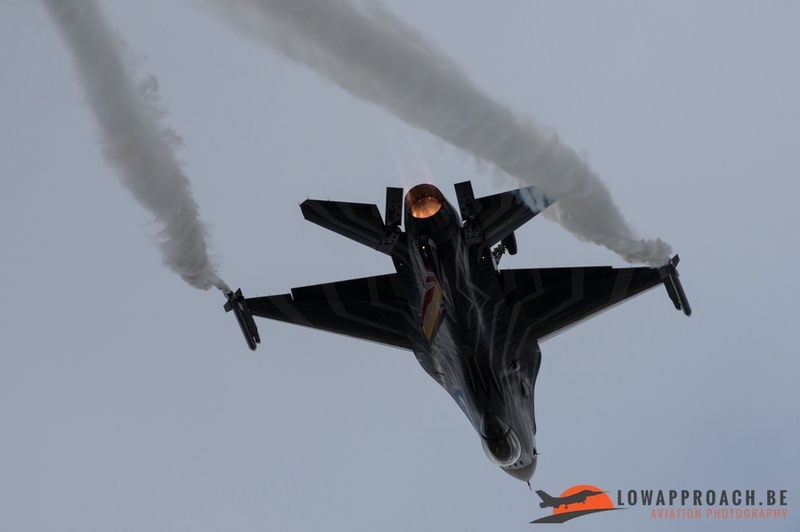 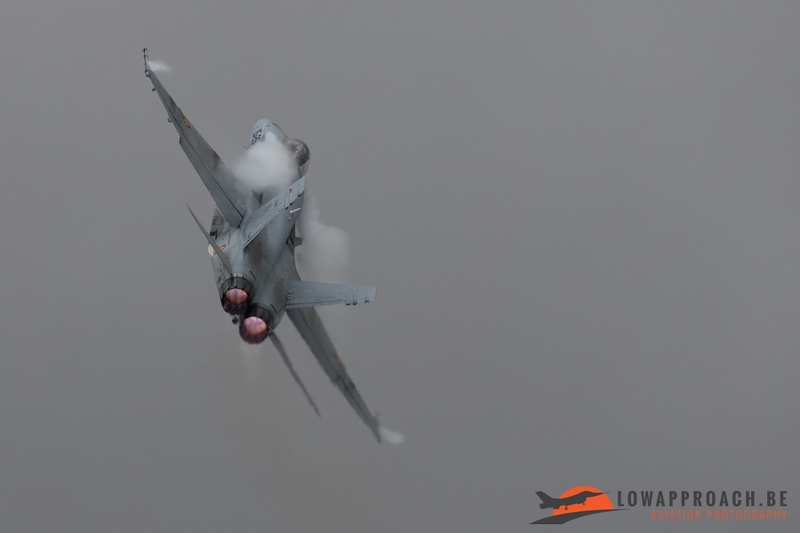 Sweden wasn’t the only country that displayed the Gripen, also the Czech Republic brought over their JAS-39C solo display and also they put on a really dynamic display. 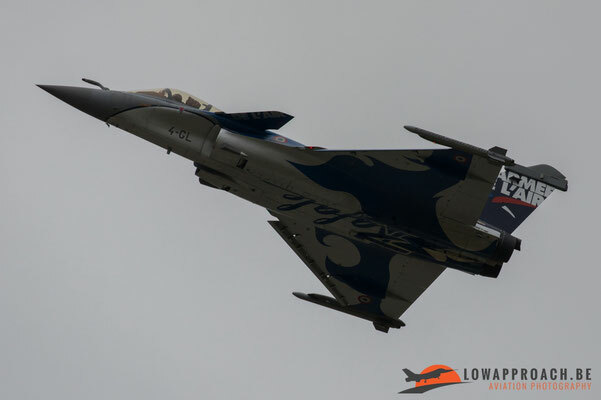 The Gripen wasn’t the only item that the Czechs brought over for the flying display. 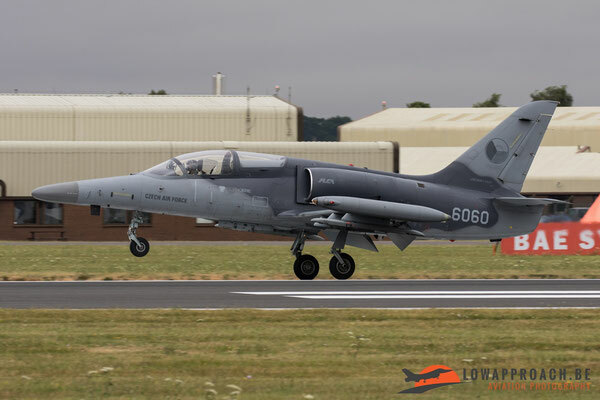 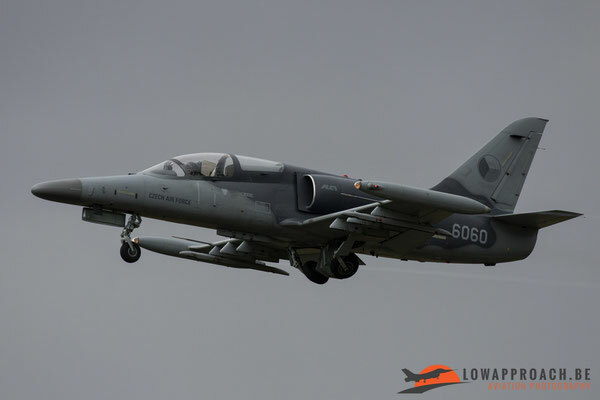 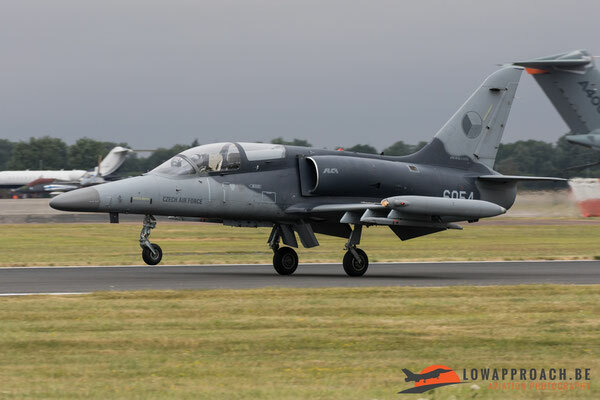 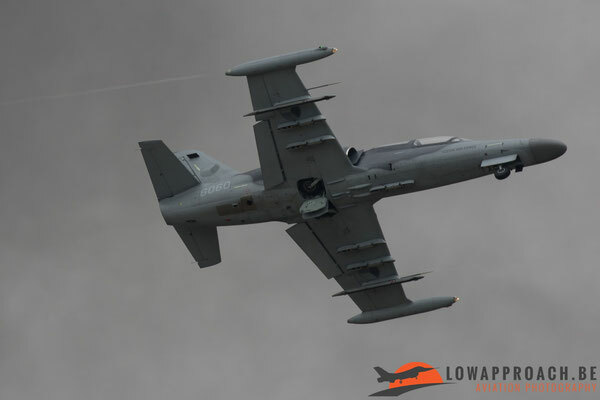 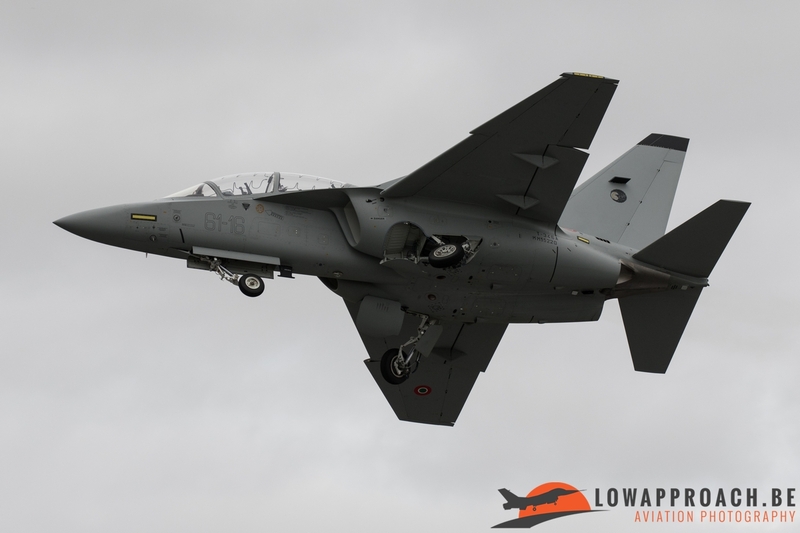 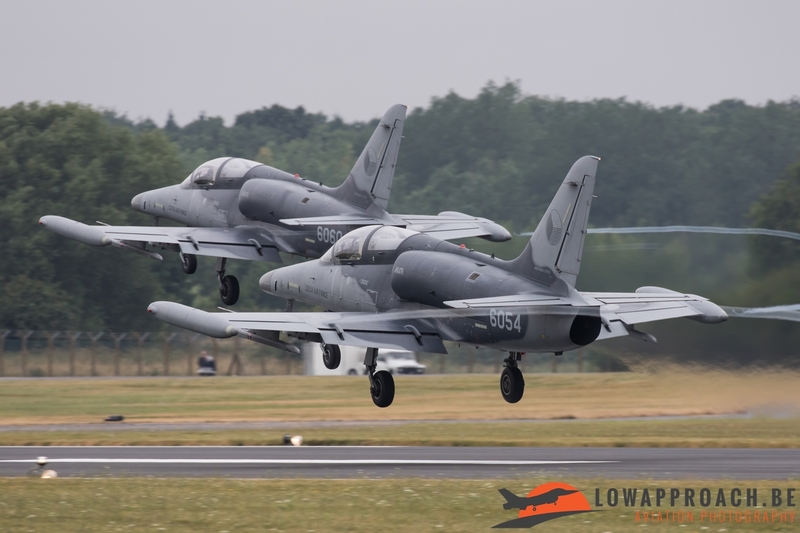 For the first time they also came with the duo display from the L-159 ALCA’s. The display that the 2 ALCA’s performed in front of the spectators was more a sequence of tactical procedures that the ALCA’s use in normal operations and their display routine was complemented with some nice pyrotechnics. 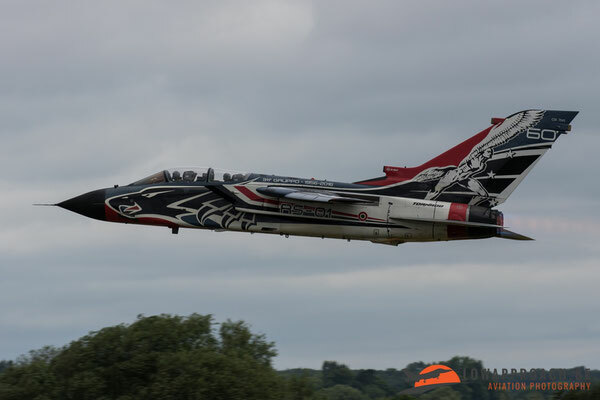 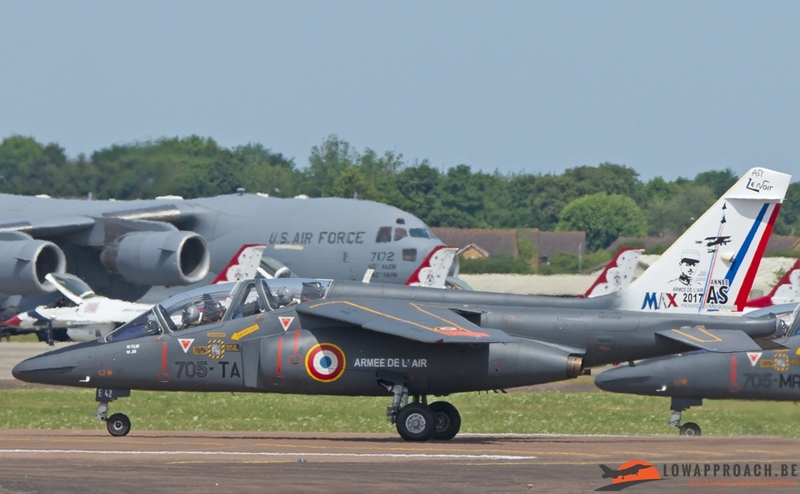 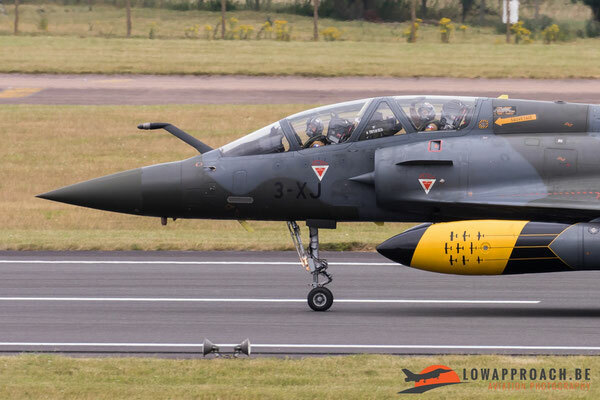 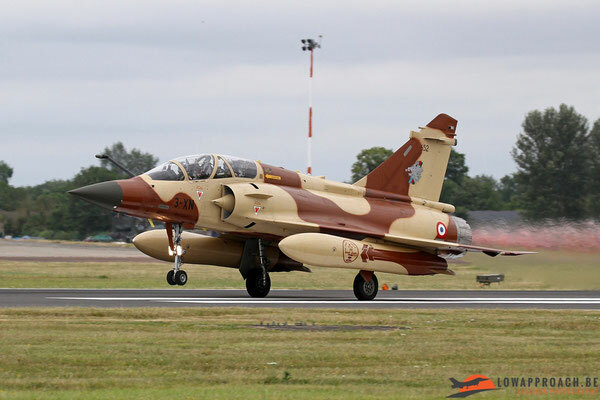 The French Air Force sent 2 very nice jet displays to the Air Tattoo. 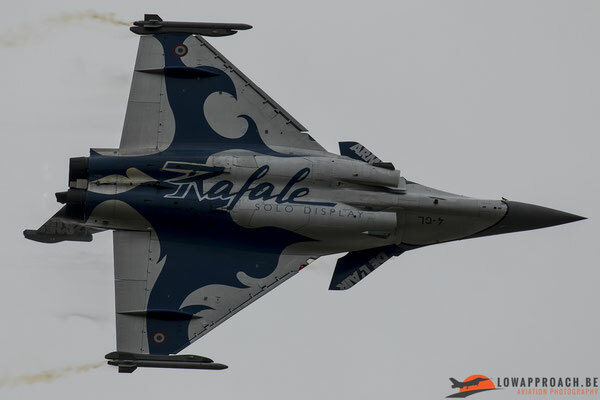 The first display that thundered through the sky of Gloucestershire was the ever impressive solo display from the Rafale. 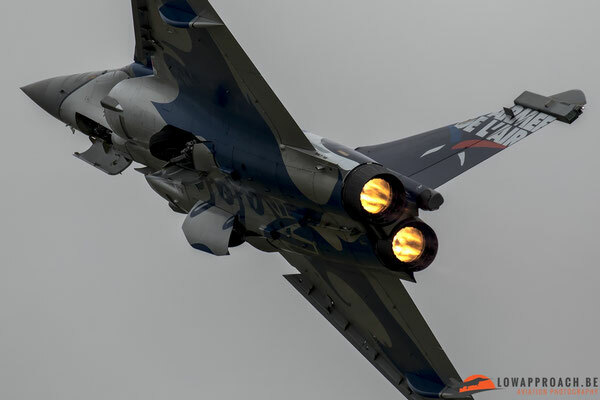 The French Air Force always knows how to showcase this fighter jet in the best possible way. 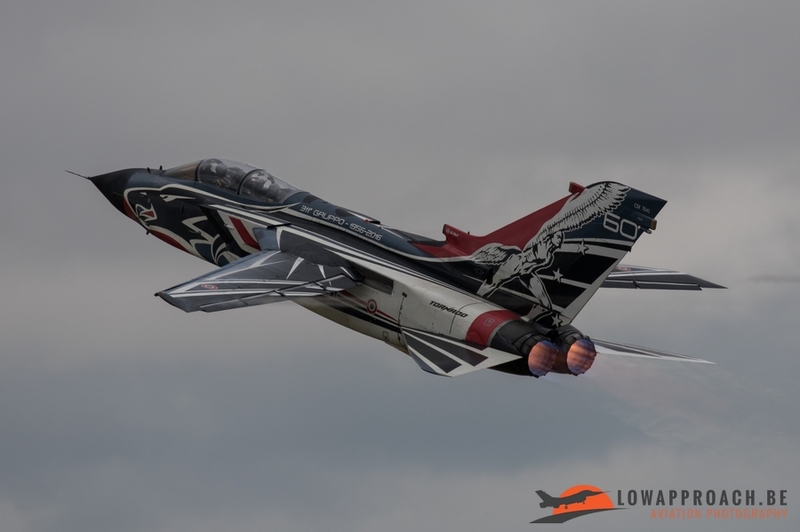 Apart from the aggressive display routine, the display jet also received an impressive colour scheme to give it the finishing touch. 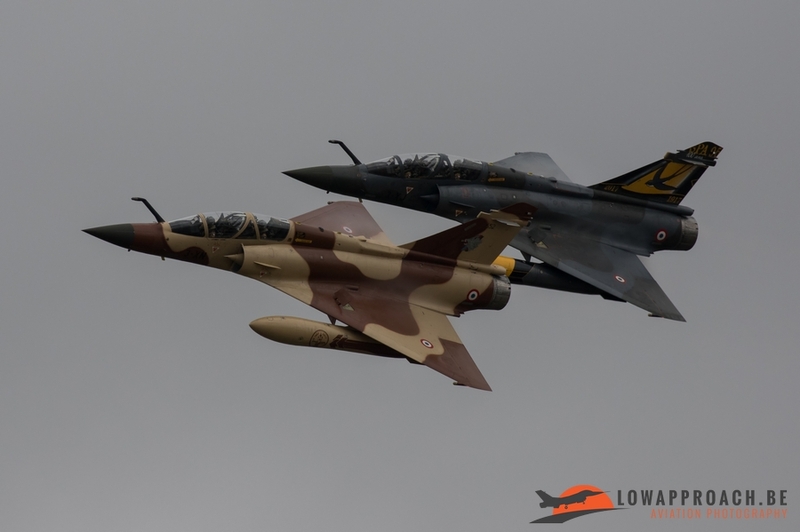 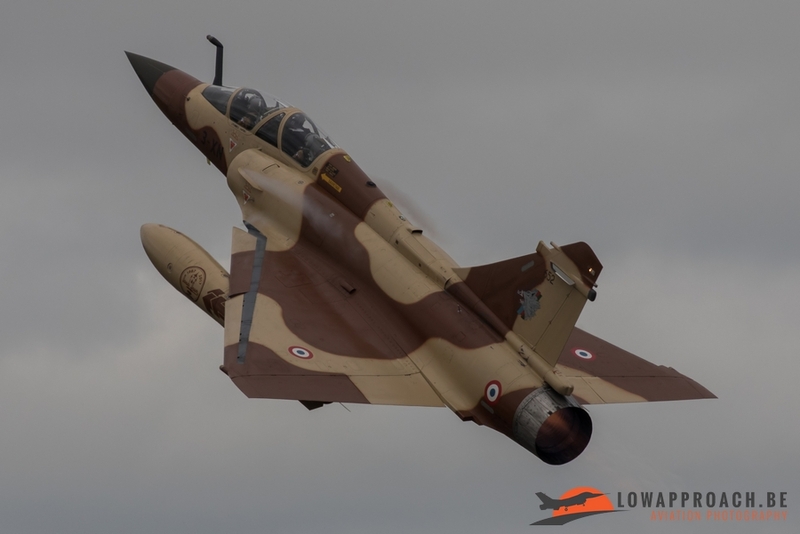 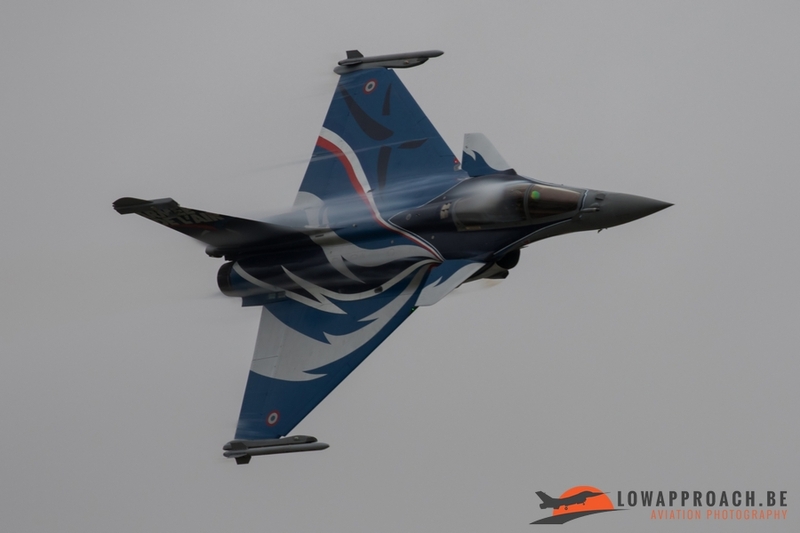 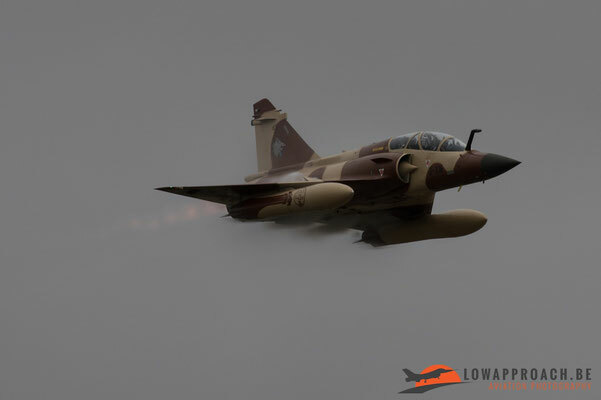 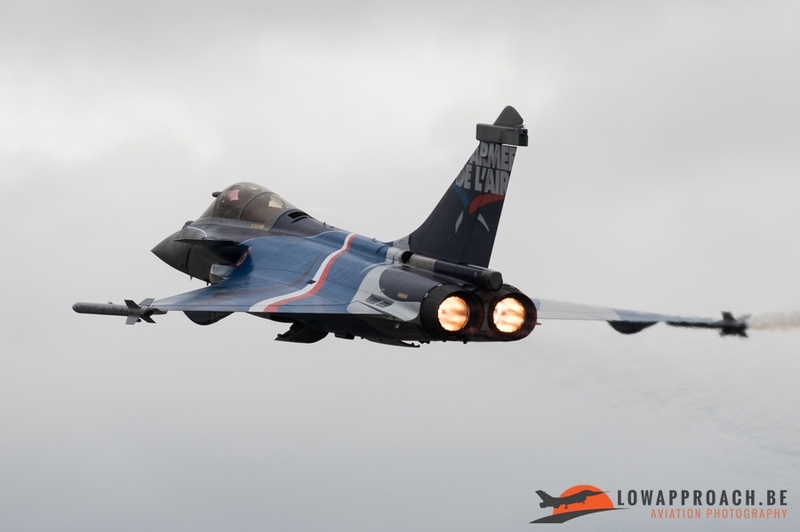 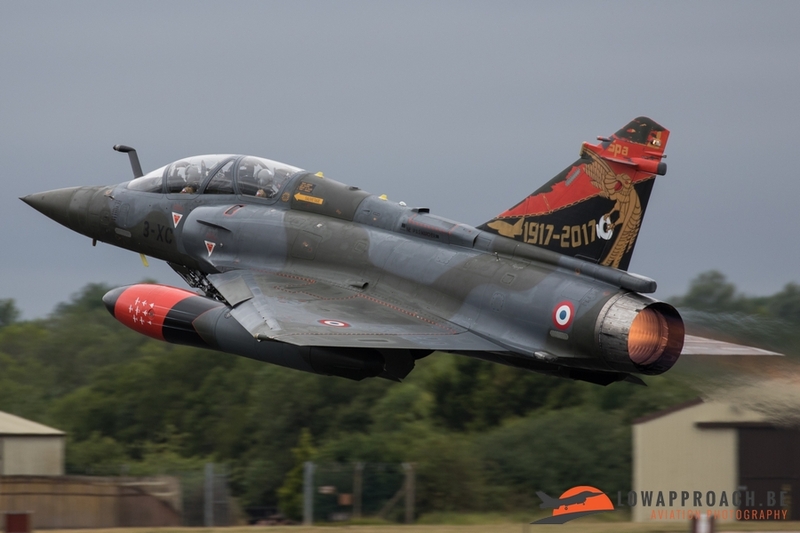 The second flying display act that the French sent to the airshow was the Mirage 2000D pair that flew a tactical display. 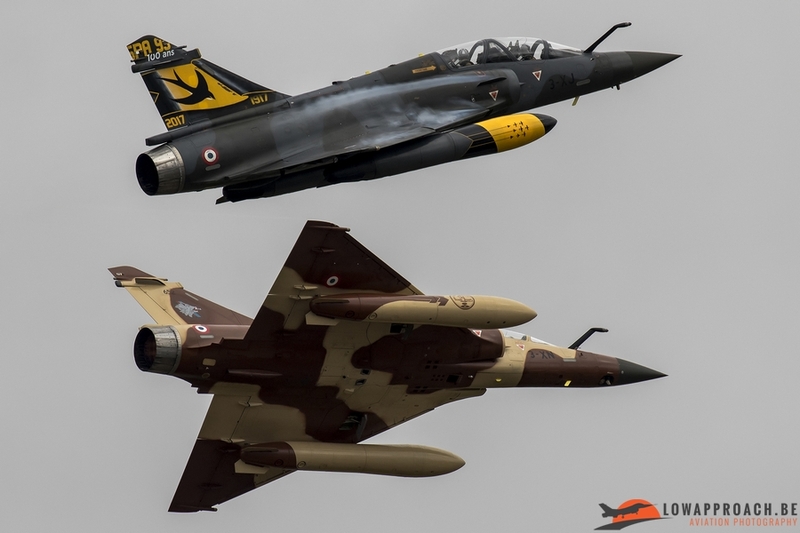 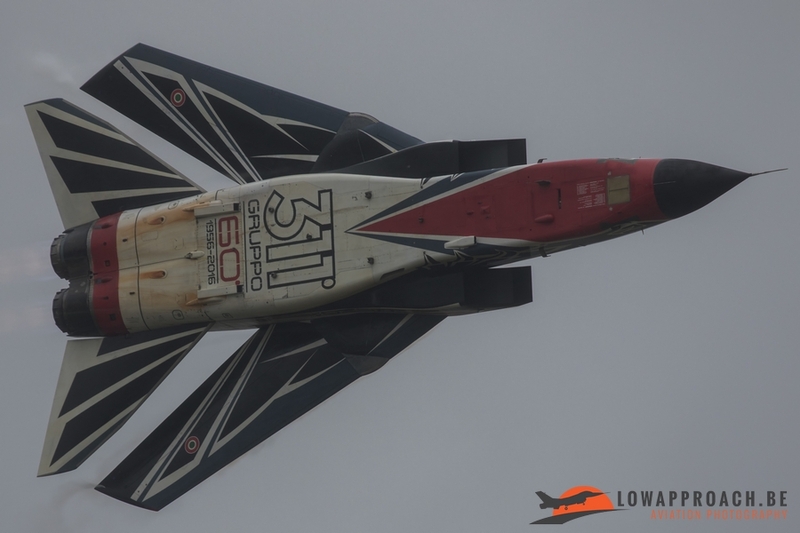 The team is called "Couteau Delta" and was created after the Mirage 2000N duo “Ramex Delta” was dissolved in 2016. 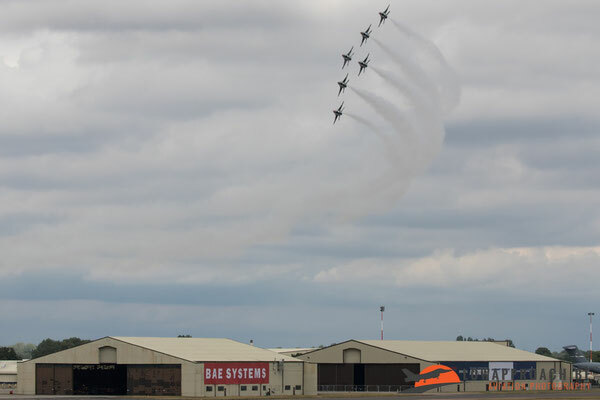 For this years display they used the same routine as Ramex Delta used to fly at airshows. 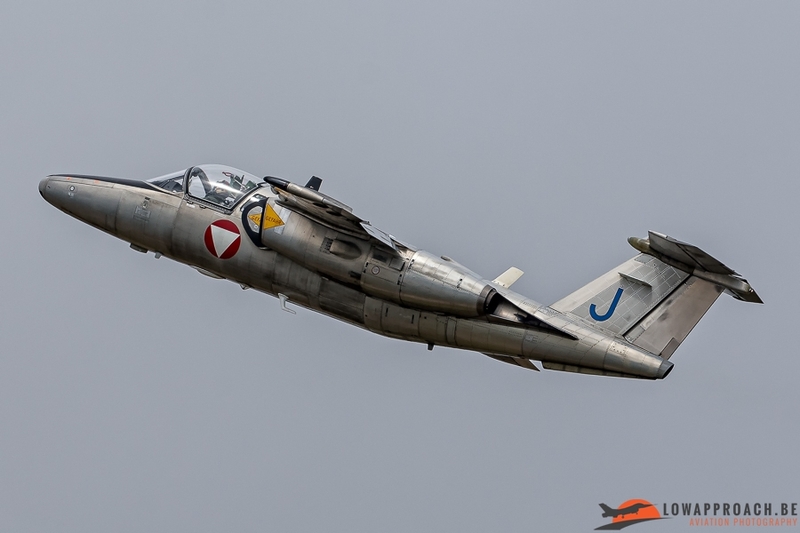 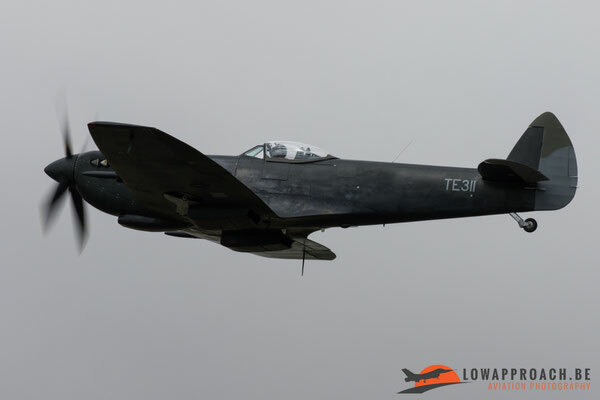 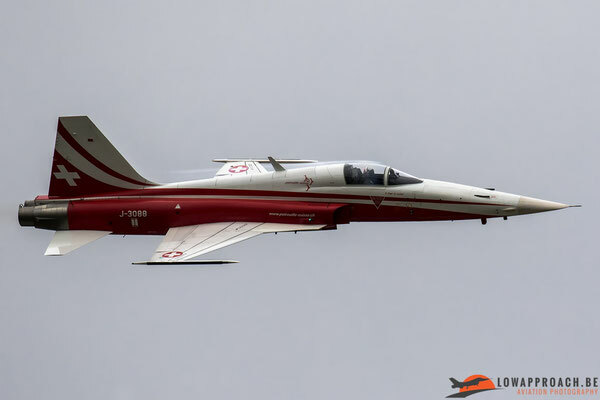 The Austrians sent the smallest and oldest jet to the airshow. 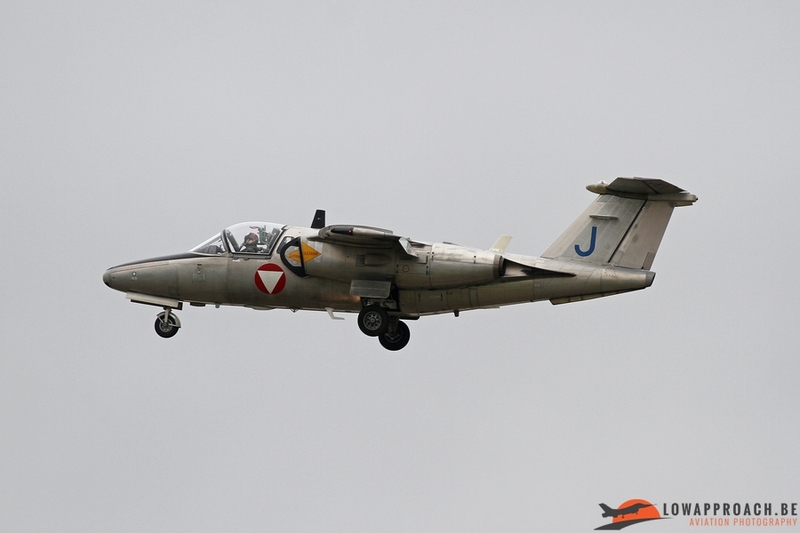 They displayed the little Saab 105Oe trainer to the audience. 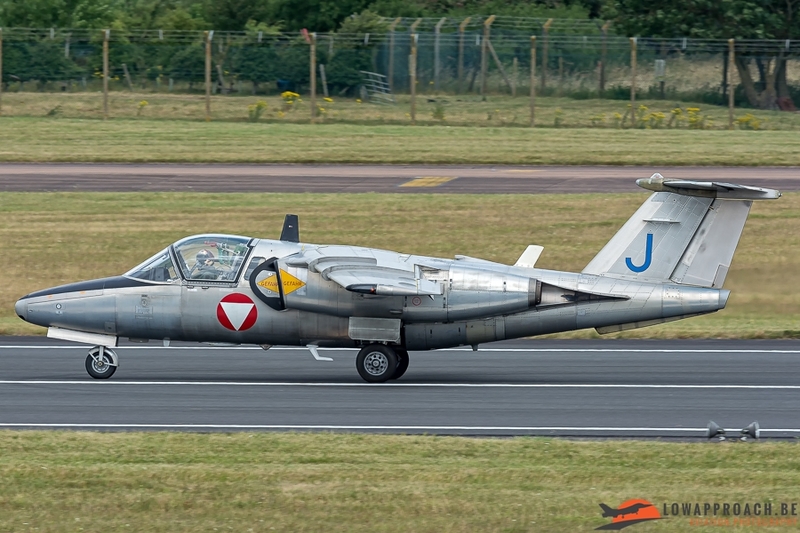 This little jet was already 47 years in action when it displayed at the Royal International Air Tattoo in 2017 and it still put on an interesting display although pretty difficult to photograph due to its small size. The Solo Display that was most looked forward to was without a doubt the one that came from the Ukrainian Air Force. 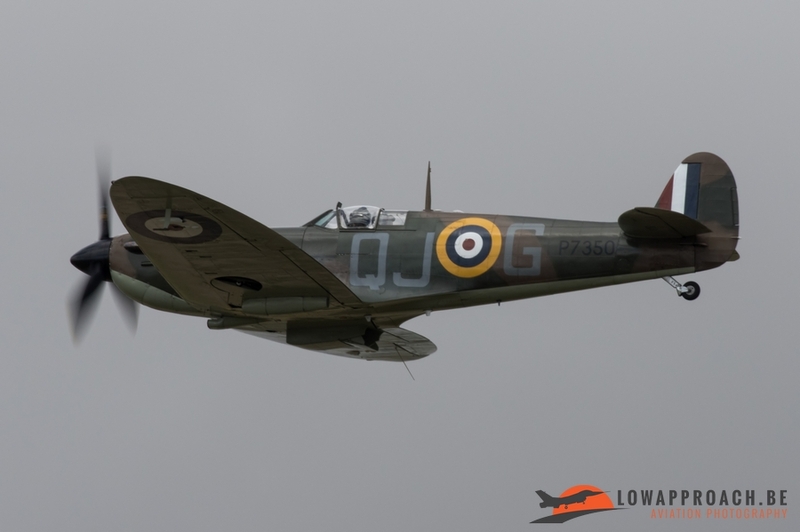 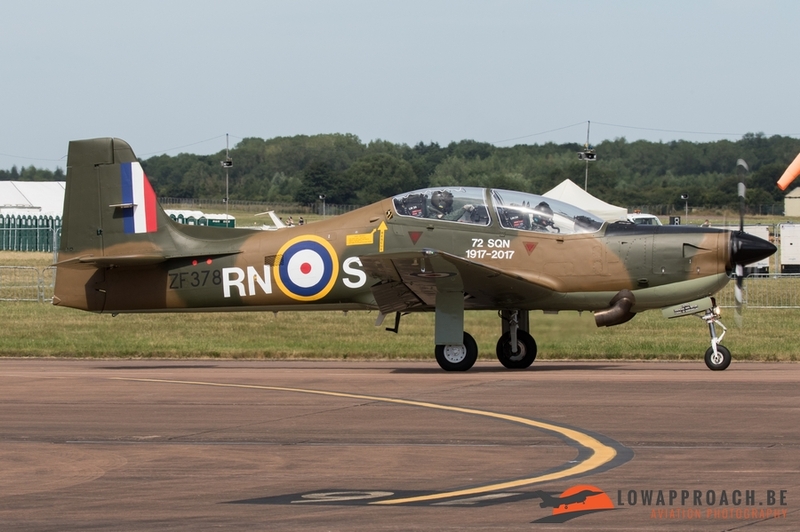 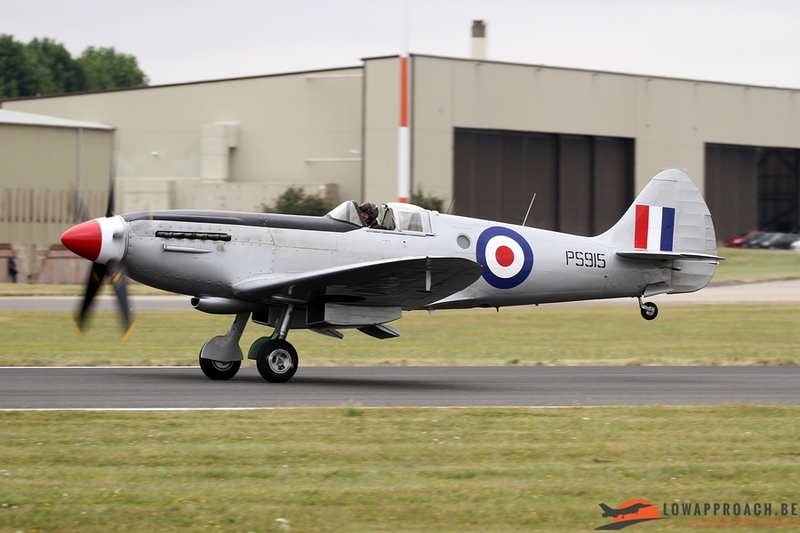 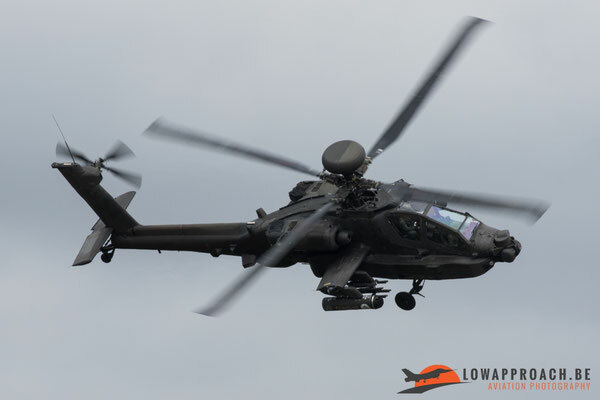 Officially added to the flying program only a couple of days before the Royal International Air Tattoo was held, the announcement was received to great joy amongst the many aviation enthusiasts that were going to attend the show. 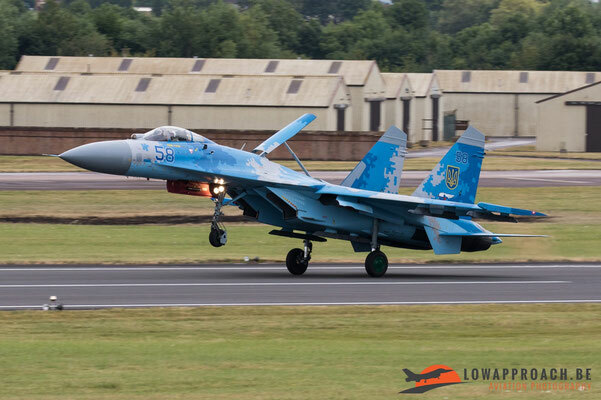 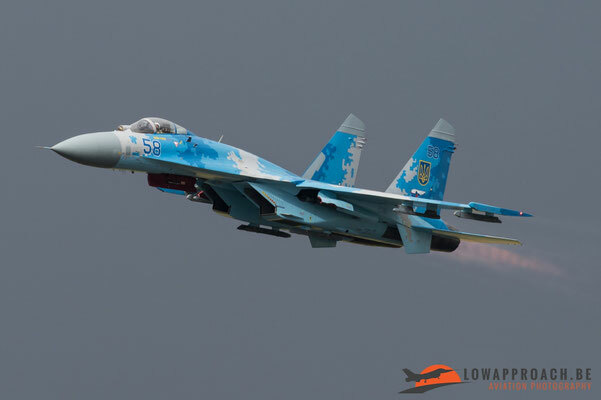 After an absence in the flying display for more than 20 years, 2017 finally saw the return from the mighty Ukrainian SU-27 Flanker display. 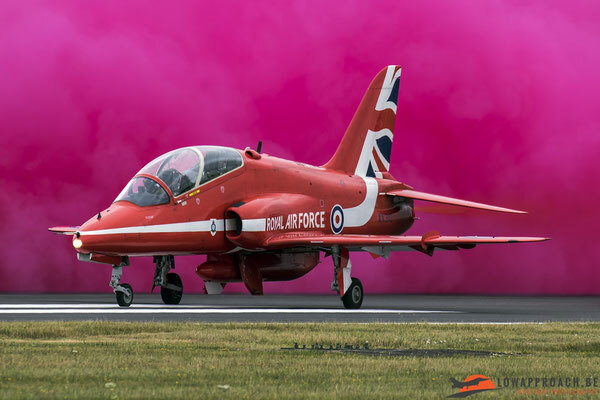 As the Royal International Air Tattoo is held in the UK, the Royal Air Force certainly can’t be missed at this huge event. 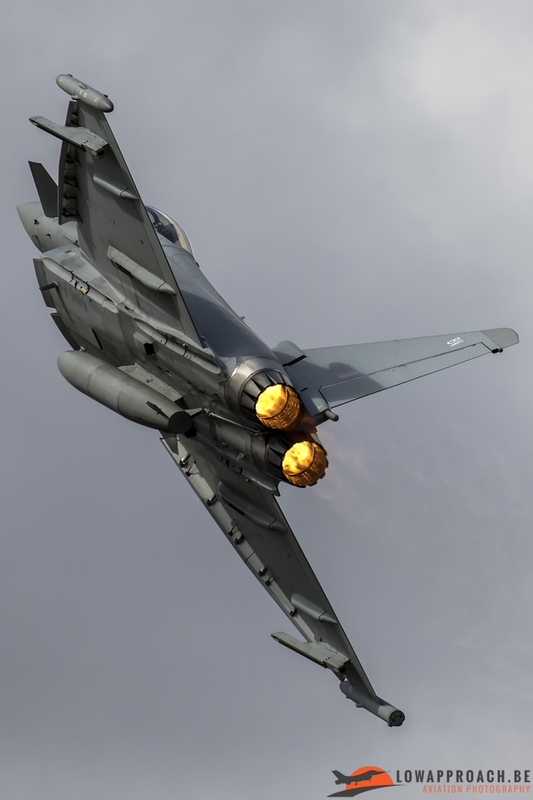 For the real jet power the RAF provided the Typhoon FGR4 that teared up the sky with its powerful display. 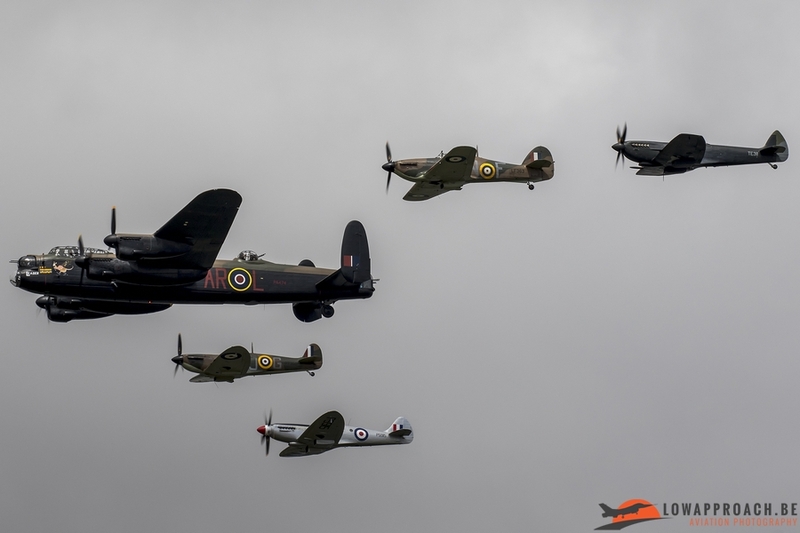 And going from the incredible noise from the afterburners to the gracious sound of Rolls-Royce Merlin engines, apart from the most modern operational aircraft in the RAF inventory, the RAF also sent the Battle of Britain Memorial Flight to the RIAT. 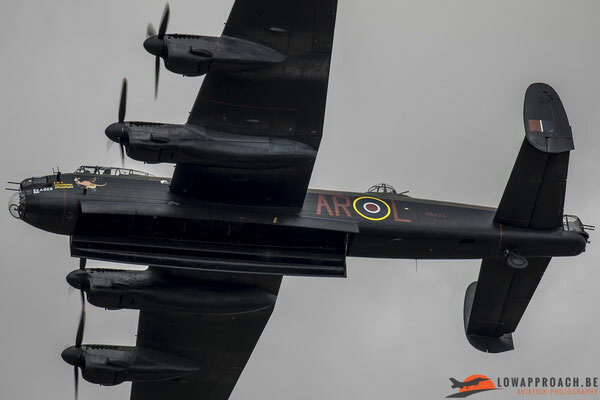 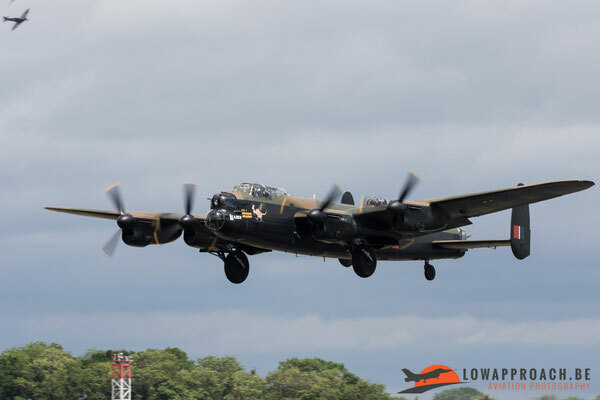 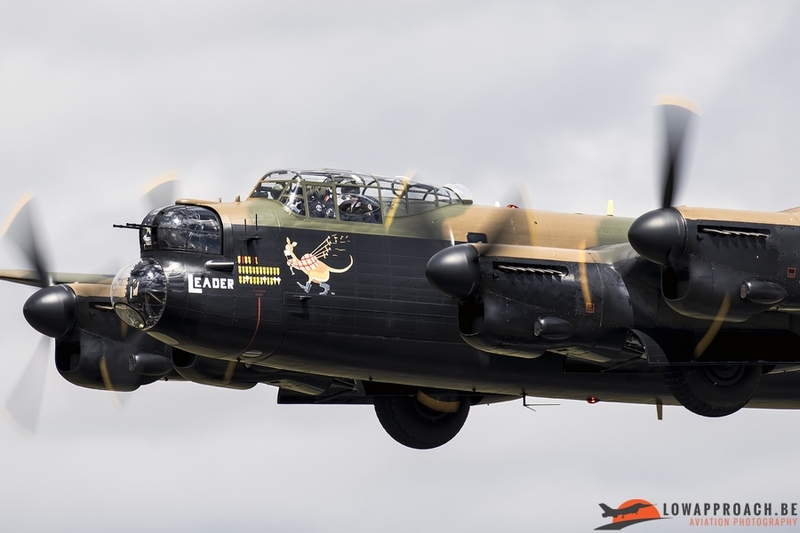 This year the BBMF consisted out of the Lancaster, which after an intensive repair from an engine fire finally came back on the airshow circuit in 2017, and no less then 4 Spitfires from various marks. 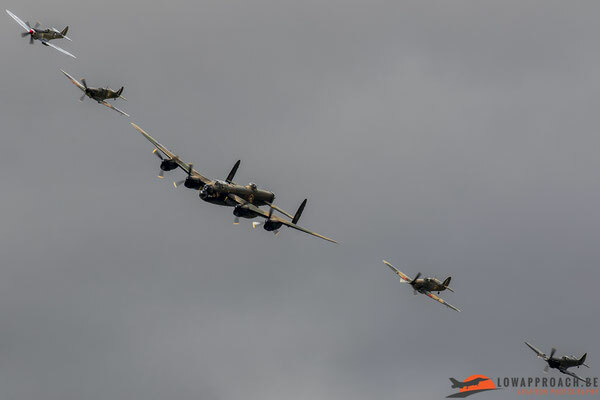 Like usual their routine consisted out of a couple of formation passes after which the Lancaster and the Spitfires separated and performed their own display. 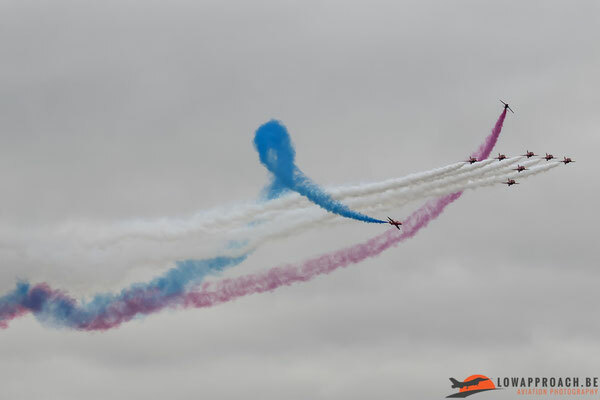 Besides the Eurofighter and the BBMF, the RAF also sent their most popular asset to the Air Tattoo, the Red Arrows. This team, consisting out of 9 Hawk T.1’s, never fails to impress the audience with their tight formation flights that includes numerous formation changes throughout their display and off course, in the second part of their routine, the impressive opposition passes from the synchro pair. Apart from the Red Arrows, 3 other display teams were present at this years RIAT. 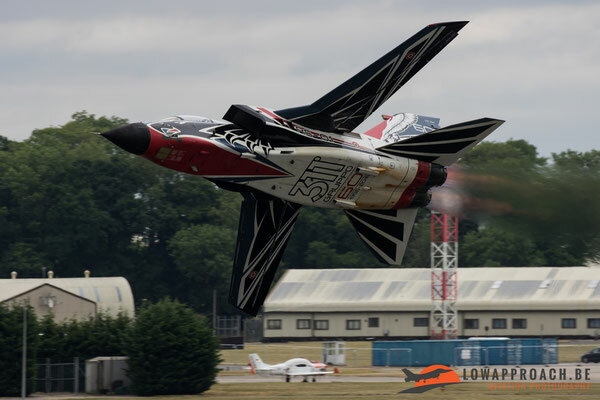 One team that hardly missed an edition are the Royal Jordanian Falcons flying 4 EA-300L. 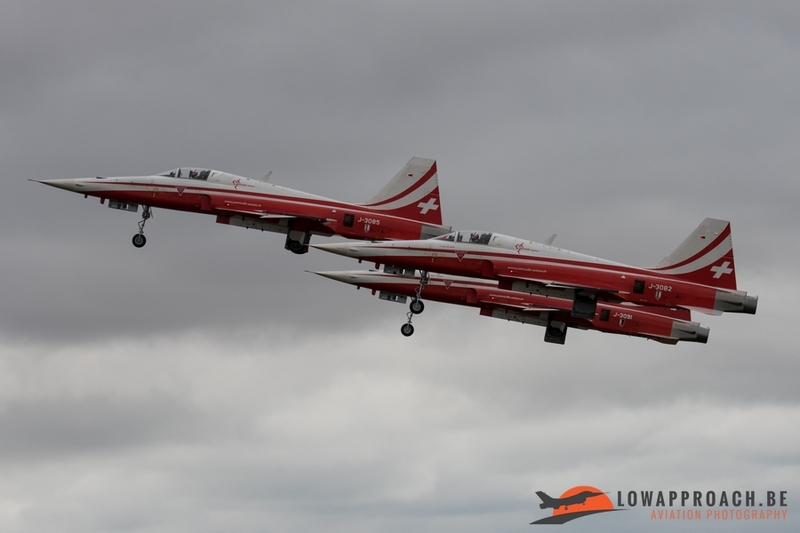 Another team that regularly attend the airshow and returned this year was the Swiss national display team “Patrouille Suisse” that fly their demonstration with 6 F-5E’s. 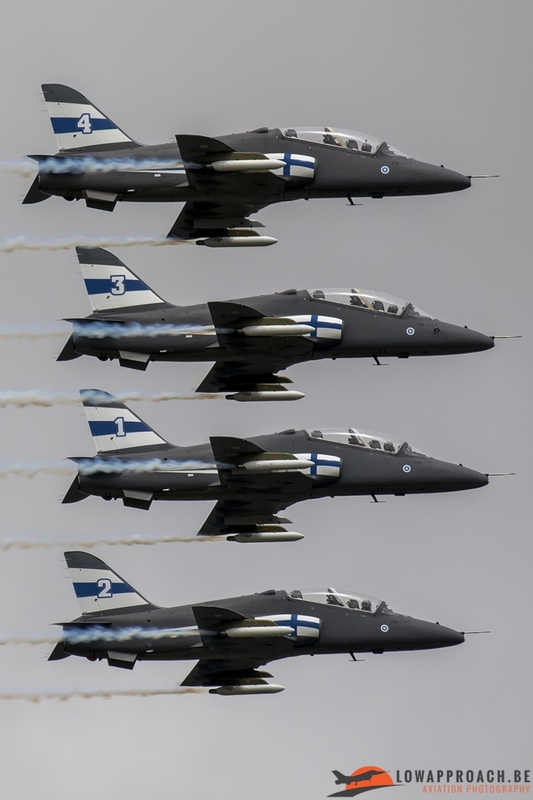 A third team that came over was a team that’s rarely seen outside their home country. 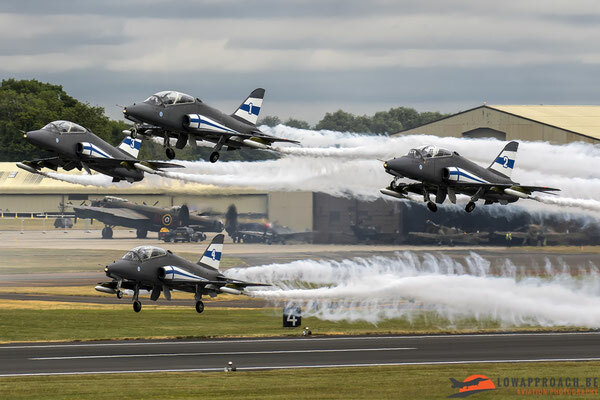 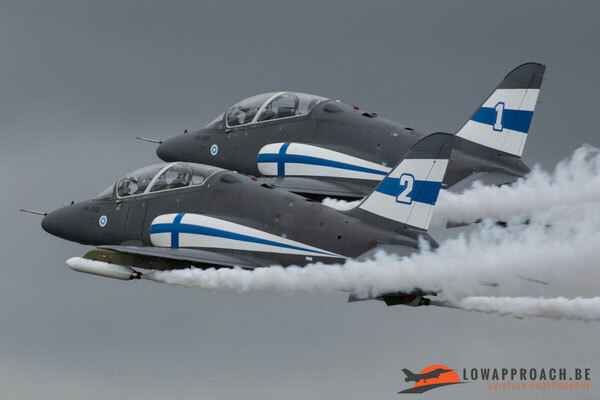 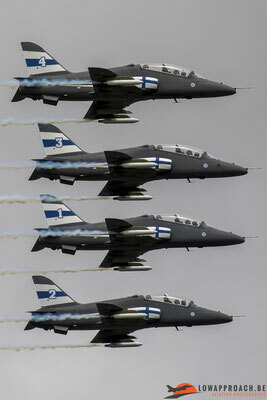 This team was the Midnight Hawks, the Finnish national display team flying their display routine with 4 Hawk 51’s. 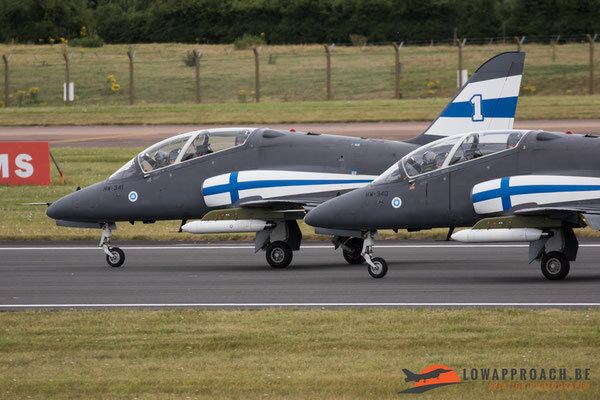 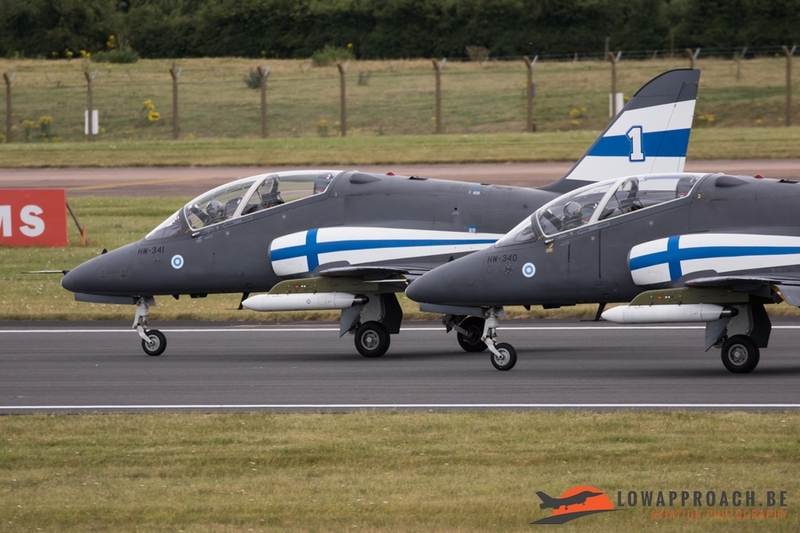 For the 2017 season the Hawk jets were adorned with a nice paint scheme representing the Finnish flag. 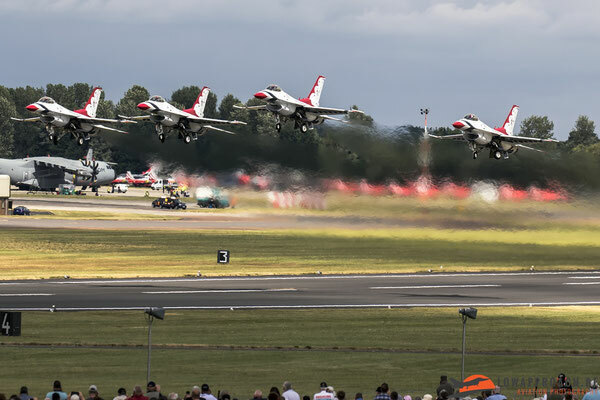 Besides all the jet noise the Air Tattoo also provided less noisy displays, but that definitely didn’t mean that they were less interesting. On the contrary, the quieter display contained some nice displays. 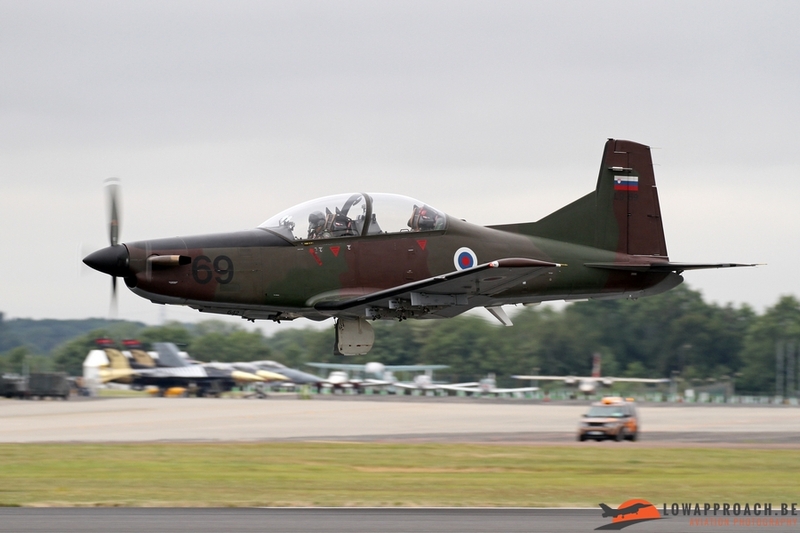 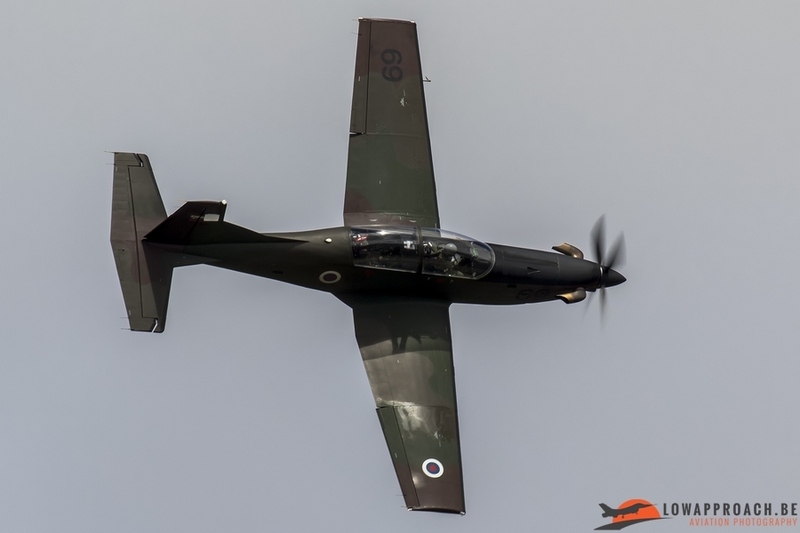 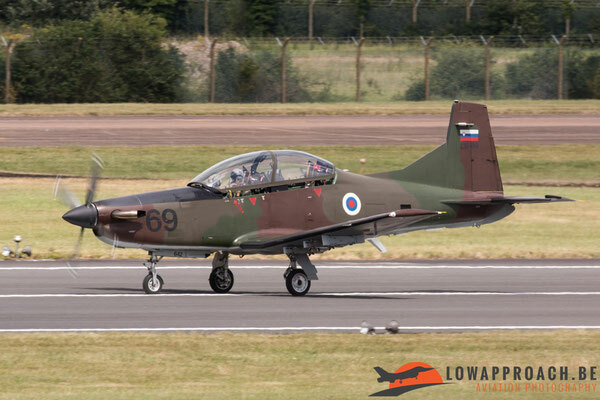 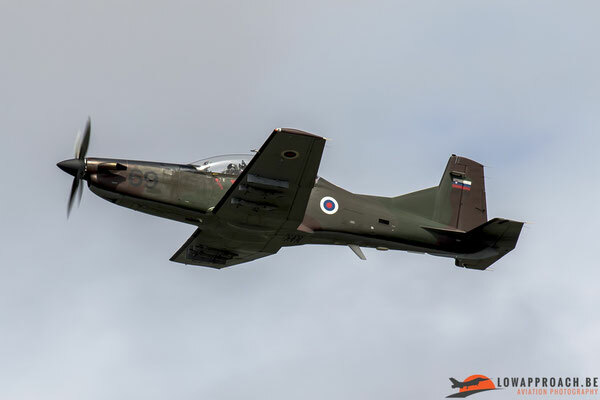 After an absence of one year, the Slovenian Air Force made a welcome return to the RIAT’s flying display with their PC-9M display. The PC-9M display wasn’t the only turboprop display that could be seen at the 2017 edition of the Air Tattoo. 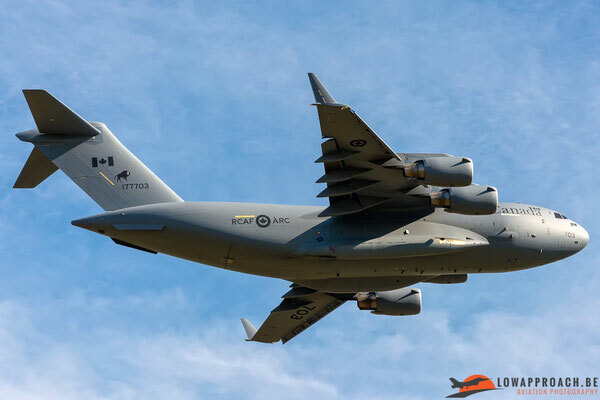 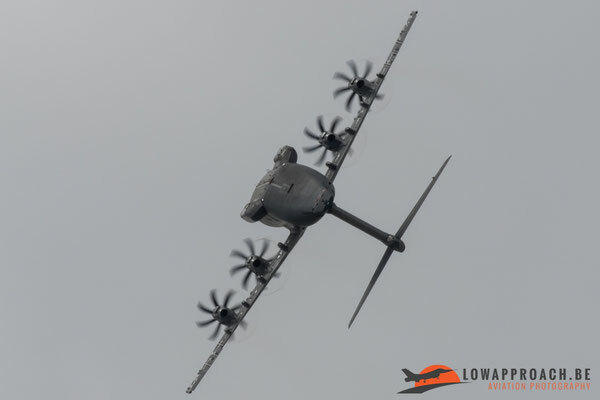 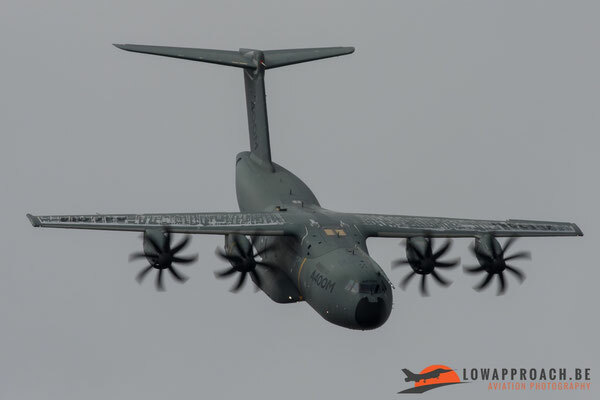 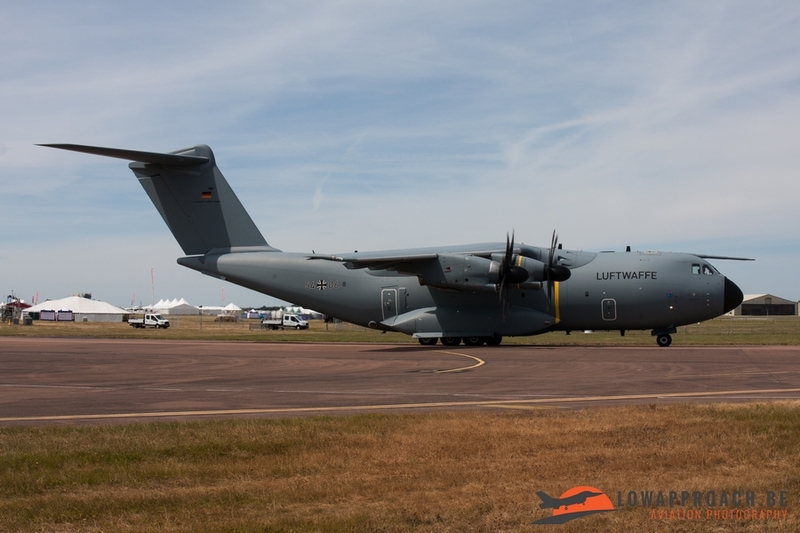 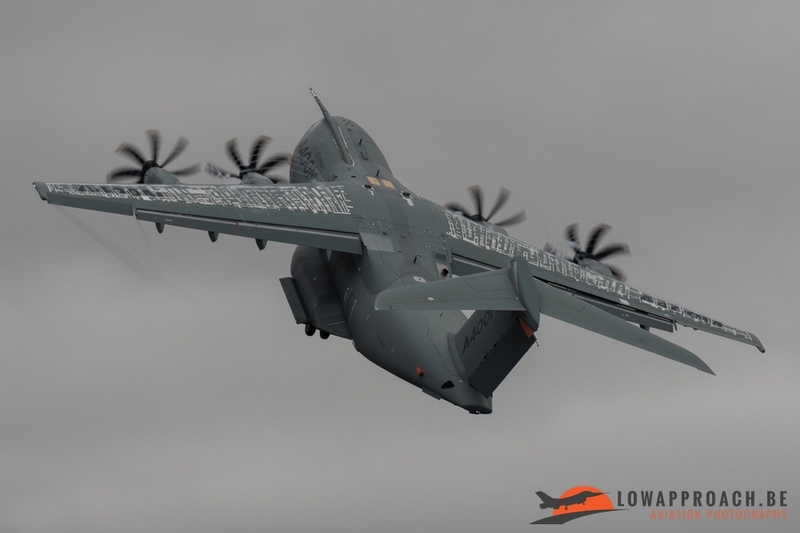 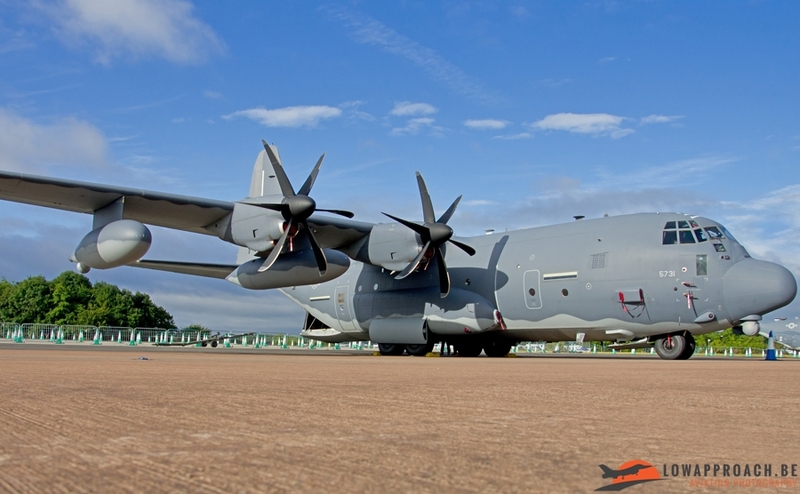 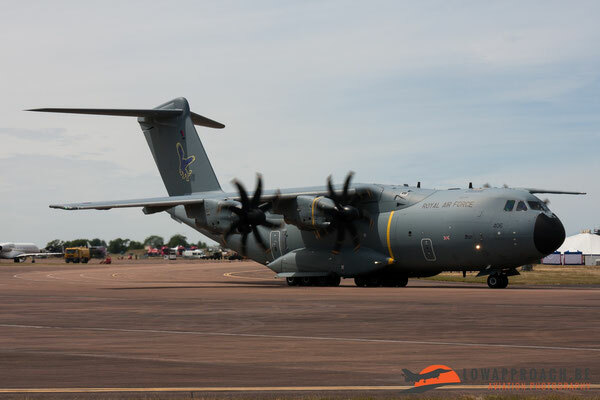 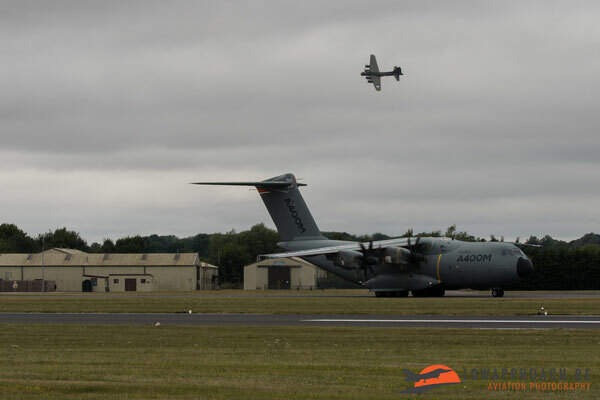 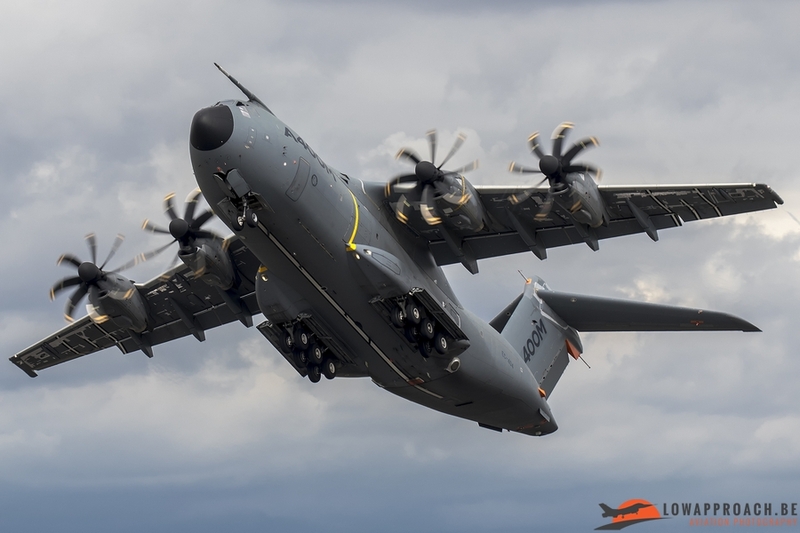 The Airbus A-400M also made a return to the airshows flying display. 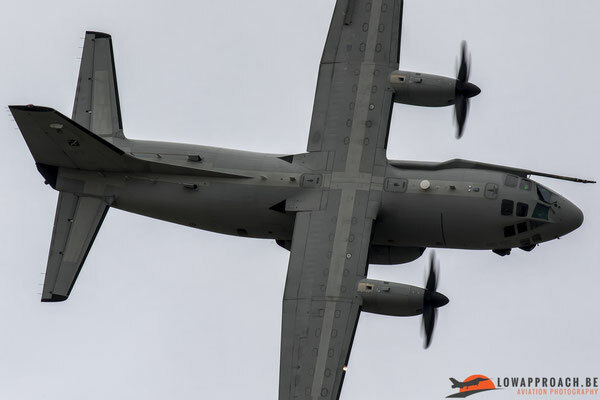 The crew of the Atlas really put this big transport plane through its paces above the airfield at Fairford. 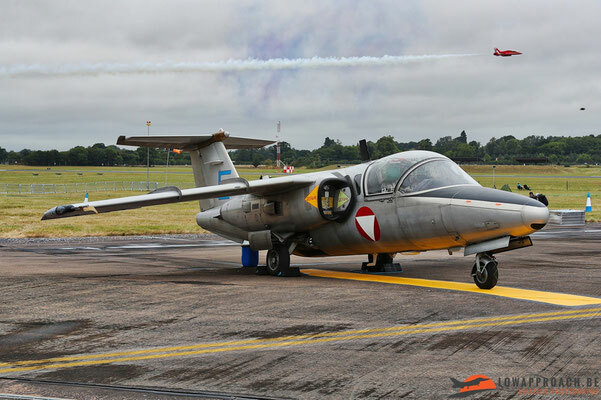 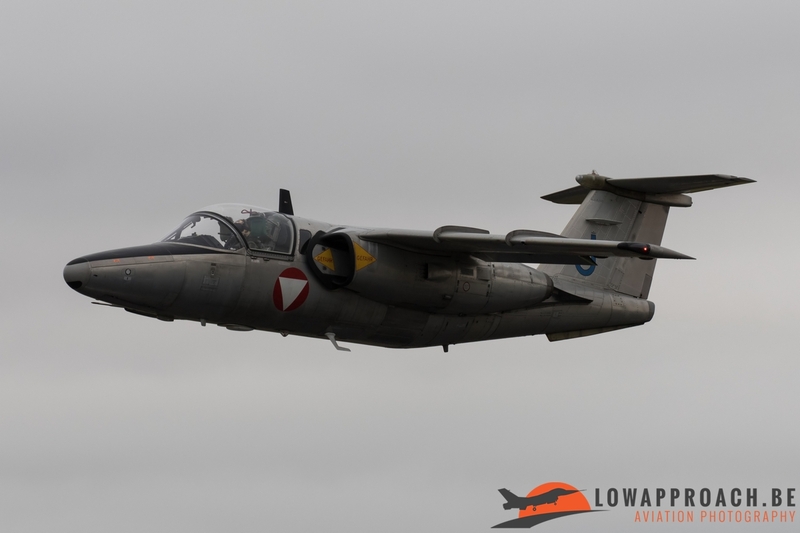 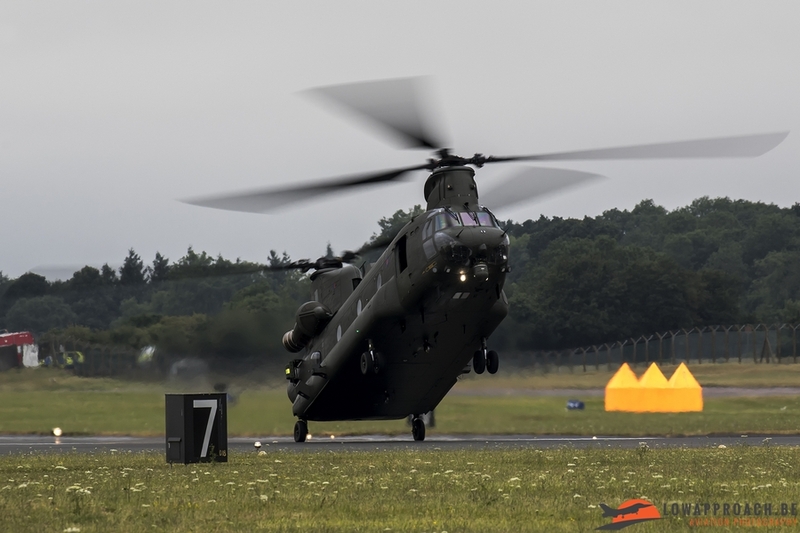 Not only fixed wing aircraft showed their skills at the Air Tattoo, in the flying program also a couple of rotary aircraft showed the visitors of the airshow what they could do. 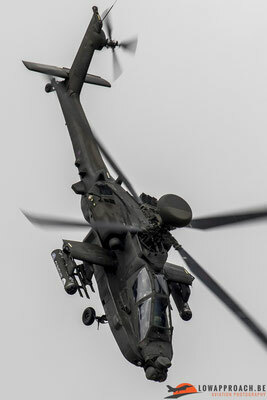 From the UK there were 2 helicopter displays that showed everyone their maneuverability. 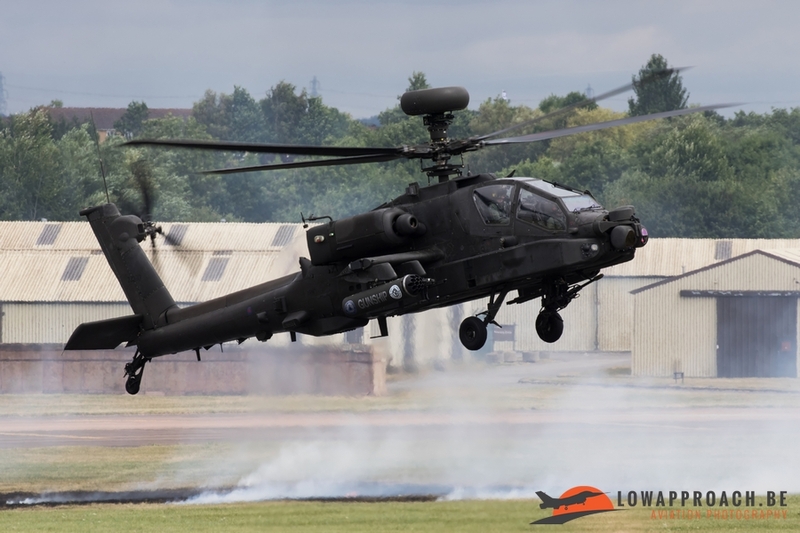 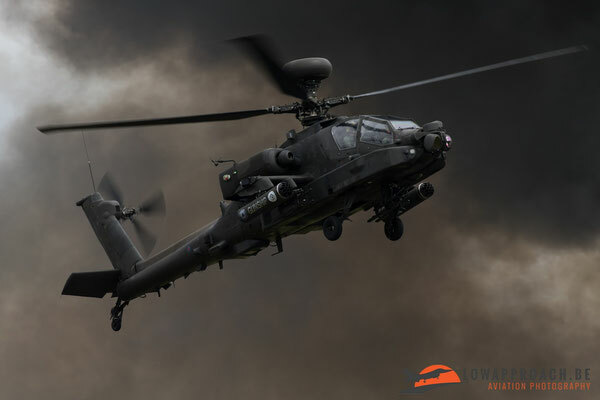 From the Army Air Corps the WAH-64D Apache came over with a tactical demonstration that included pyrotechnics. From the Royal Air Force we saw the display routine from the Chinook demo team. The crew really knows how to show of this heavy helicopter by throwing it around like if it’s made of paper. 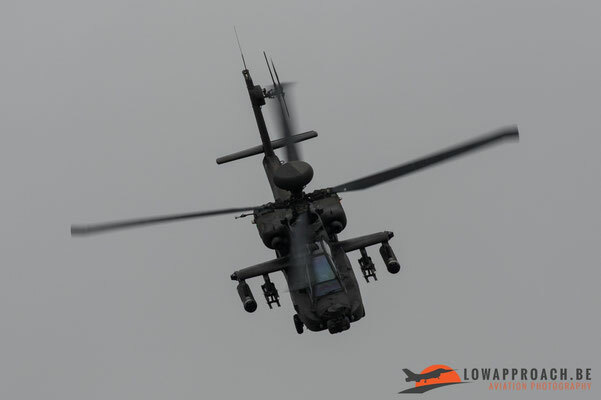 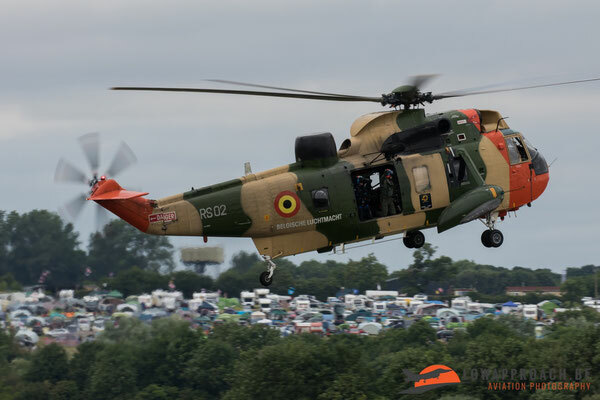 The only foreign helicopter display this year came from the Belgian Air Component. 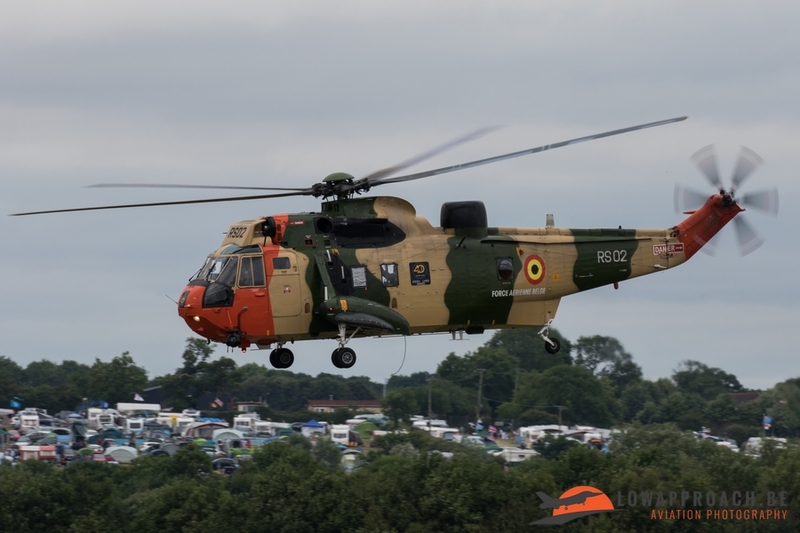 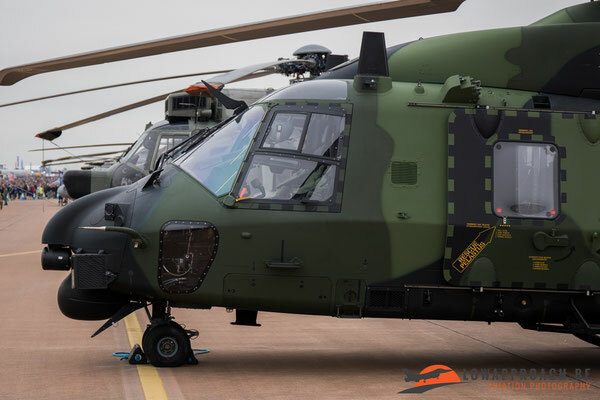 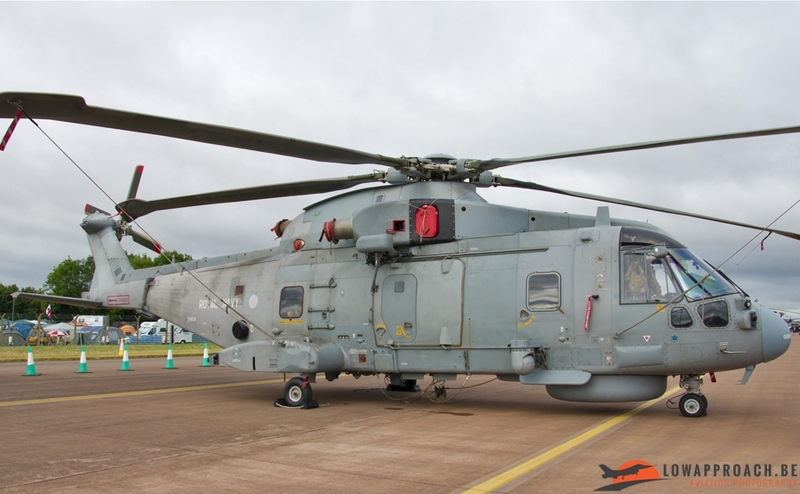 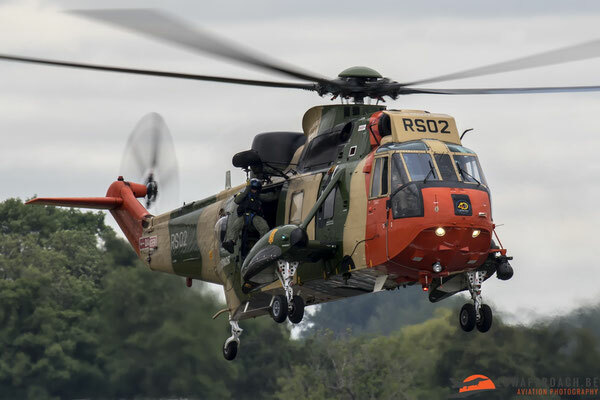 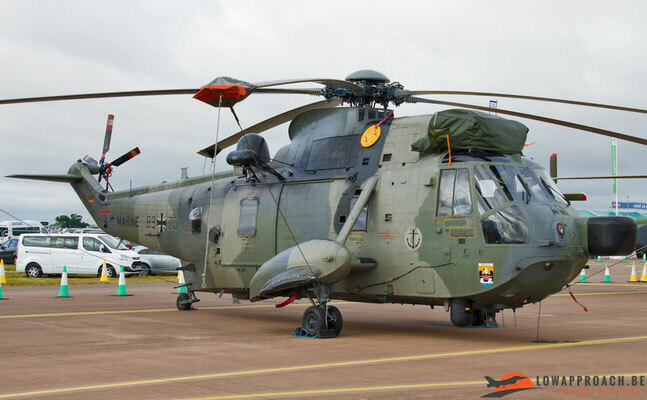 After a long absence the Belgian Air Component sent the Sea King Mk.48 back to the RIAT for a Search and Rescue demonstration. 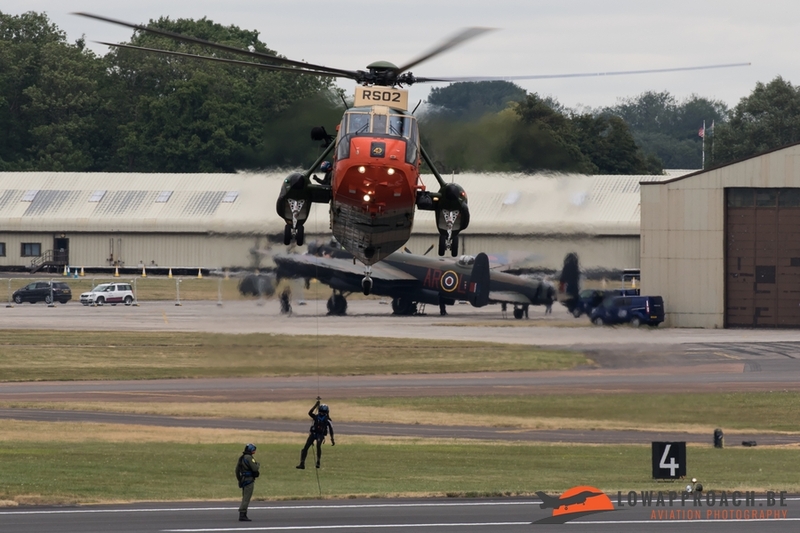 Like already said in the beginning of this report, the Royal International Air Tattoo is each year built up around a main theme. This year the theme was the 70th anniversary of the United States Air Force. 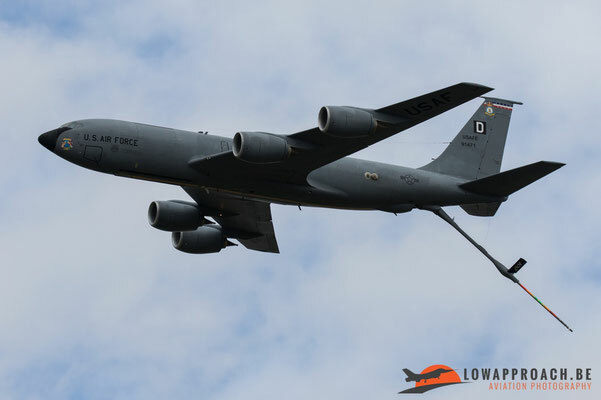 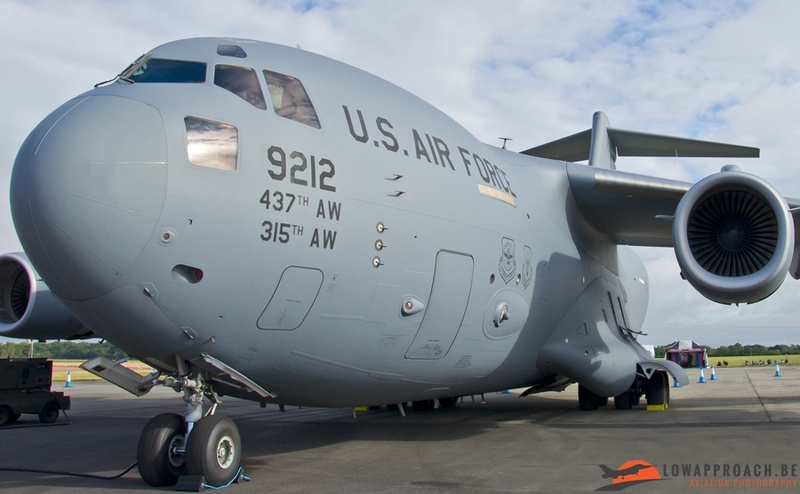 For the anniversary the USAF sent various assets to the airshow for static display as well as in the flying display. 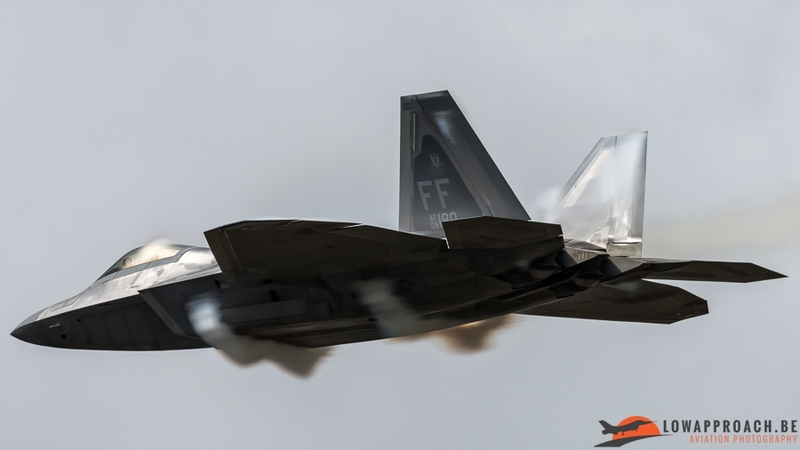 It was the biggest turn up from USAF airframes since the sequestration hit the USAF hard in 2013. 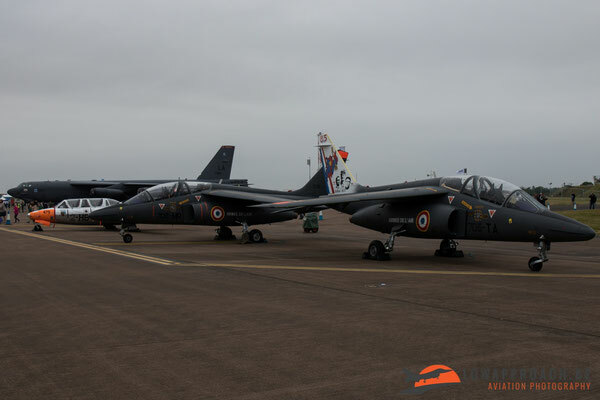 For the 70th anniversary a whole lot of interesting aircraft could be seen in the static display area. 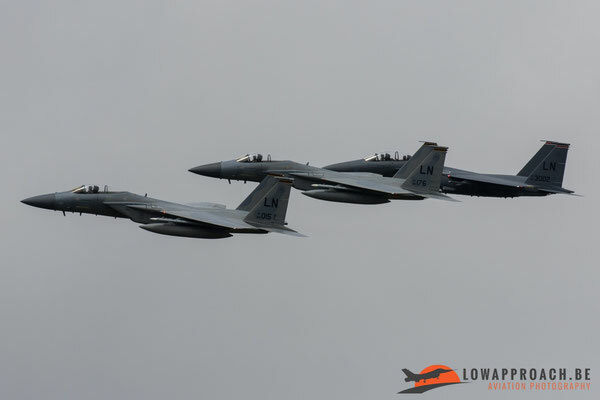 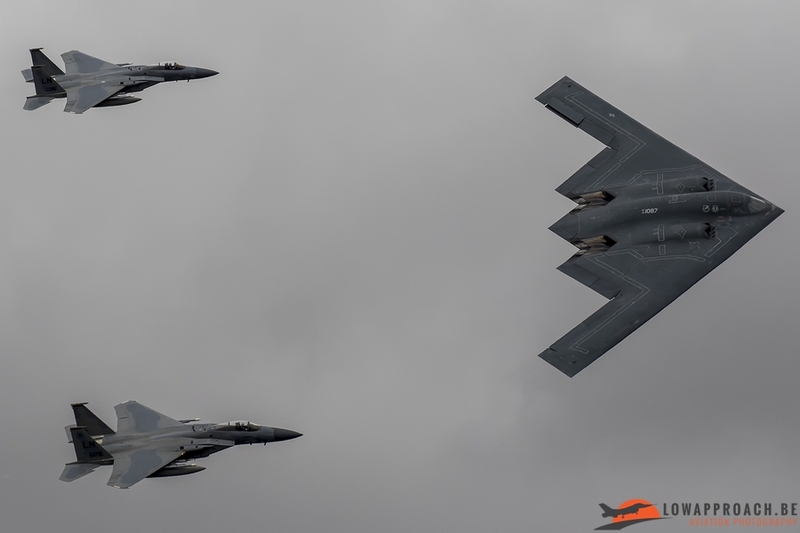 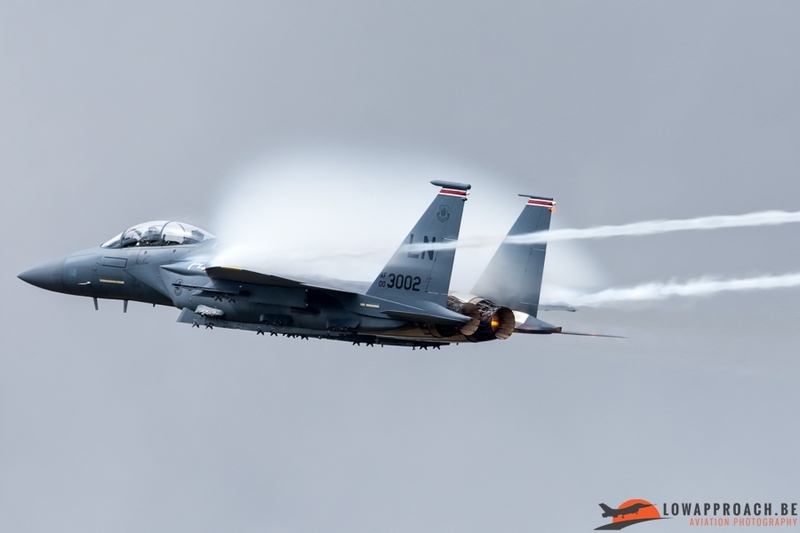 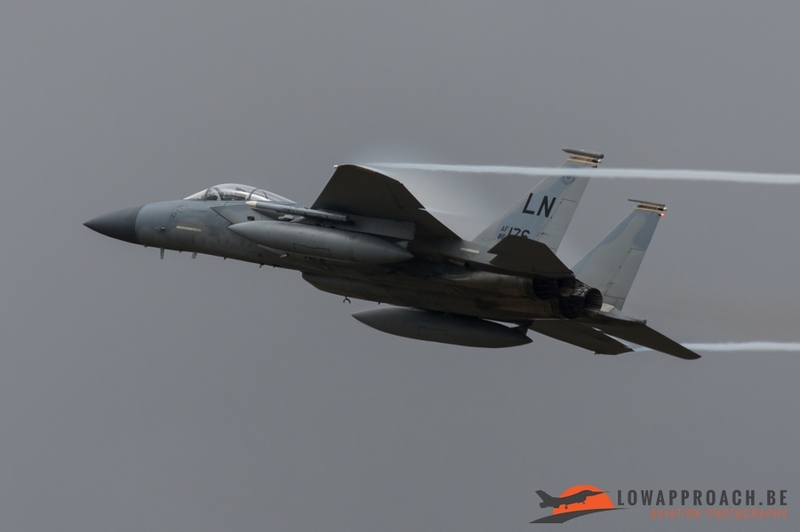 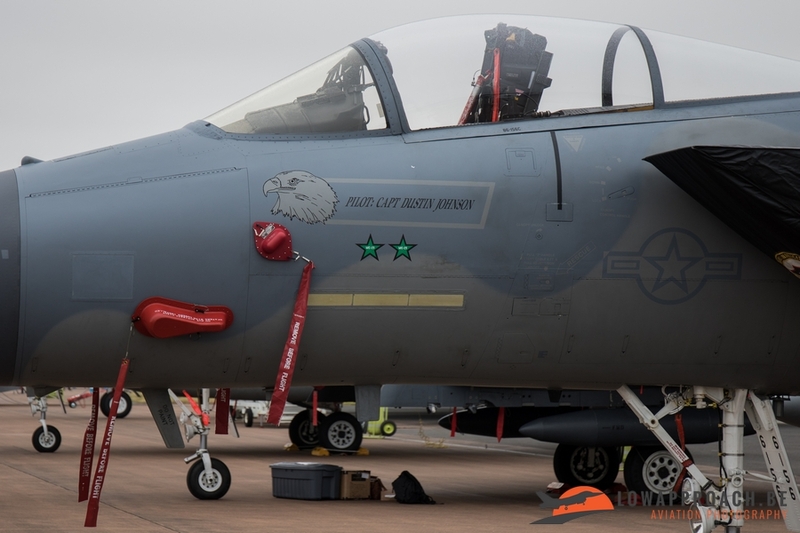 Lakenheath provided a single F-15E Strike Eagle and 2 F-15C Eagles to the show. 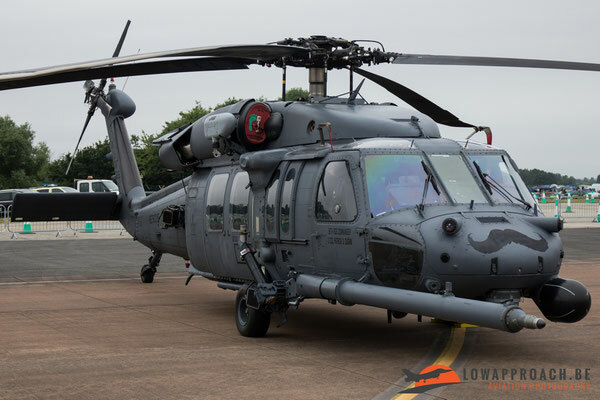 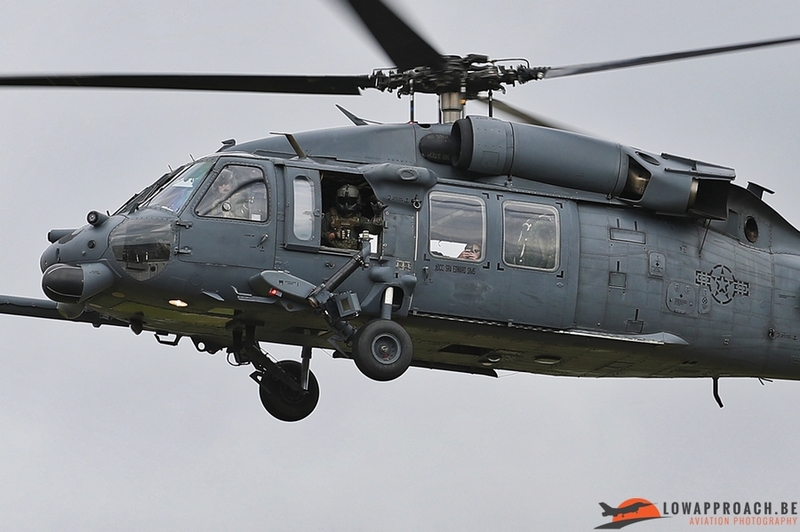 An helicopter that’s also based at Lakenheath could also be seen in the static, this was the HH-60 Pave Hawk. 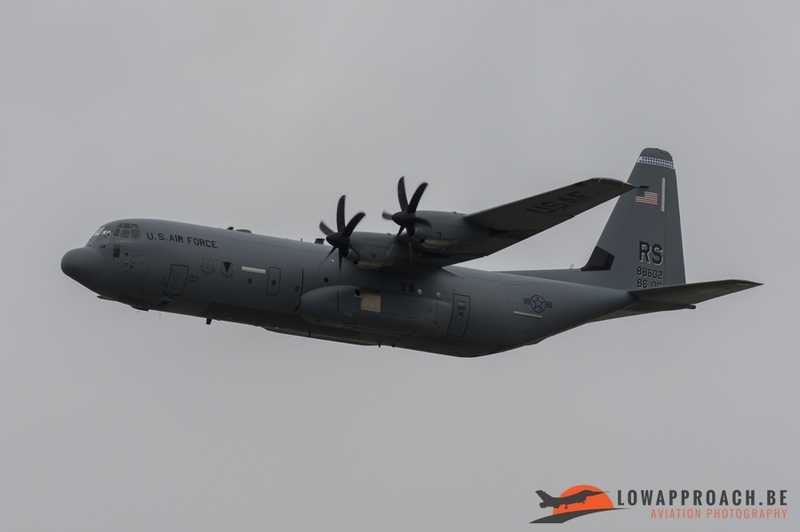 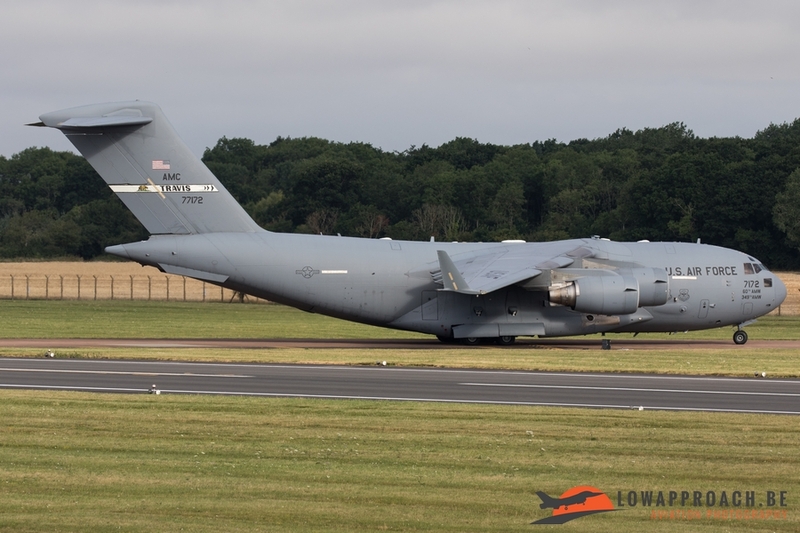 The KC-135R, MC-130J, CV-22B and the HH-60 will move to mainland European bases in the near future, this being Ramstein in Germany for the KC-135R fleet, Spangdahlem in Germany for the MC-130J and CV-22B fleet and Aviano in Italy for the HH-60 fleet. 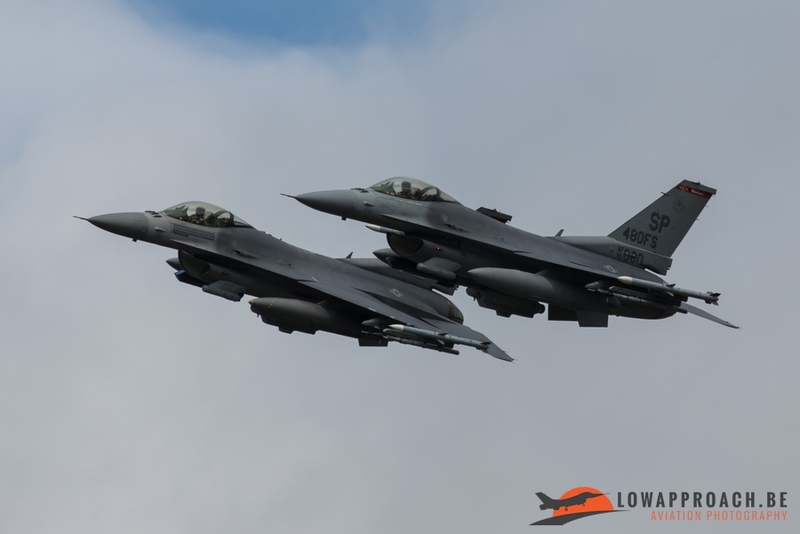 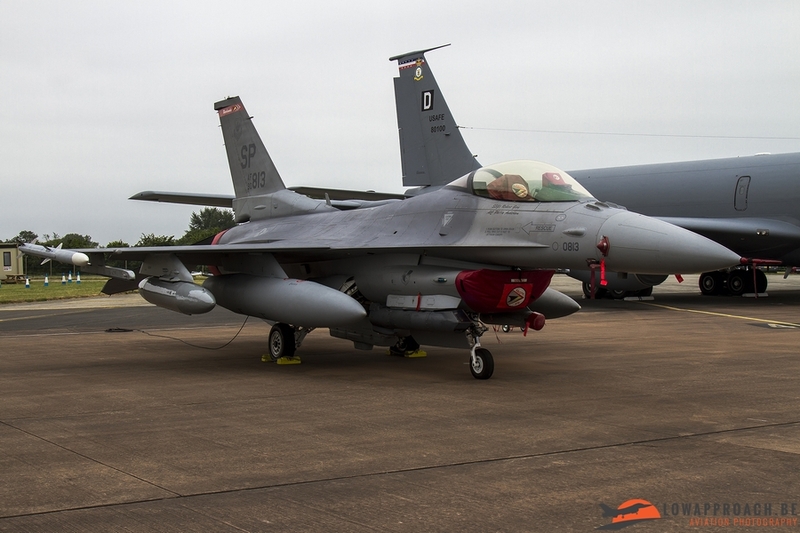 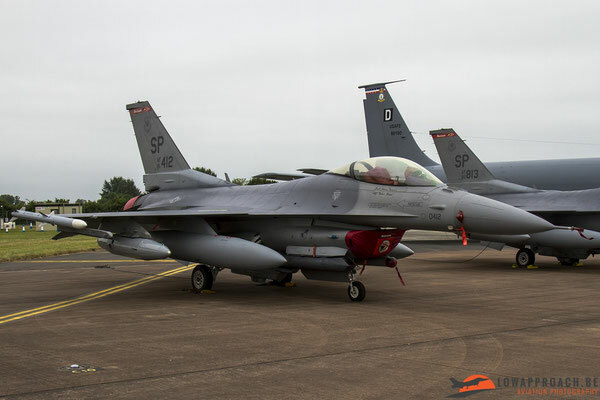 Based at Spangdahlem, but temporarily deployed at Lakenheath due to runway repairs at Spangdahlem, were 2 F-16C Fighting Falcons that were also present in the static park. 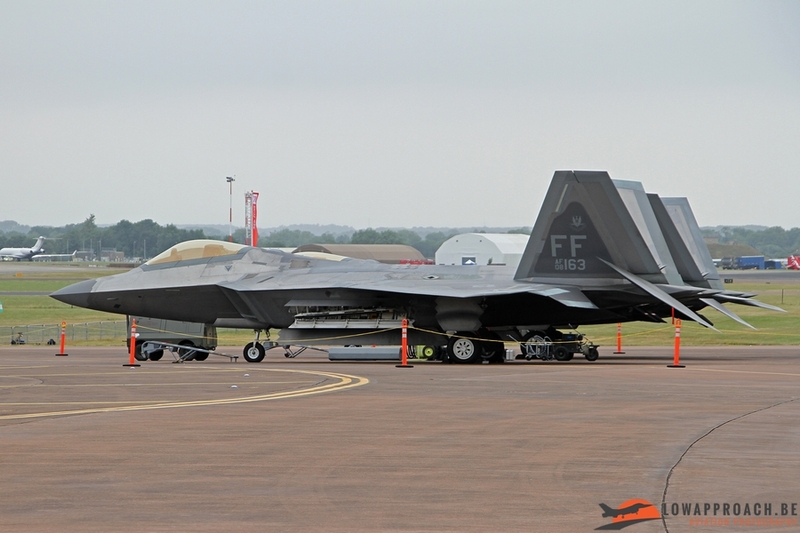 All these USAFE airplanes were nicely parked together in the static display at RIAT. 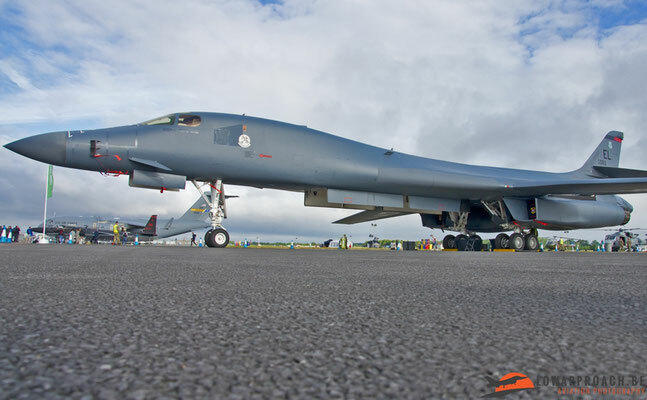 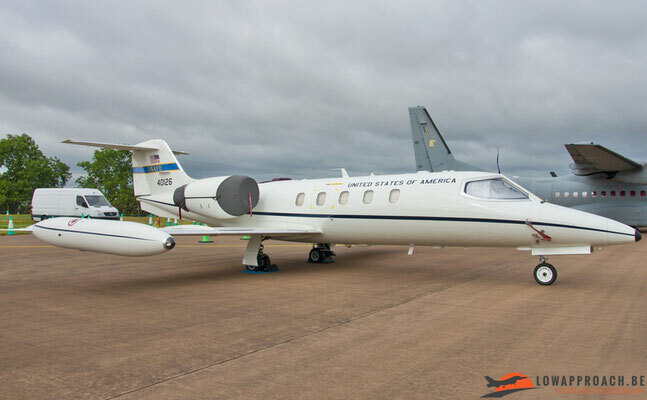 Not only aircraft that are based at USAF bases in Europe were present at the RIAT this year. 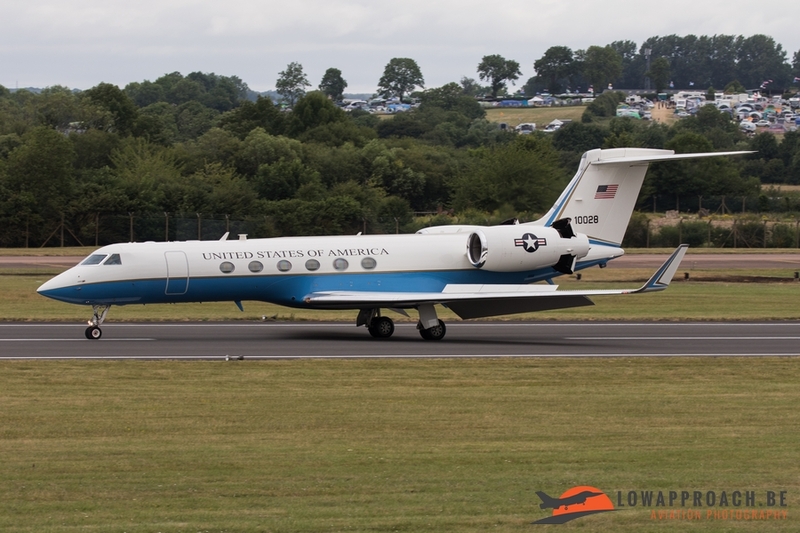 Also aircraft coming from the USA itself could be found spread across the static park. 2 out of 3 bombers that form the main bomber force of the USAF could be seen up close in the static display, the B-52H and the B-1B. 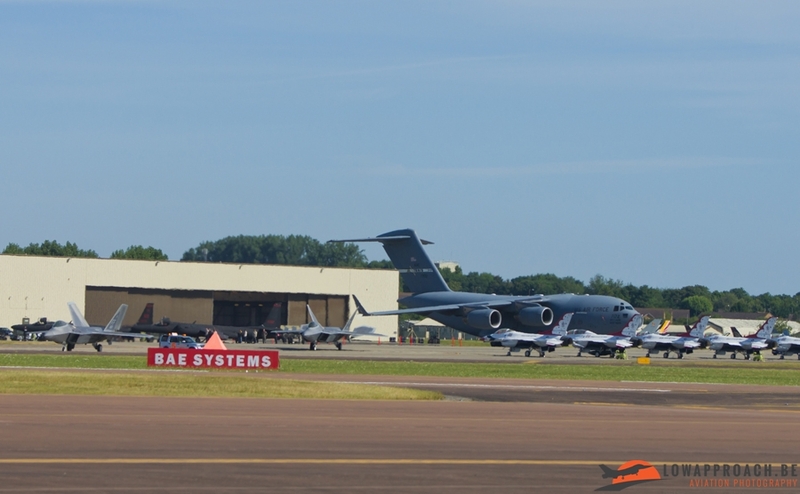 These airframes use RAF Fairford regularly as a deployment base during exercises or when they’re on real deployment. Another type that uses RAF Fairford regularly is the U-2 and also this type could be found in the static area which was a welcome return. 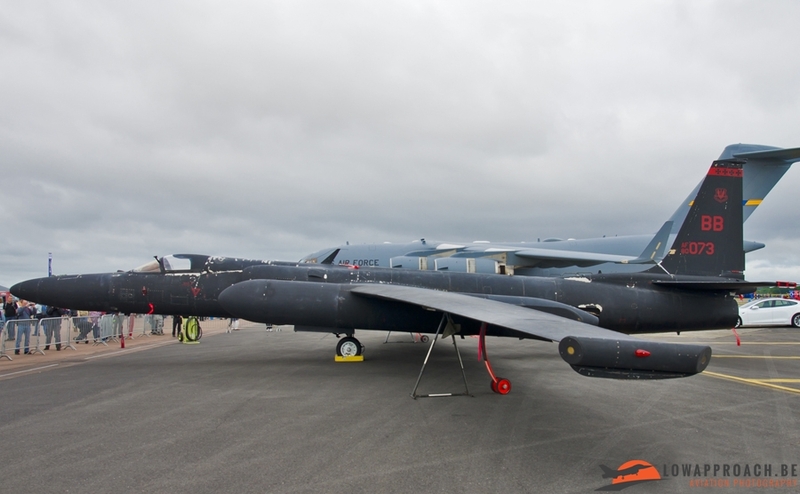 In fact, in the days prior to the airshow, 4 different U-2’s could be seen landing and taking off at RAF Fairford which was a nice bonus for the people attending the arrivals for the airshow. 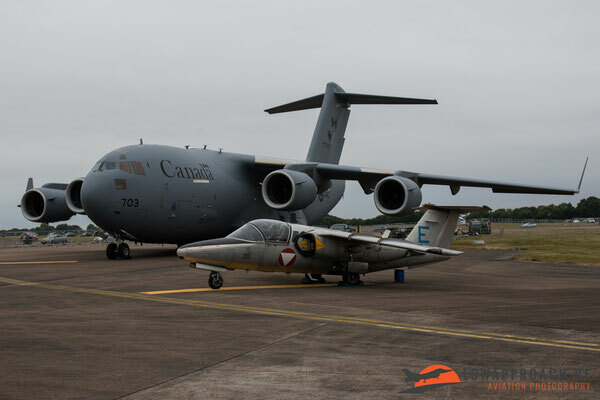 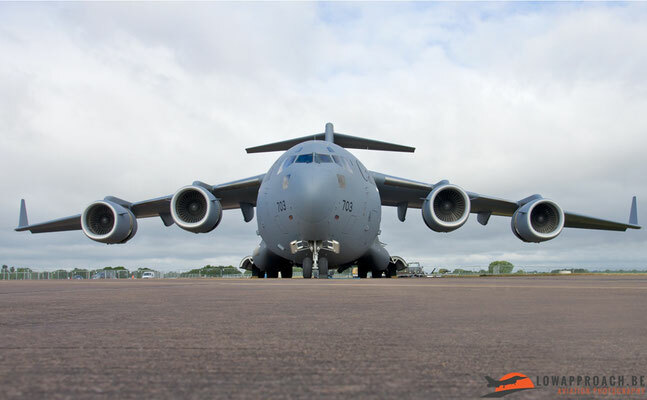 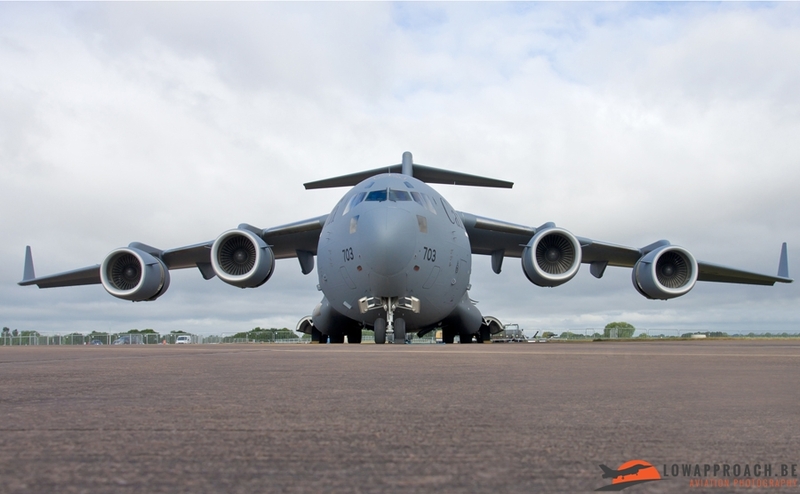 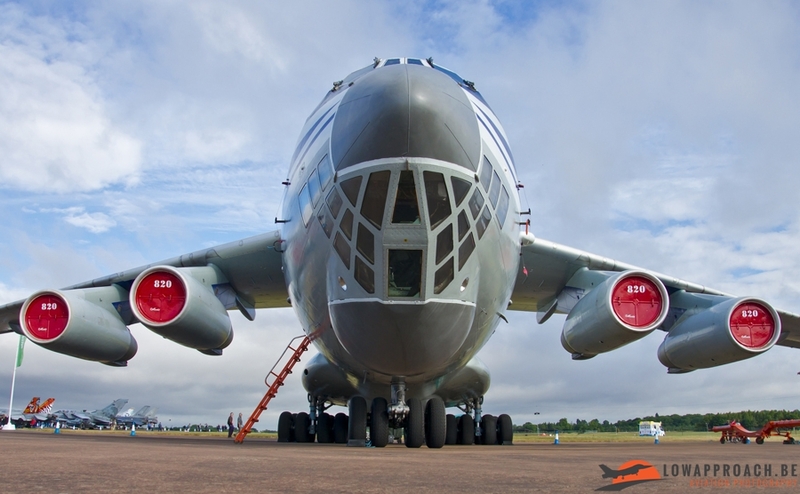 Also present in the static display were a couple of transport aircraft and passenger aircraft. During the weekend also a couple of these could be seen arriving before the show actually started. 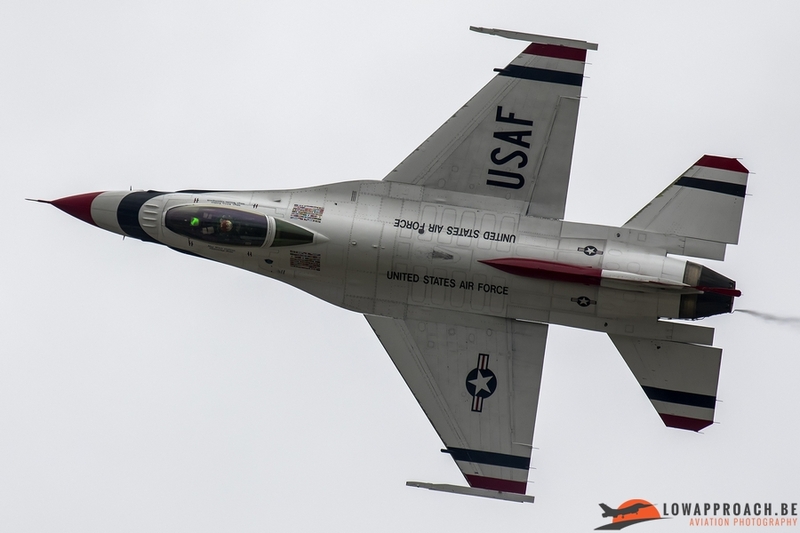 Also in the flying display the USAF participated with a variety of airframes. 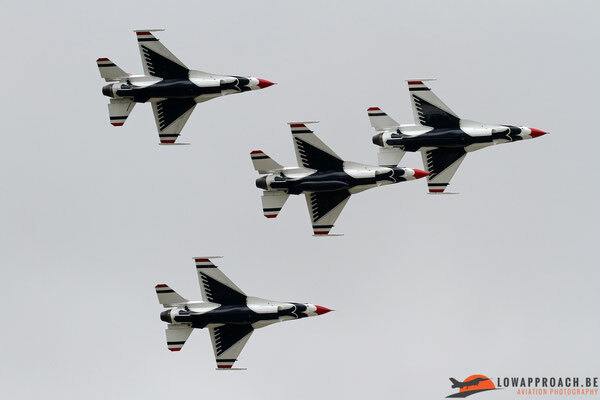 For the celebration there was a fly-past of USAF airframes on each airshow day. These were all aircraft that were based in Europe. The fly-past consisted out of a KC-135R from Mildenhall, a C-130J from Ramstein, a 3-ship of 2 F-15C’s and one F-15E from Lakenheath and 2 F-16C’s which are normally based at Spangdahlem. 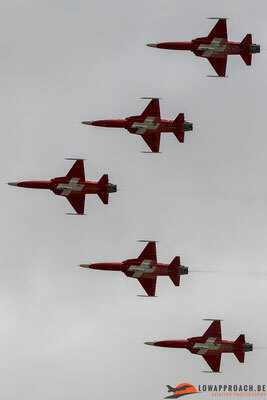 For Saturday this was the fly-past, but on Sunday the organizers treated the people on an extra and special fly-by. The fly-by consisted out of a B-2 stealth bomber escorted by 2 F-15C’s! 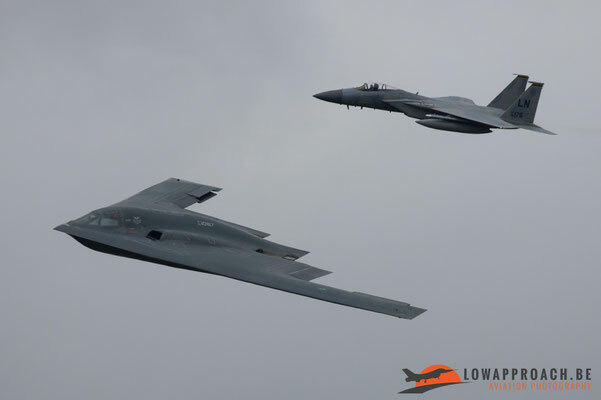 The stealth bomber and F-15C’s made 2 very nice topside passes before the B-2 departed back home to the USA. Apart from the anniversary fly-passes, the USAF also provided a couple of flying displays to celebrate their 70th anniversary. 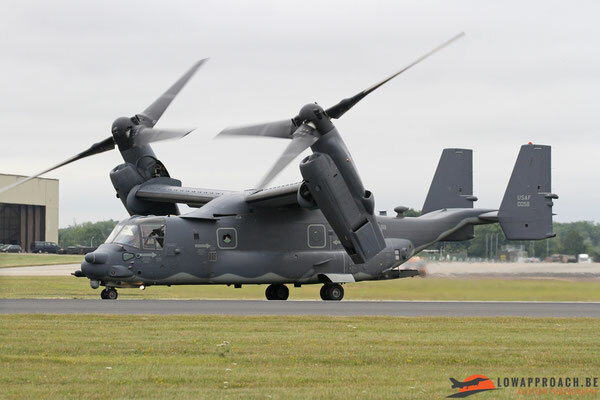 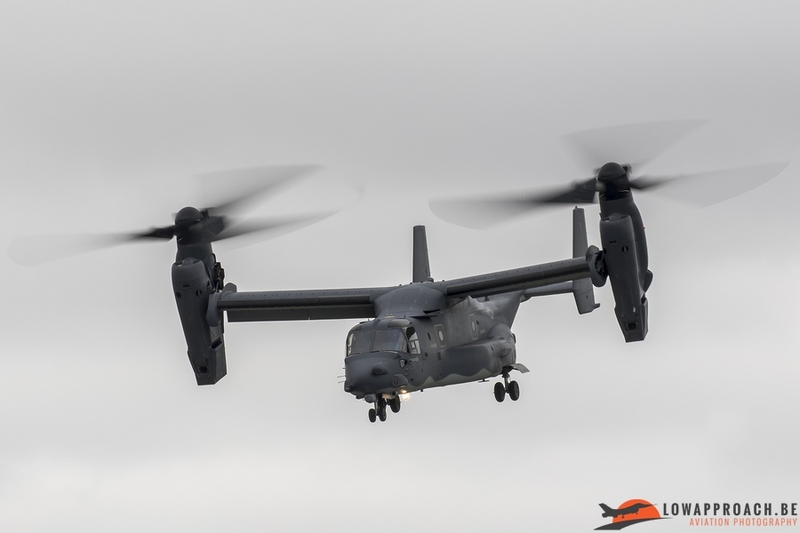 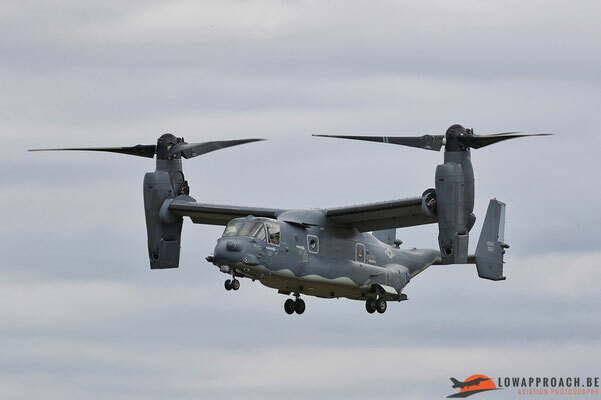 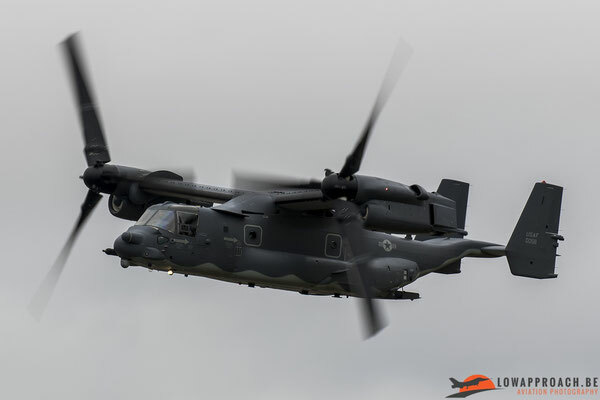 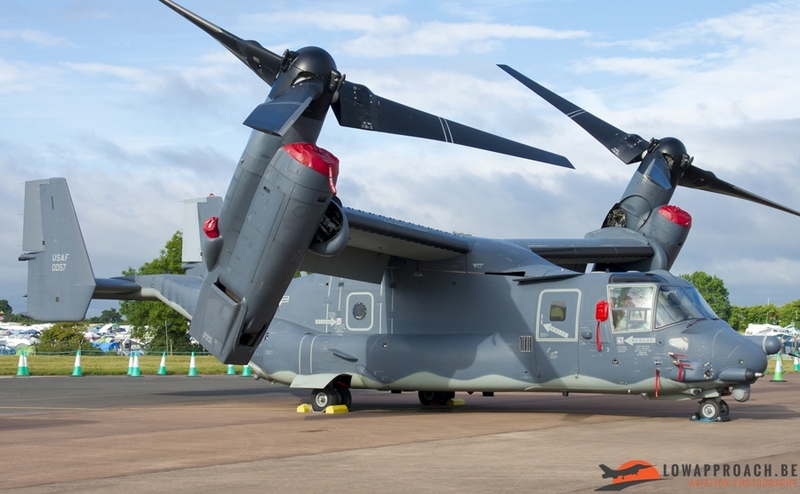 On Saturday the 352nd Special Operations Group, based at Mildenhall, flew directly from their home base with a CV-22B and gave a short display before returning back to Mildenhall. 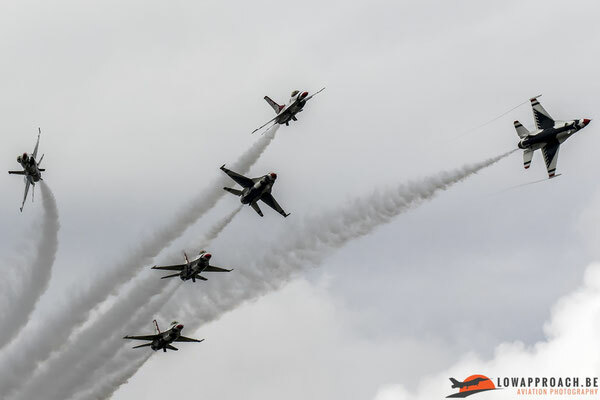 The other days the displays were more or less the same depending if the weather cooperated. 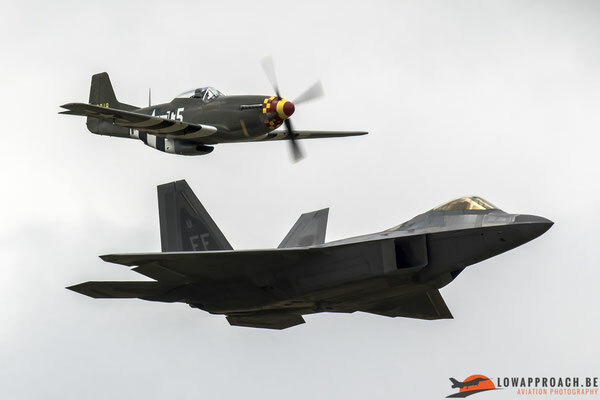 To commemorate the past, 2 aircraft types from the early years performed a demonstration. 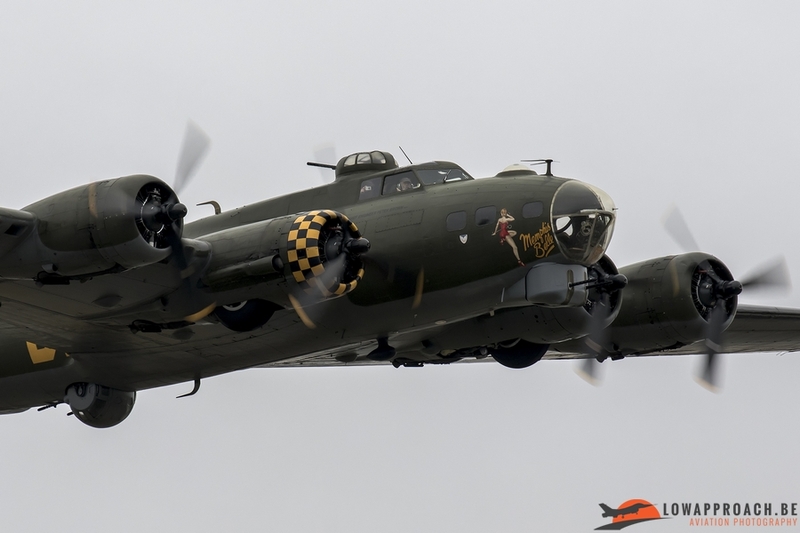 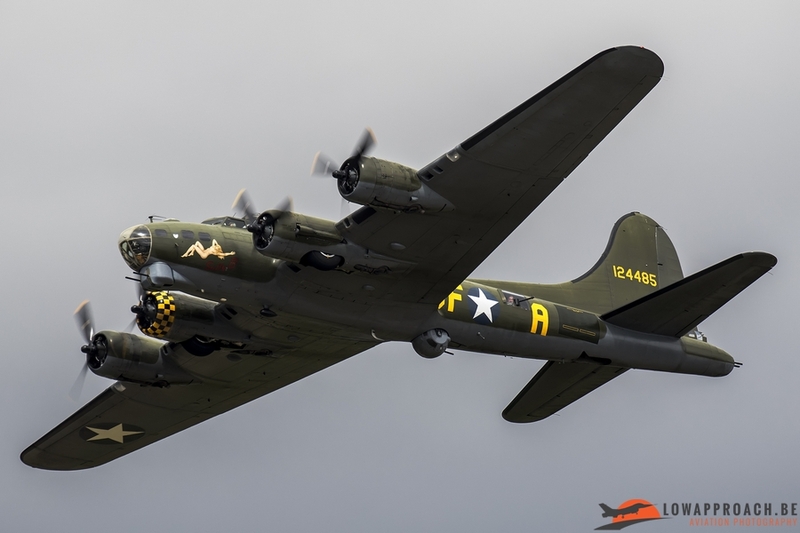 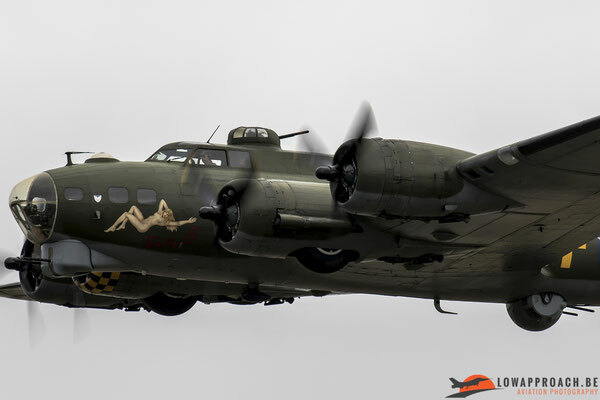 The first one came from the Boeing B-17 Flying Fortress “Sally B/Memphis Belle”. 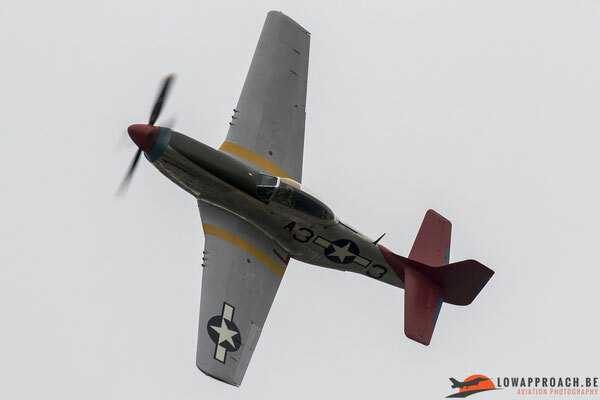 The second display was performed by North American P-51D Mustang “Tall in the saddle”. 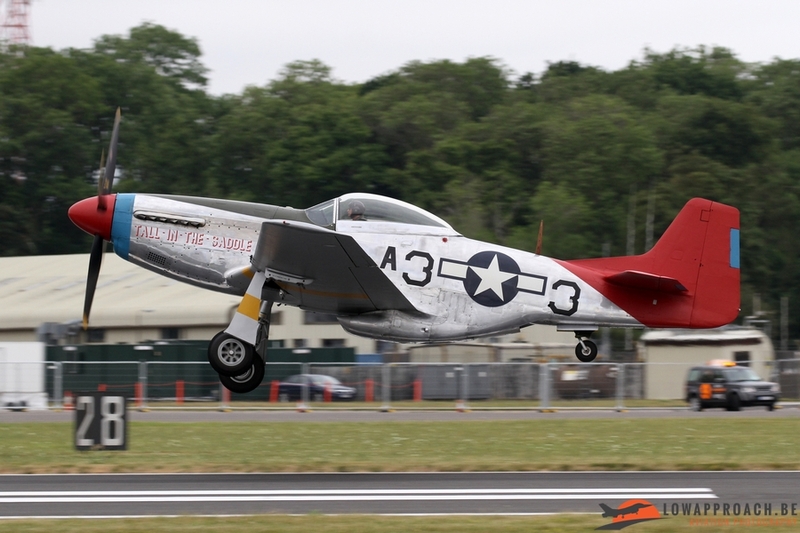 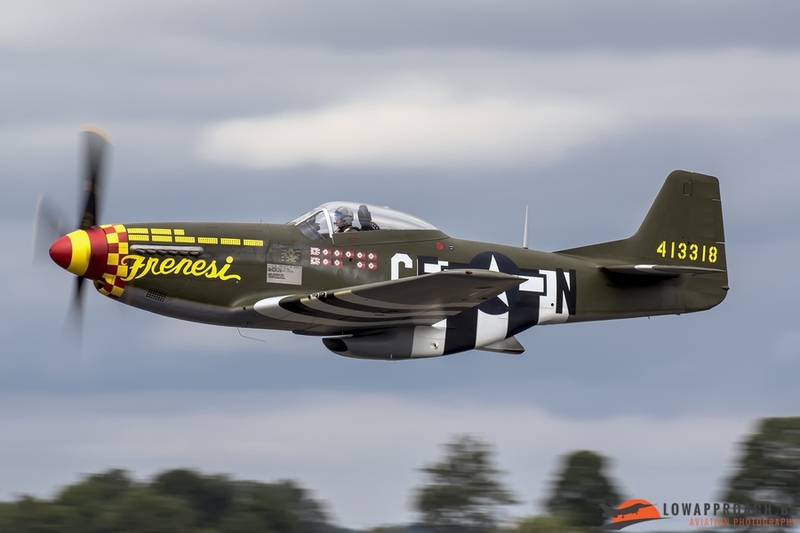 But this wasn’t the only P-51 that could be seen flying during this years RIAT. Also P-51D “Frenesi” could be seen flying, but this time in the 'Heritage Flight' display together with the newest air superiority fighter in the USAF inventory, the Lockheed-Martin F-22A Raptor. 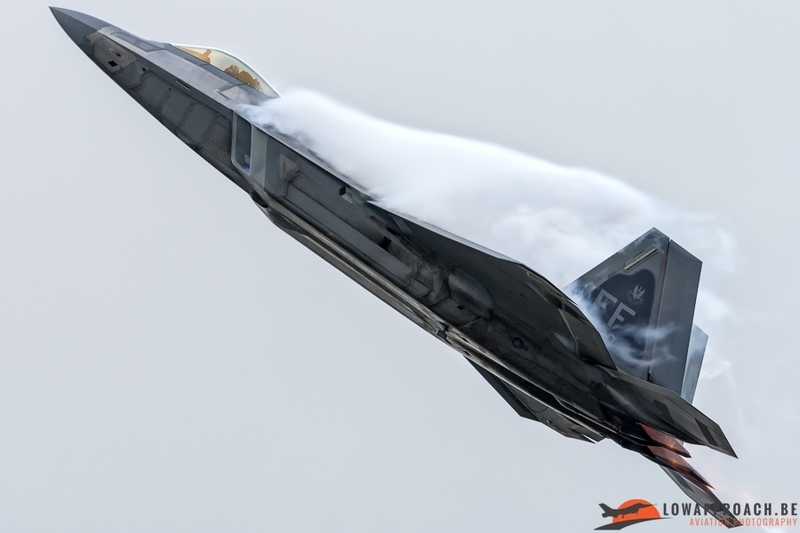 Apart from the 'Heritage Flight', the Raptor also participated in the flying display with his solo display. 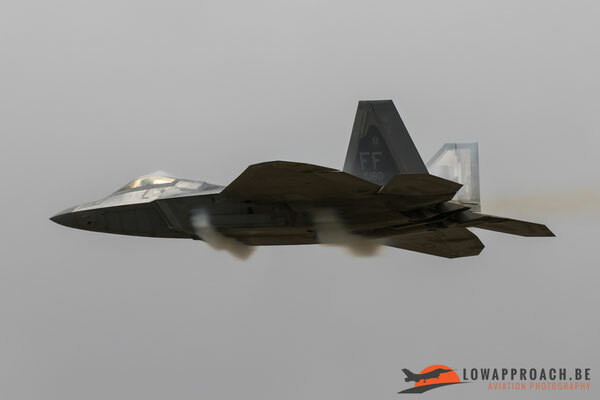 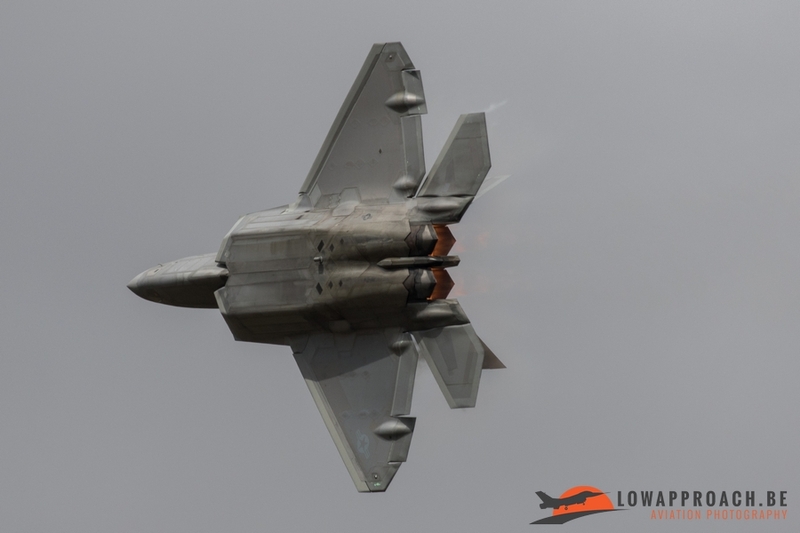 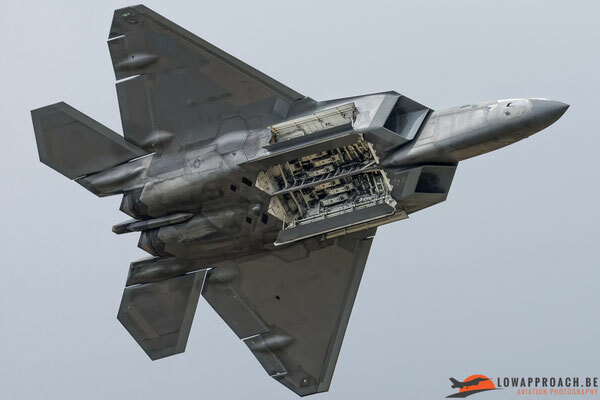 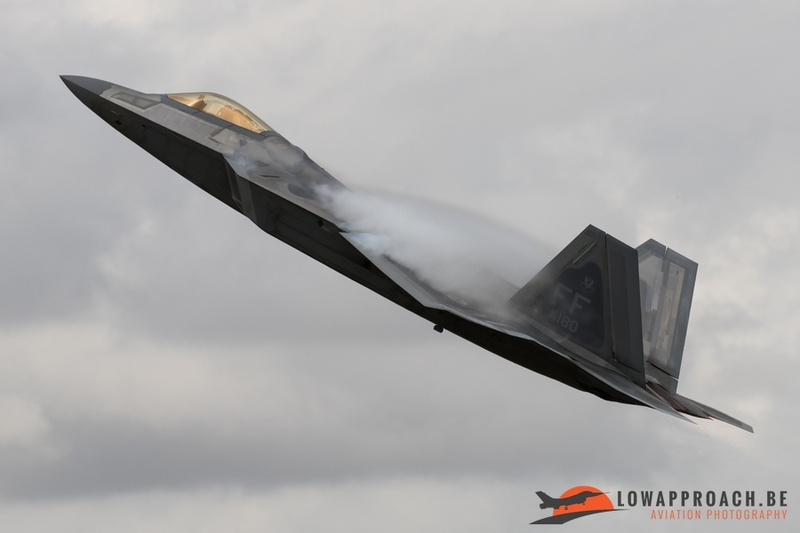 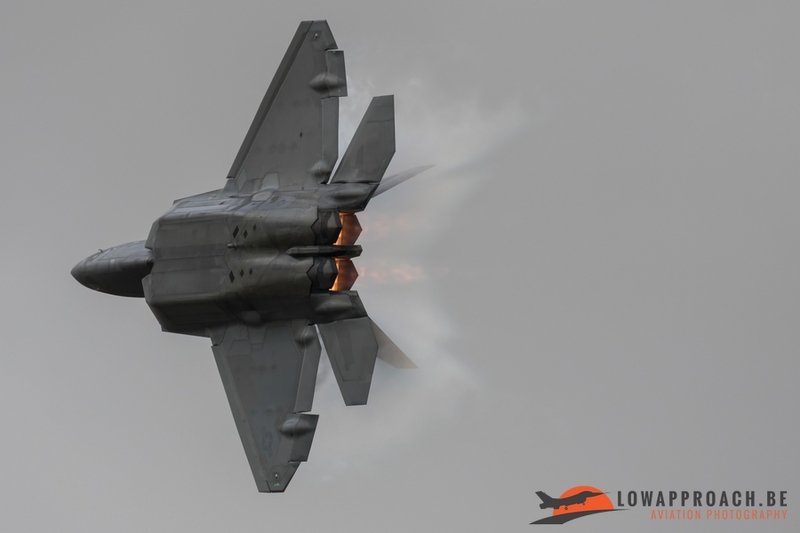 During this impressive demonstration the F-22 really shows how maneuverable it is thanks to the use of thrust vectoring. and as the show progresses, the 2 soloists separate from the main formation to perform a number of impressive opposition passes and duo passes while the main formation repositions itself for the next changed formation pass. 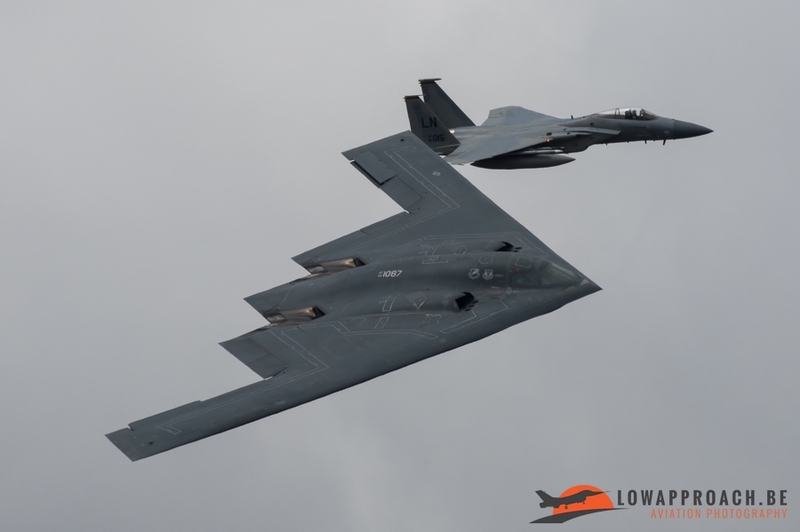 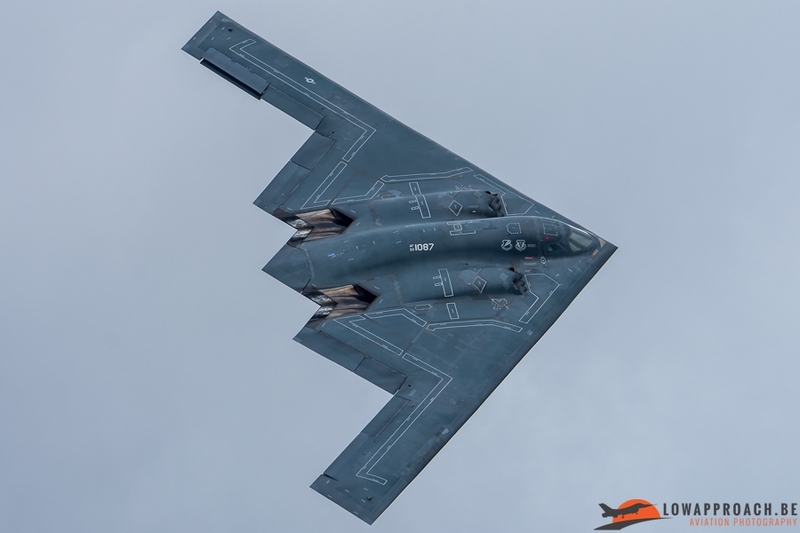 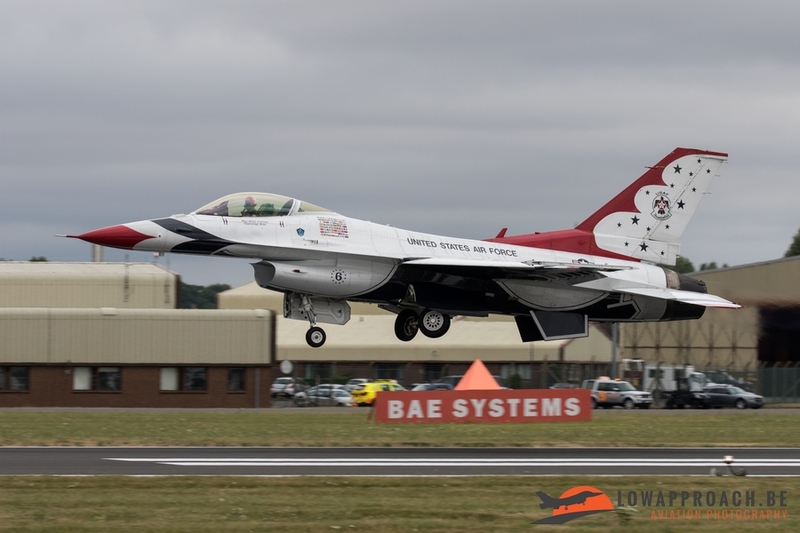 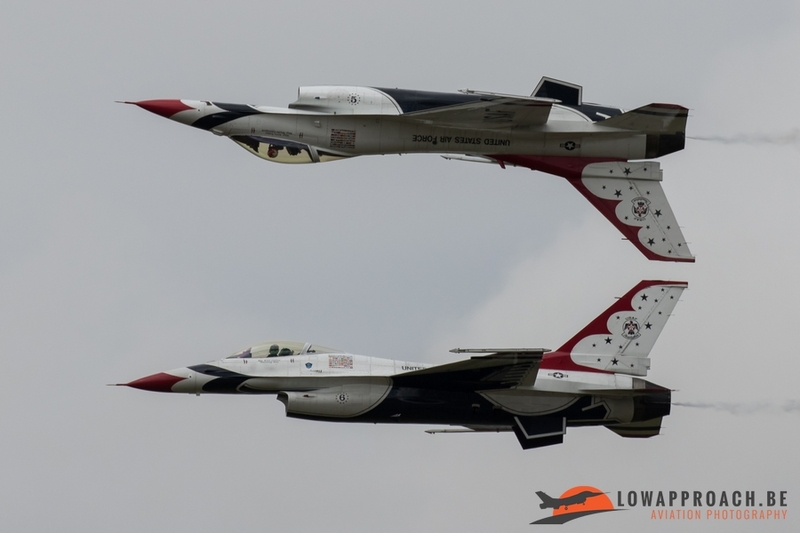 The Royal International Air Tattoo was the team’s only European airshow in 2017 so no better way to end this report and to celebrate the USAF’s 70th anniversary with a series of pictures taken by our team from the ambassadors of the United States Air Force.